More than 150 global thought-leaders and sustainability practitioners united in Tokyo for a collective conversation about how to redesign product and service offerings and rethink business models for a changing economy. CSR & General Affairs Unit / CSR & General Affairs Div / CSR & Environment Dept. May 2013 : President, Ajinomoto do Brasil Indústria e Comércio de Alimentos Ltda. June 2011 : Corporate Executive Officer General Manager, Personnel Dept. July 2009 : General Manager, Personnel Dept. 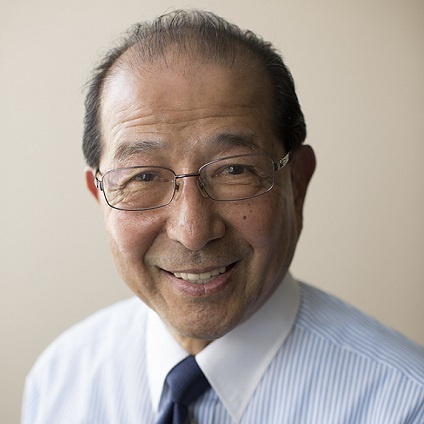 June 2004 : Member of the Board, Ajinomoto Frozen Foods Co., Inc. General Manager,Retail Products Dept. April 1982 : Joined Ajinomoto Co., Ltd.
Mark is a compelling presenter, a regular contributor to media, and the co-author of All In: The Future of Business Leadership (2018) with Chris Coulter and David Grayson. Mark’s serves as Chair of the Sustainable Brands Advisory Board and as a member of Senior Advisory Board of the Centre for Responsible Business at Berkeley-Haas. 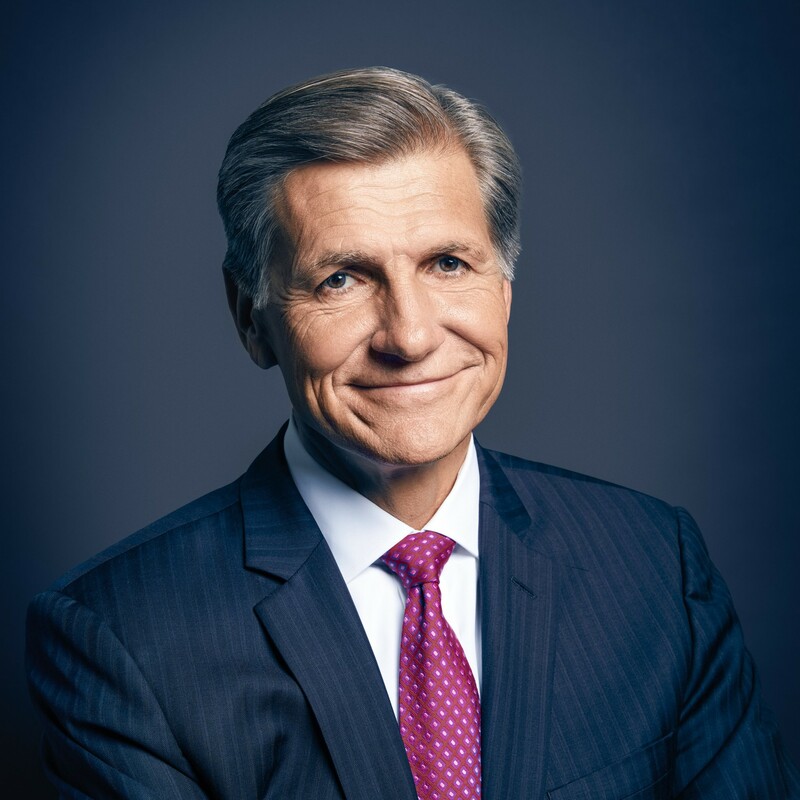 Marc Pritchard is responsible for P&G’s brand building disciplines worldwide. 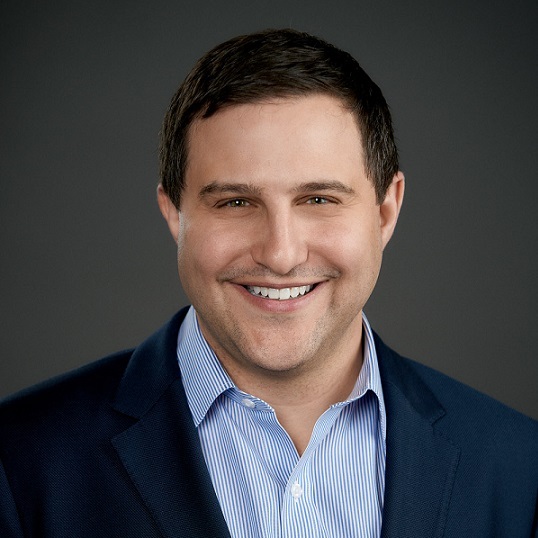 He sets the Company’s multi-billion-dollar media, marketing and advertising strategies, and leads marketing innovations that guide communication and brand building for P&G’s portfolio of trusted, quality brands. Marc is a veteran of P&G for more than three decades, joining the company in 1982 as a cost analyst in the Paper Division, followed by a move into marketing in 1987 on the Sure antiperspirant/deodorant brand. He has 20+ years of progressive experience in the Health & Beauty categories which earned his appointment to president of Global Cosmetics and Personal Care in 2003. Known for his pioneering approach to product and operational innovation, Marc also served as President of Global Strategy for three years, driving sustainable growth and expanded productivity for P&G. He was appointed P&G’s chief marketing officer in 2008.
community impact, diversity and inclusion, gender equality and environmental sustainability. He continually leads P&G’s brand building reinvention and is a leading voice in the media, marketing and creative industry. Mr. Usui joined the current Seiko Epson in 1979. 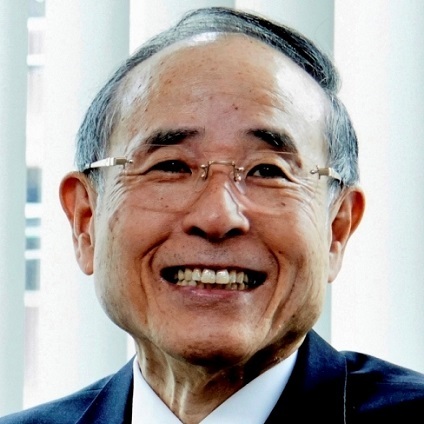 While working in inkjet printer R&D, he was instrumental in the development of compact, high-performance piezoelectric printheads and, in 1993, inkjet printers. In 2005, he was named the COO of Production Engineering & Development. In 2007, he was also tapped to simultaneously head up Corporate R&D. Mr. Usui became president in 2008. 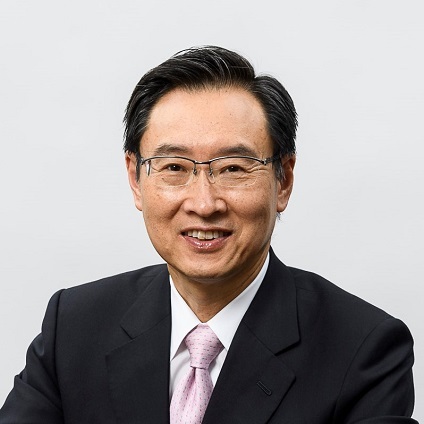 He transformed the company by focusing on Epson’s core strengths, revamping its business models and product lines, developing new areas of business, and reorganizing its operations, enabling the company to continuously generate cash. Under Mr. Usui’s leadership, Epson has been driving innovations through business activities that capitalize on its core technologies. 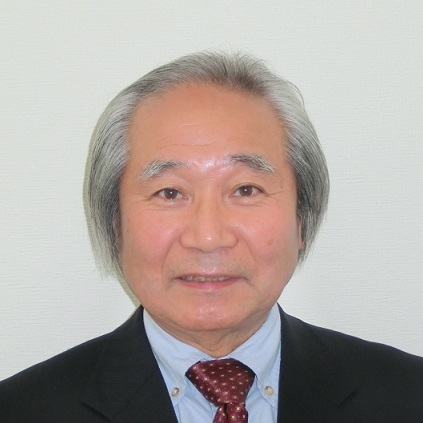 Mr. Usui received the Johann Gutenberg Prize in 2001 and the Medal with a Blue Ribbon in 2018. In 1991, Ms. Blackhurst broke the glass ceiling as Las Vegas’ first female mayor. Under her two-term leadership, the city experienced tremendous growth, making her one of Las Vegas’ most popular mayors to date. In 1999, Ms. Blackhurst joined Caesars Entertainment, where she grew the industry’s first Responsible Gaming practices to include an ambassador model for the gaming industry and the first industry code of commitment. Under her guidance, Caesars Entertainment has earned a 100% perfect score in the Human Rights Campaign Corporate Equality Index for ten consecutive years. Ms. Blackhurst channels her passion for charitable causes through her role as Chair of the Caesars Foundation, which has strengthened communities through philanthropic activities and corporate gifts totaling $66 million since 2013. Ms. Blackhurst holds a bachelor’s degree in English from Stanford University and attended the University of Southern California’s School of Food Marketing Management. “David Rachelson is Vice President of Sustainability at Rubicon Global, a Certified B Corporation and technology company that provides waste, recycling, and smart city solutions to businesses and governments worldwide. At Rubicon, David spearheads the company’s sustainability efforts focused on diverting waste from landfills and developing circular economy solutions. He also oversees customer implementation of the RUBICONMethod, a six-step program to develop and deploy a successful recycling and waste reduction initative. David represented Rubicon at the 2017 World Economic Forum in Davos, Switzerland where the company received The Circulars Award for Digital Disrupter. 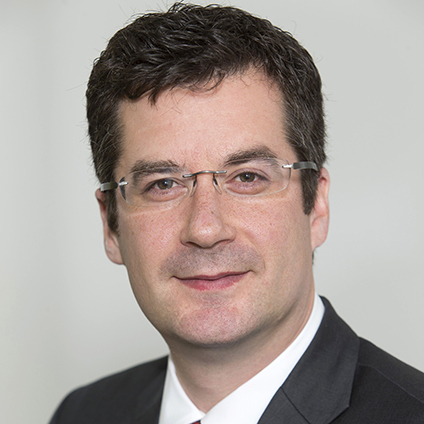 Prior to Rubicon, David worked as a management consultant with PwC and a member of the Corporate Responsibility & Public Affairs department at InterContinental Hotels Group (IHG). At IHG, David supported the development of IHG’s Green Engage platform that provides hotel operators with tailored and cost effective sustainability solutions. Earlier in his career, David worked in a variety of public sector capacities including at The White House Office of Political Affairs and the U.S. Department of State, where he engaged in management and reform efforts at the U.S. Mission to the United Nations. After graduating from the College of Liberal Arts of International Christian University in 1967, he joined Fuji Xerox. He became President and Representative Director of that company in 2002. In 2007 he retired as President and was appointed as Executive Advisor to the Board. In 2012 he retired from Fuji Xerox. He had served as a Board Member of the United Nations Global Compact from 2007 to June 2018. 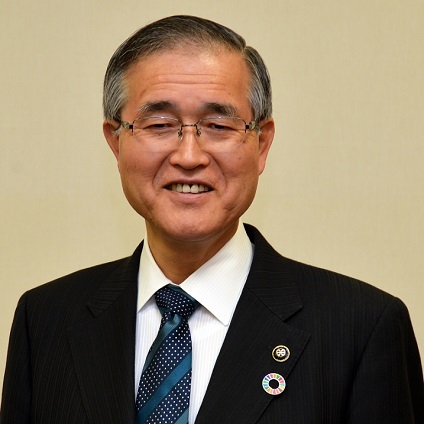 Since 2008 he also has been serving as Chairman of the Board of Global Compact Network Japan. 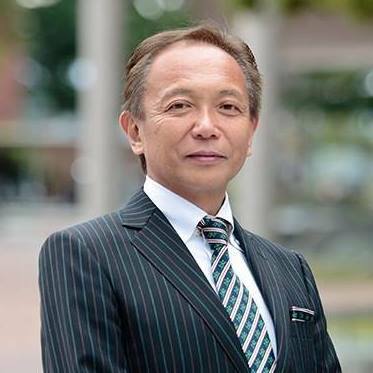 He is a board member of two public companies, Kirin Holdings Co., Ltd. and Resona Holdings, Inc.
Sergio Kato joined Ricoh Company, Ltd. in 1982 after graduating from the faculty of Law of Waseda University. 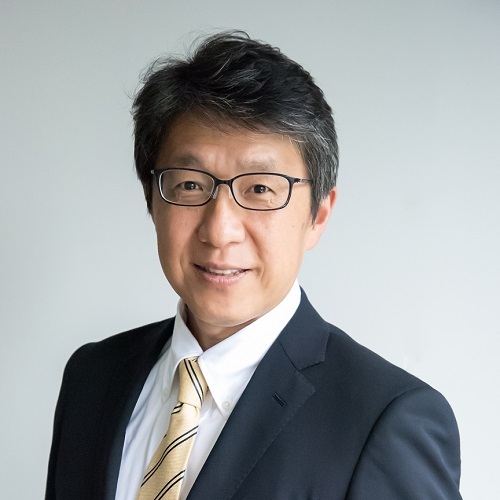 Since 1990, He has held a number of senior executive positions in Europe and Japan during his thirty year career, as Sales executive of OEM business of Ricoh Europe, Vice President of Ricoh Italia Spa., Senior Vice President of Ricoh Europe. 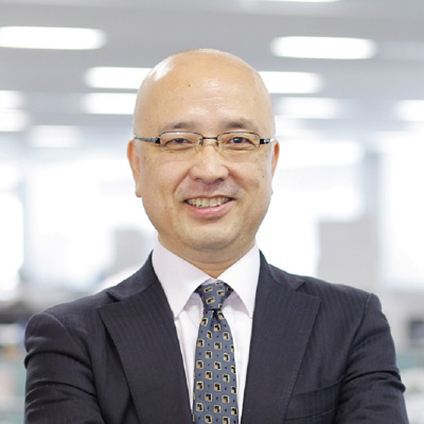 Since 2010, Kato had been General Manager of the company’s Global MDS Center (current Business Services Center). Since August 2013, he was General Manager of the Business Strategy Center of the Business Solutions Group. 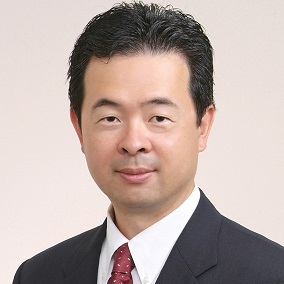 In April 2015, Kato was appointed to Corporate Vice President of Ricoh Company, Ltd. and General Manager of Sustainability Management Division. 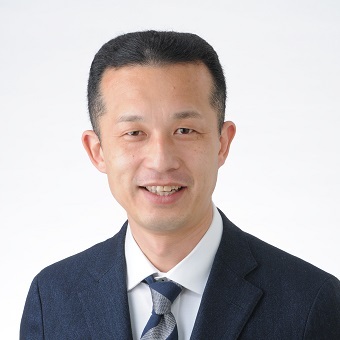 In these roles, he manages the challenges and development of Ricoh’s Sustainability Management (CSR/Environment) with the slogan “Driving Sustainability for Our Future”. Ms Hoshino, Graduated from J.L. Kellogg Graduate School of Management Northwestern University MBA of Marketing, Management and Finance, Jun, 1988. 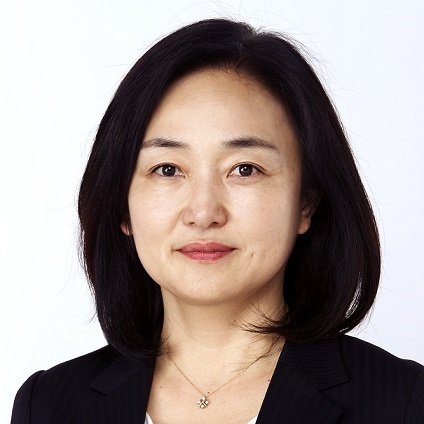 She Joined Nissan Motor Co., Ltd. in 2002, as Vice President, Market Intelligence Dept. Apr 2006 Corporate Vice President, Market Intelligence Dept. 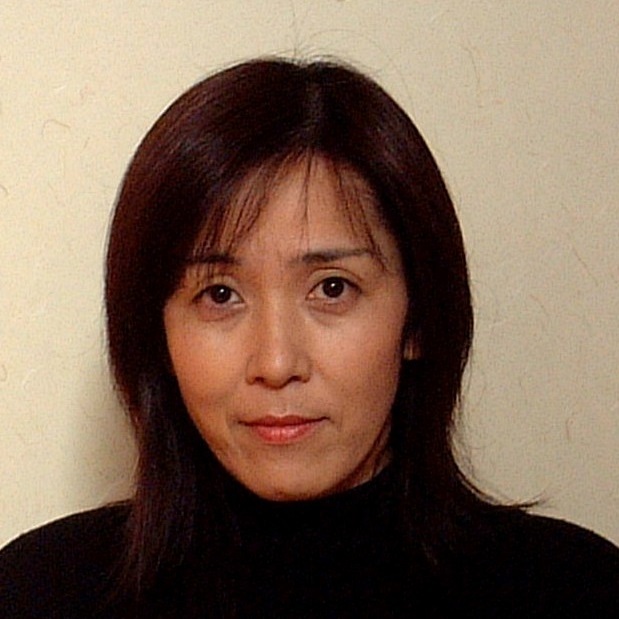 Yuri Arakida became a Yokohama City municipal employee in 1982 after graduating from the Tokyo Woman’s Christian University. Her contribution to the establishment of the Child and Youth Bureau in 2005 was based on her experiences working in the ward office and facing the actual state of affairs of childcare in the local communities of Yokohama. 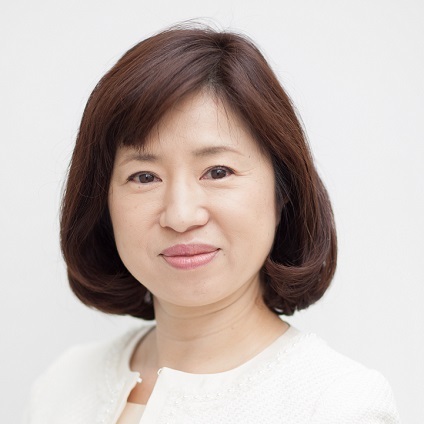 She has held the title of director for the Minato Mirai 21 Division, the Child-Care Support Division, and the Urban Management Promotion Division, as well as the title of director-general for the Policy Bureau. 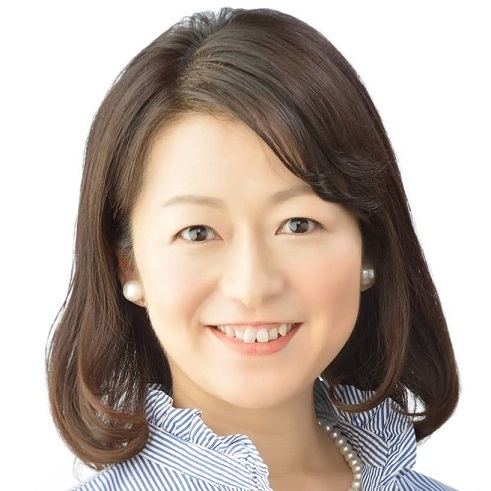 In 2018, she became Yokohama City’s first female municipal employee to be promoted to the deputy mayor. Currently, she is the deputy mayor responsible for child-care, welfare, healthcare, education, culture, and tourism. 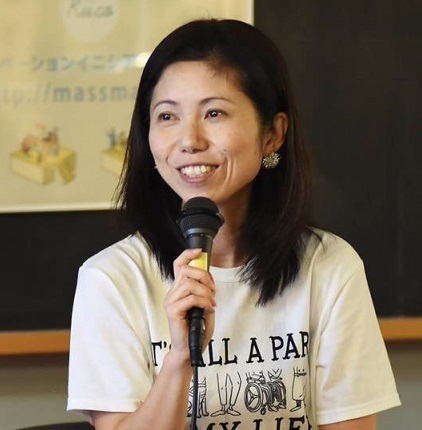 She contributes to important projects and policymaking by making use of her perspective as a woman, promoting inclusiveness, and accepting the diversity of the people living in Yokohama City. 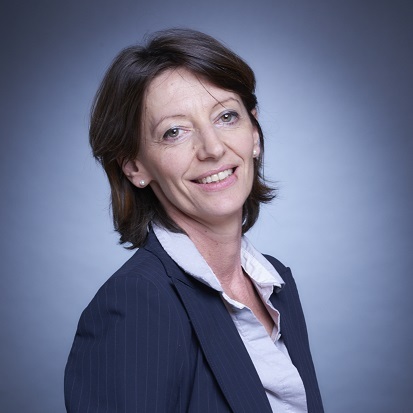 With 30 years of experience at Procter & Gamble in Brand Management and Innovation, Virginie has a broad experience across multiple categories and global to local brand management expertise across several of P&G multi-billion dollar brands (Pantene, Ariel/Tide, Pampers). She has international experience (France, UK, Switzerland and the United States). In July 2011, she recommended the creation of a new position — Global Sustainability Brand Director, working across all P&G business units and regions. Her mission was to embed sustainability into the innovation, brand-building and everyday business practices at P&G. In July 2016, she was promoted to Vice President of Global Sustainability, in recognition of the work she has led to make sustainability a core business strategy, an innovation driver and a catalyst for a more resilient organization. She is the architect of the “Ambition 2030” goals, an industry-leading roadmap that is transforming how P&G is integrating sustainability across its supply chain, innovation and brand building. 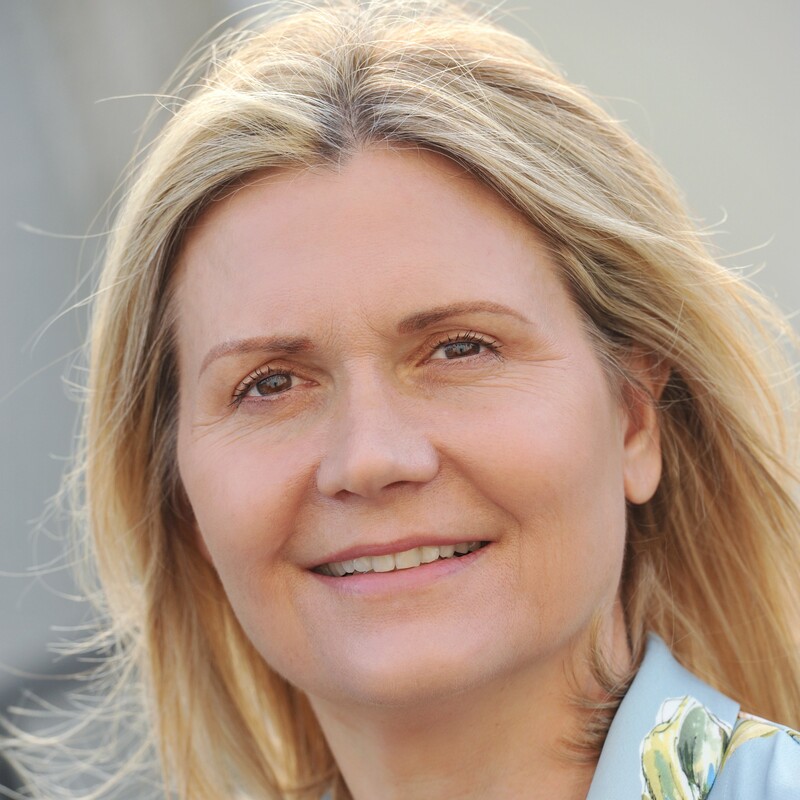 Virginie has received the 2018 Women Leading Award from the World Business Council for Sustainable Development. 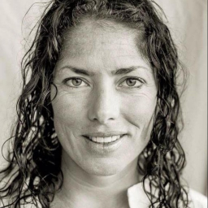 Virginie has 3 children and lives in Geneva, Switzerland, with her husband. She is a marathon runner. 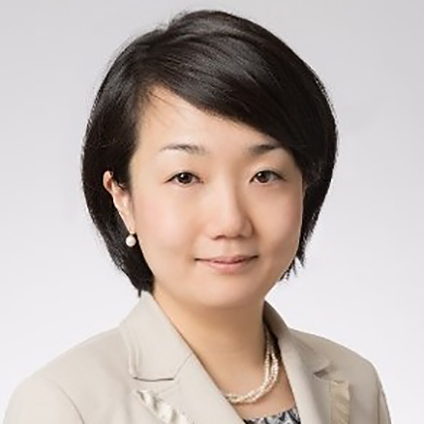 Chika Furukawa has been responsible for overall management of CSR at Yokogawa since 2015. She was appointed as the company’s first head of the sustainability division to accelerate its contribution to the SDGs. 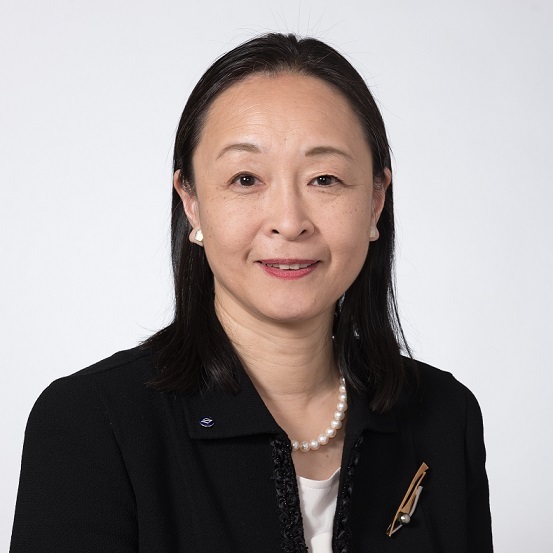 In 2017, she successfully established Yokogawa’s aspirational sustainability goals for 2050, which are directly in line with the Paris Agreement and the SDGs, and subsequently set mid-term sustainability KPIs that have been incorporated into the company’s mid-term business plan announced earlier this year. Chika continues to raise internal awareness of the importance of ESG as a corporate foundation and motivate management and employees to undertake initiatives for improvement. She is actively promoting CSR disclosure, and, as a result, the company is now recognized as a leading example of corporate responsibility in the Asia region. Chika received the 2018 Women Leading Award from the World Business Council for Sustainable Development. 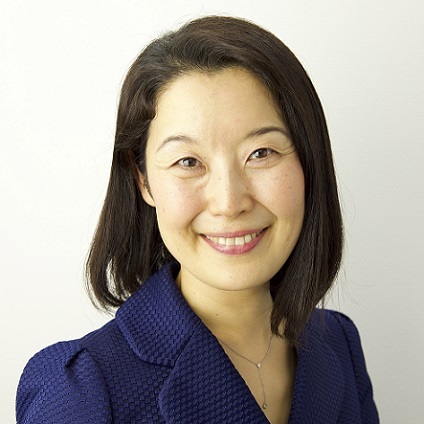 Kaori Kuroda is the Executive Director of CSO Network Japan. She also serves as the President of Japan Civil Society Network on SDGs. Prior to the current positions, Ms. Kuroda worked at the Mitsubishi Heavy Industry in Tokyo, the Center on Japanese Economy and Business at Business School Columbia University in New York City and the Asia Foundation, Japan. 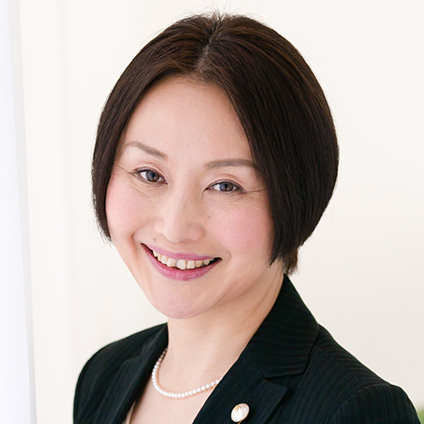 She was the Japanese NGO Expert for developing ISO 26000 (ISO Standard for Social Responsibility). 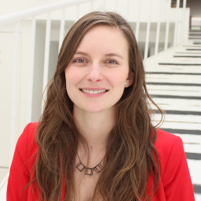 She currently serves as a member of the Working Group on Sustainable Procurement Code and the Chair of the Working Group on human rights, labour and participation for the Tokyo 2020 Olympic and Paralympic Games. She is also a member of the Roundtable for promoting Sustainable Development Goals (SDGs) . 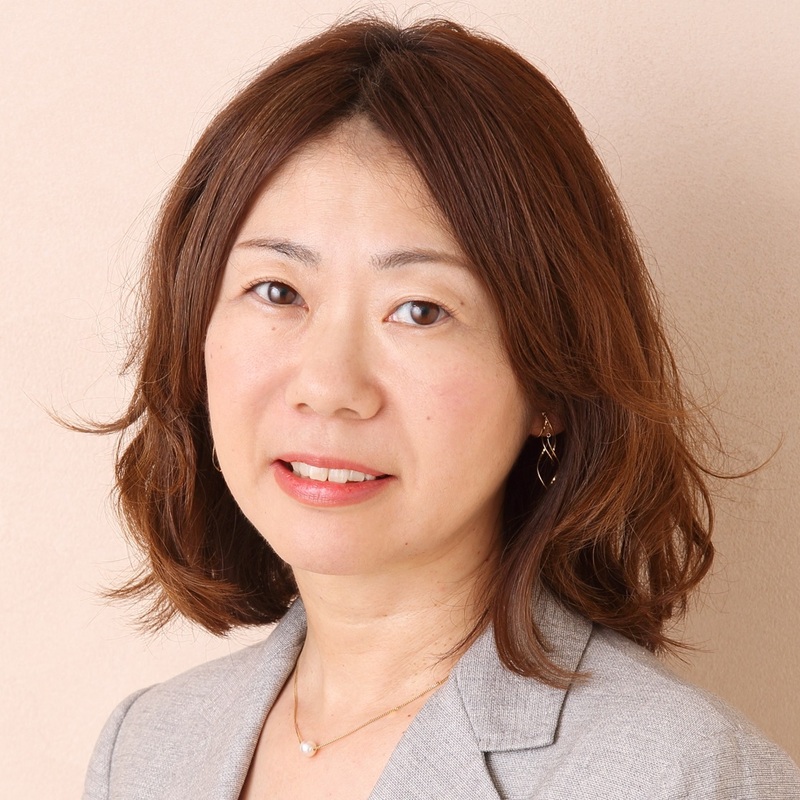 Ms. Kuroda holds a Master’s Degree in Education from Harvard Graduate School of Education. Hiroshi Aoi joined MARUI GROUP in 1986. After holding such positions as managing director and executive vice president, he became president and representative director of the Company in April 2005. 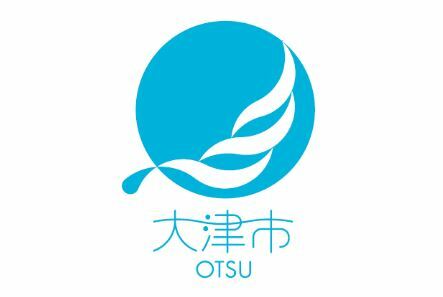 In this leadership role, Aoi was responsible for advancing various innovations based on the foundation provided by the unique business model merging retailing and finance that has supported MARUI GROUP since its inception. These innovations included revising targeting strategies, replacing the Company’s in-house credit card with a multipurpose card, and transitioning to shopping centers and fixed-term rental contracts. 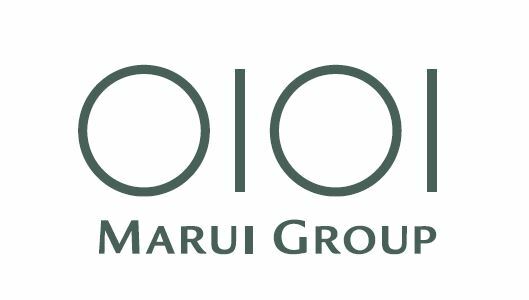 Aoi is leading MARUI GROUP in its efforts to help create a flourishing and inclusive society offering happiness to all through co-creation with its stakeholders. Joined Kubota in 1987.Experienced HR Department and Overseas Planning & Control Department. Dispatched to Production Base in USA. After coming back to Japan Worked for Spare Parts Division. Started CSR Business in 2012. Since 2010 I have been operating a project on sustainability of raw materials for Private Brand photocopy paper. Currently, the introduction of renewable energy and commercial EV does not progress easily, which makes me nervous. 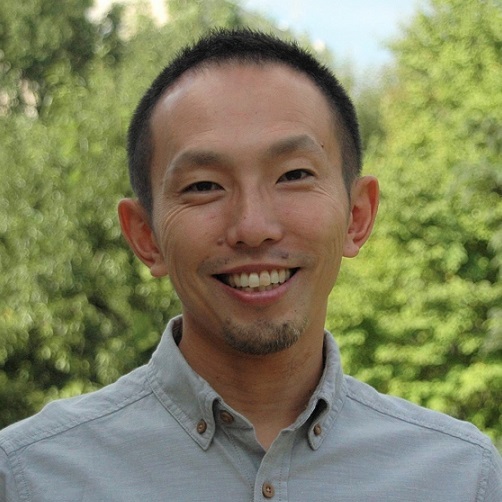 Hideaki Azuma (“Azzy”) is a sustainability leadership consultant and a professional coach for organizational change. He is also a global faculty member of ORSC™ (Organization and Relationship Systems Coaching). After receiving his MBA from Willamette in Oregon, he has spent the past 14 years developing and conducting a variety of training programs, consulting engagements, and coaching sessions for over 400 companies representing 30,000 participants in support of their business goals. He most recently obtained an Executive Master of Sustainability Leadership (EMSL) from Arizona State University. Azzy is a dynamic instructor in the classroom, and takes a balanced approach that focuses on both the logical and emotional aspects in order to create authentic change. In the past two years, he has attended SB Detroit, SB Vancouver, and Green Biz Arizona to stay current on global sustainability trends and deepen his network of contacts. He has also organized the successful “Life Redesign Retreat” that is held in New Zealand. 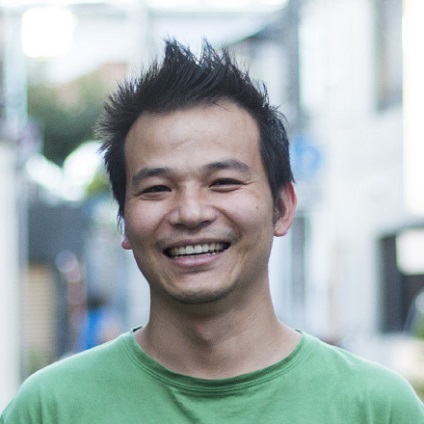 Azzy is originally from Hokkaido, though now resides in Kashiwanoha Smart City with his wife and two kids. He loves the outdoors and is an avid Fly fisherman. 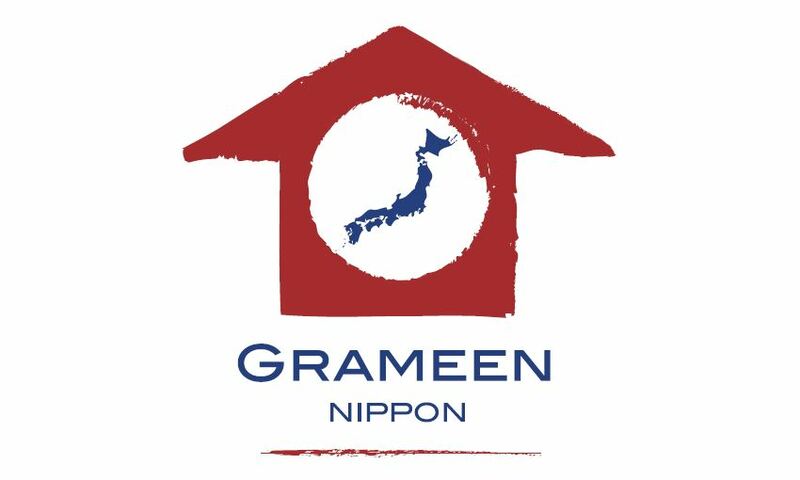 Joined Nestlé Japan in September 2014 after working for the current Unilever Japan, Renault Asia Pacific, Zenrin etc. in chage of marketing, communication, or corporate strategy and so on. Taken over the current responsibility since September 2018. 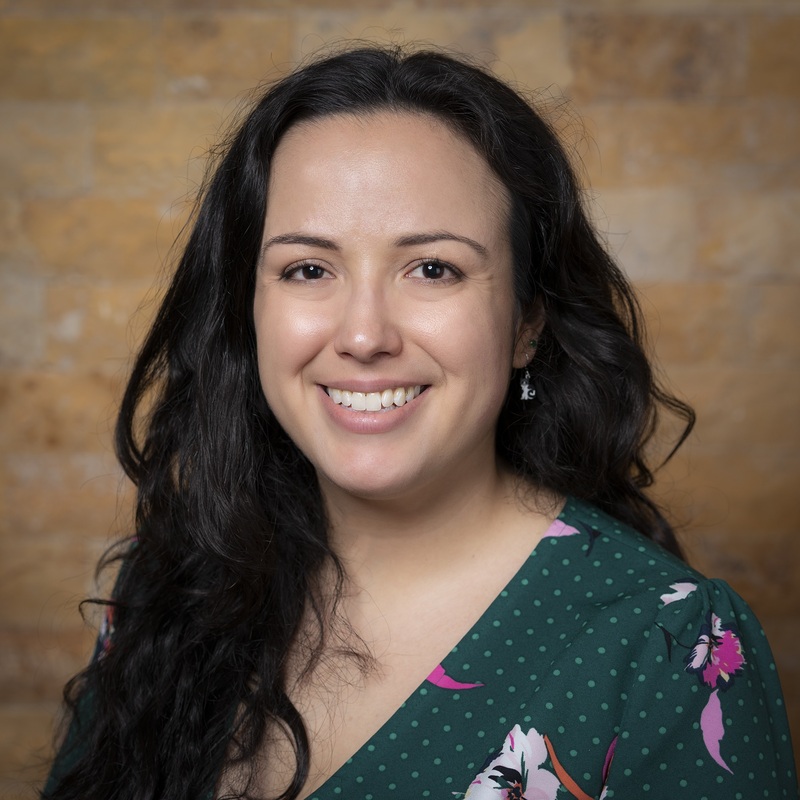 Angela Marie Ortiz is an American-Colombian who has lived over 13 years in Tokyo as an Educator, Humanitarian Aid Coordinator and CSR professional. 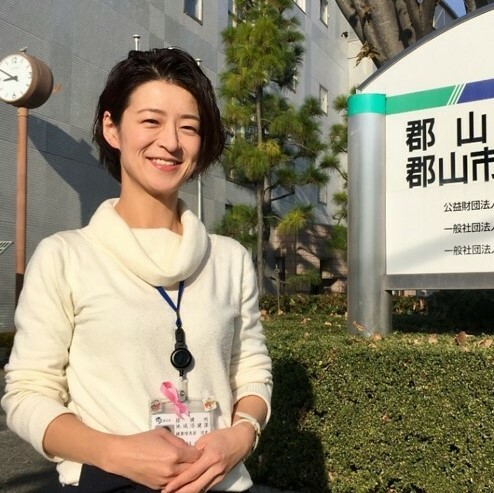 She co-founded the community building focused NGO, Place to Grow and was named “Recovery Support Ambassador” to the town of Minamisanriku-cho in Miyagi Prefecture in 2014, in 2018 she moved to adidas Japan to set up the sustainability strategy with a focus on community building through sports, and developing sustainable lifestyle experiences for employees and customers. 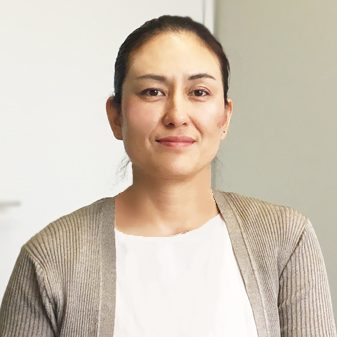 Angela lives in Tokyo with her 16 year old daughter and is passionate about CSR and volunteering. She also enjoys salsa dancing, spartan racing and jujitsu. In 2003 joined Cre-en Inc., a sustainability consulting firm. As a sustainability consultant, have engaged in consulting on corporate information disclosure, communication strategy for many years, and also engaged in Japanese translation editing of GRI standards and GRI guidelines. Member of Japan Sustainable Investment Forum steering committee. 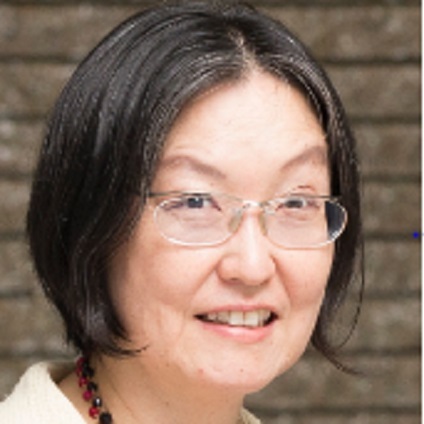 Former member of Sustainability Forum Japan Steering Committee. Graduated from Faculty of Economics, Keio University. Completed the Tama University Graduate School of Management. Since July 2016 he has been tasked in the current capacity to deal with a variety of international affairs including those related with G20, G7 and FSB. 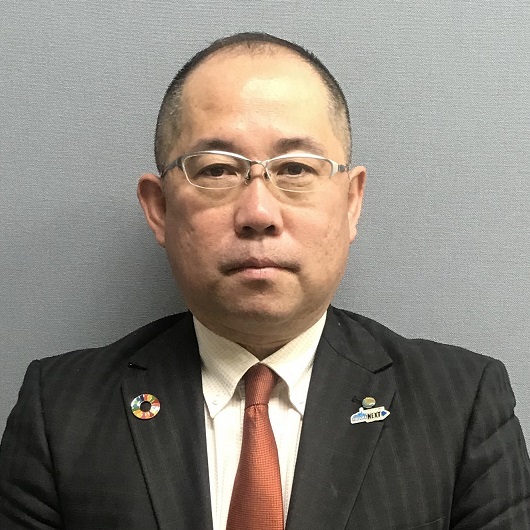 As such, he is in charge of implementation of climate-related financial disclosure in line with TCFD recommendations in Japan as well, while also leading the Sustainable Development Goals Project team in the Japan FSA. Prior to the current post, he spent 4 years in financial supervision of Japan’s major banks at the Supervisory Bureau. 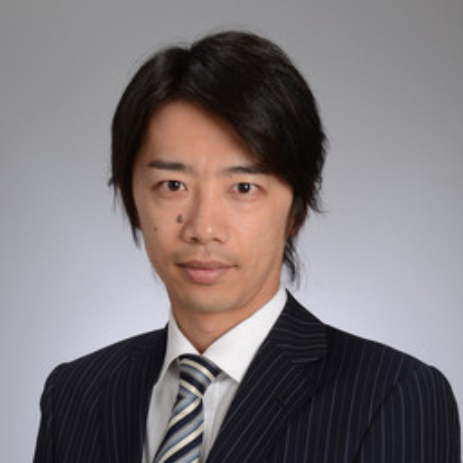 Furthermore, he represented the Japan FSA for negotiating Basel III prudential standards at various working groups of the Basel Committee on Banking Supervision. 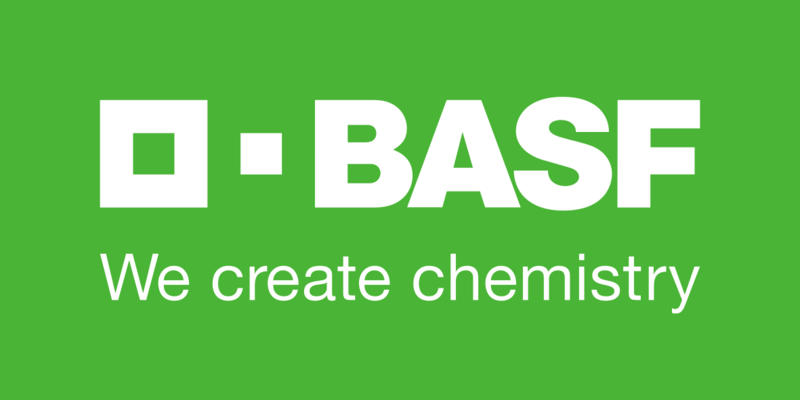 Hiroki Ishida joined BASF Japan in 1994. He entered joined the company as a technical expert and was transferred to the Central Research Laboratory of at the headquarters in Germany. After that, he successively worked in sales positions, and when he was stationed in Malaysia, he travelled to various countries as a sales manager of for the ASEAN region. 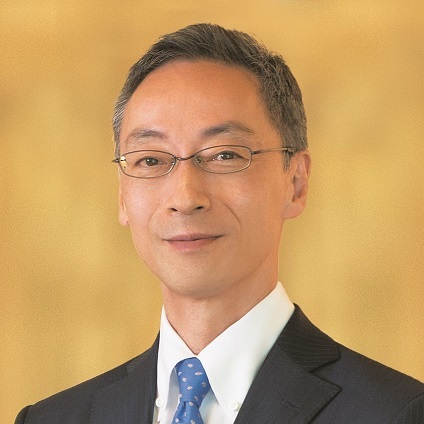 In 2010, he was appointed Vice President of the Dispersions and Pigments Division at BASF East Asia Regional Headquarters Ltd., and became the first Japanese national to lead the Asia-Pacific region as head of a business. 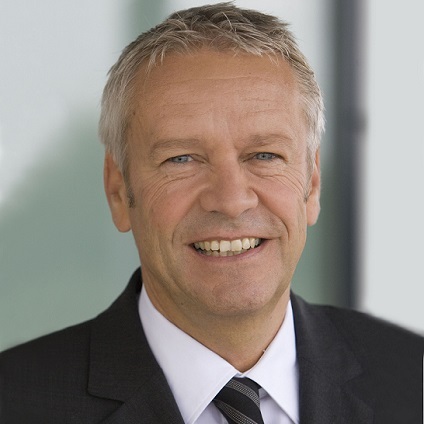 He became Vice President, BASF Japan Ltd. in 2012, and then . 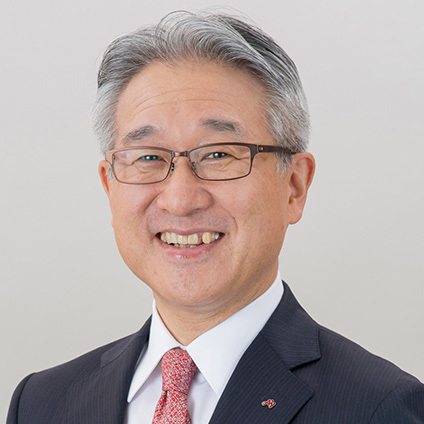 In February 2018, he assumed the post of BASF Japan’s Representative Director and President as the first Japanese national to be trained within the company. Ishida was born in Hyogo Prefecture and is, 50 years old. His business philosophy is that the starting point of business is to gain trust. 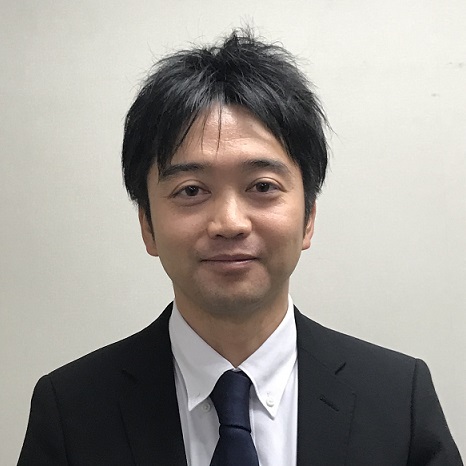 Ishibashi designed semiconductor microchips as an engineer at Semiconductor Company of Matsushita Electric Industrial Co., Ltd. from 1996 to 2008. In 2008, 2009 and 2010 he developed environmental sustainable transport in Asian countries as a researcher of Ministry of Environment, Japanese government. 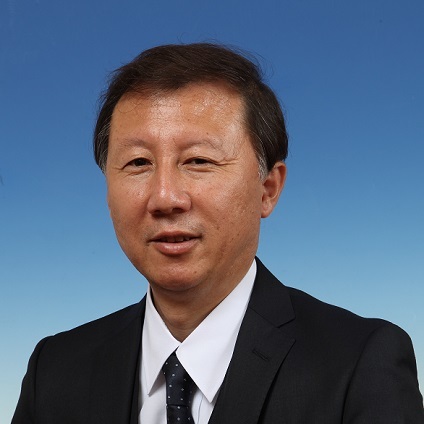 From 2012 to 2017 he contributed to build up WEEE legislations and schemes in Vietnam and Malaysia in collaboration with Japan International Corporation Agency as a member of Japanese industry association and a general manager of Panasonic Asia Pacific Pte. Ltd. Since 2017 Ishibashi promotes activities related circular economy businesses as Leader of Circular Economy Project of Panasonic Corporation. 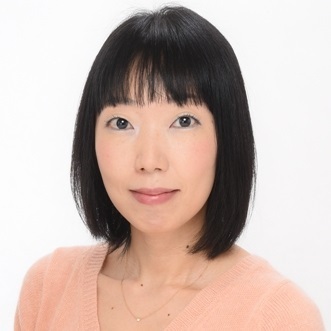 Ms. Ishimaru joined Novo Nordisk Pharma in 2014 and she has been in charge of DTC marketing, patient advocacy, Web marketing, PR and corporate branding through the Sales, Marketing, President office and External relations division. 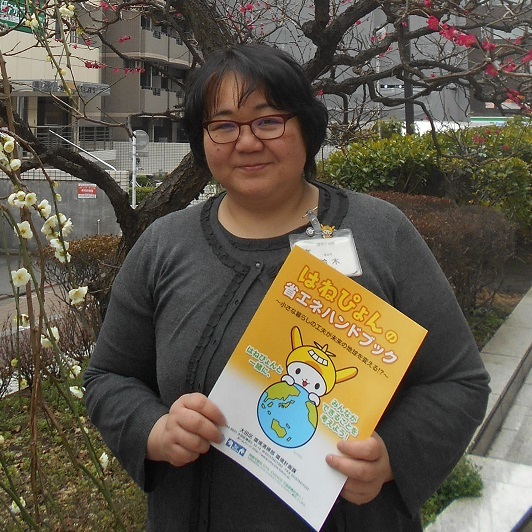 Since 2011, she has been leading “Changing Diabetes®” activities which is activity for the corporate mission of overcoming diabetes issue, and have joined the global project to investigate diabetic psychosocial problems. She is addressing diabetes as a social issue together with stakeholders, and in 2018 she launched the joint research of industry, government and academia “” with Koriyama city and Fukushima Medical University. 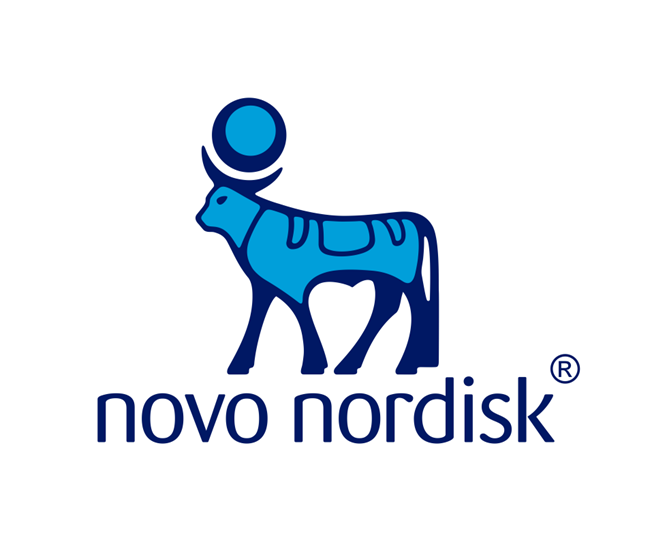 These activities are the example how to make shared value with stakeholders and it is aligning with Novo Nordisk principle, Triple Bottom Line. She is also diagnosed type 1 diabetes when she was 14 years old. As a person living with diabetes, she pursues a way to live better lives even having diabetes. 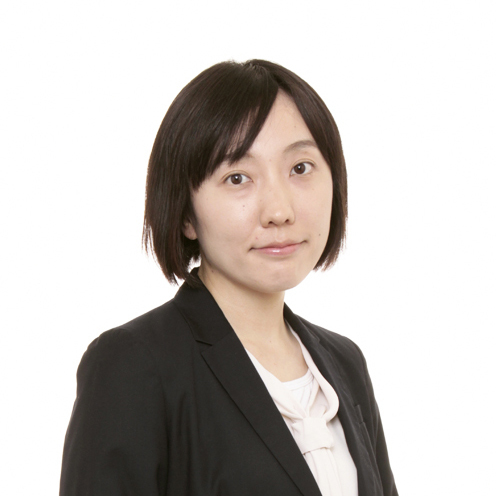 Yuki Isogai is leading the International Development Team, Sustainability in PwC Japan. Her expertise covers CSV and SDGs business, inclusive business, ESG and responsible investment, and public private partnership. She serves both the public and private sectors, e.g. JICA, METI, IFC, in the public sector and agribusiness, healthcare, education and finance sectors in the private. Before joining PwC in 2011, she has worked at the World Bank, the Ministry of Foreign Affairs and private companies in East Europe, South East Asia, South Asia and Africa. With her experience in and networks with Africa, she represents the Africa Desk at the PwC Japan. 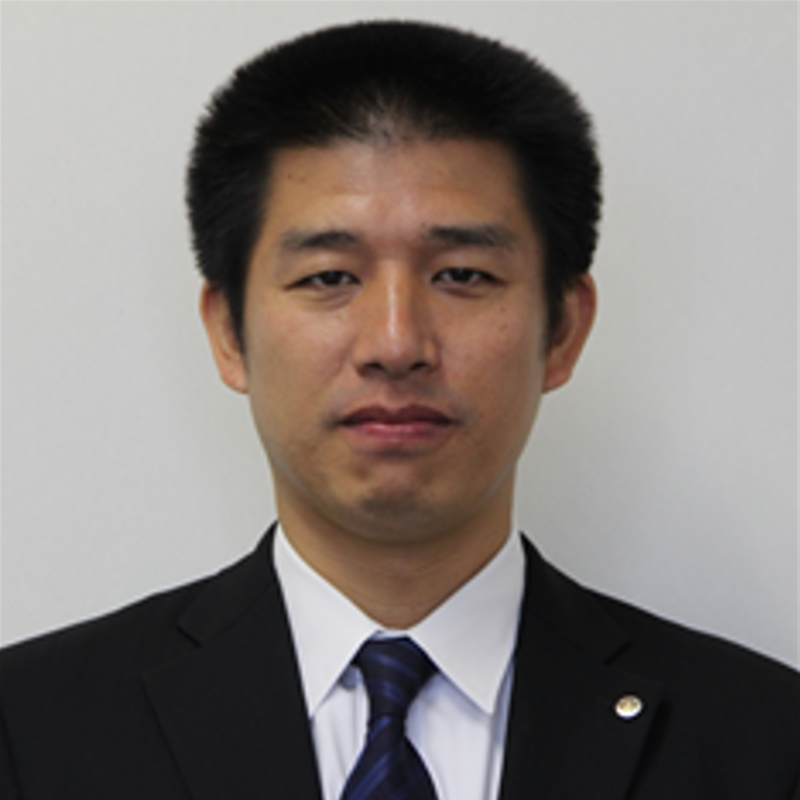 Hiroyasu Adam Ichikawa is Manager of CSR Department of Sompo Japan Nipponkoa Insurance, Inc. He was born in Washington D.C. and brought up in England and Japan. 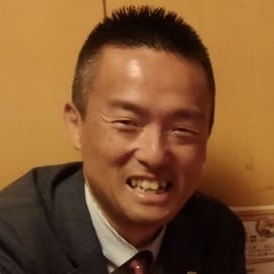 After graduating Faculty of Business, Yokohama City University of Japan, he joined Sompo Japan Nipponkoa (then Yasuda Marine & Fire Insurance) in 2000 and was appointed at the insurance claims department in Chiba and Nagasaki prefecture, specializing in auto mobile and fire insurance. In Nagasaki, he was in charge of countermeasure headquarter for swift insurance survey towards natural disaster such as typhoons. 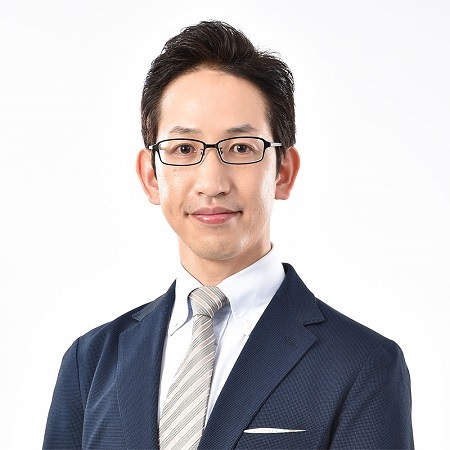 Since 2012, he has been responsible for CSR communication in Sompo Japan Nipponkoa and its parent company Sompo Holdings as an editor of CSR reporting. 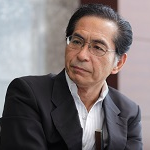 Mr. Ichikawa joined Takagi Kogyo (now Seiko Epson) in 1982, where he spent a year in new business development. From 1983, he participated in the development of industrial robots at Suwa Seikosha. From 1994, he engaged in laser printer R&D in Seiko Epson’s Corporate R&D Division. Then, in 2011, he began work on the development of an in-office system for making new paper from used paper. In December 2016, Epson announced the PaperLab office papermaking system, which uses Epson’s original, proprietary dry fiber technology to produce paper in a virtually waterless process. Since 2017, he has been helping to pioneer the development of new eco-minded business areas while also serving as the Deputy General Administrative Manager of Technology Development. 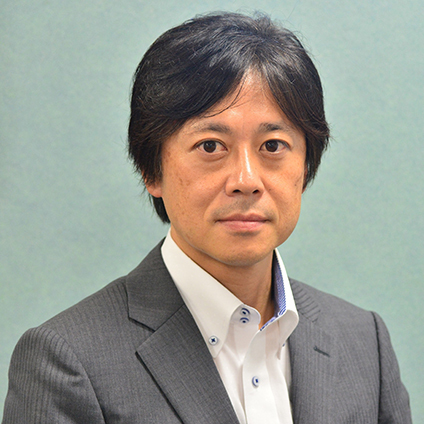 Takashi Itoh is Senior Vice President, Corporate Strategy & Sales Development. 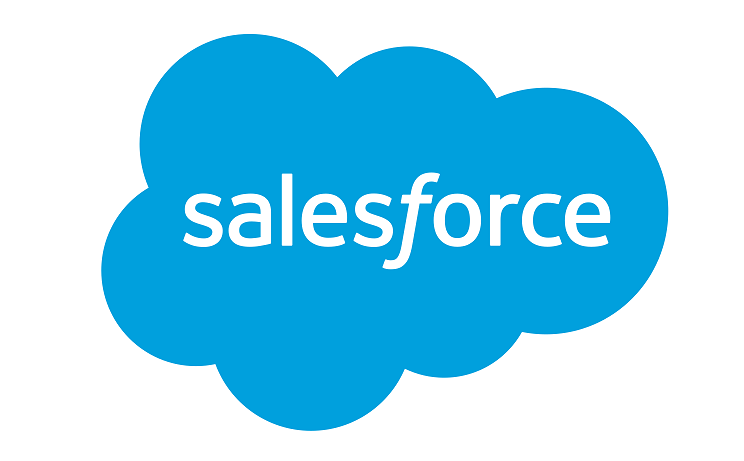 He joined Salesforce Japan as Vice President, Corporate Strategy & Sales Development in March 2014 and has been focusing on growth strategy and operational excellence. 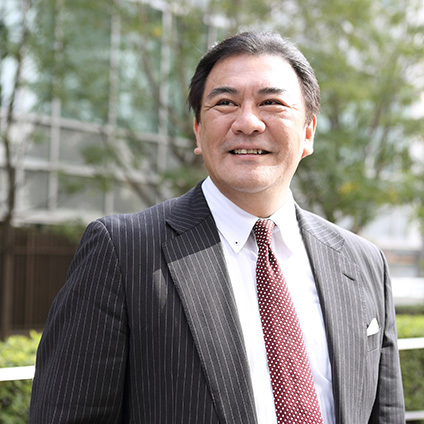 Prior to joining Salesforce, he worked for HP Japan for 5 years as country CFO. 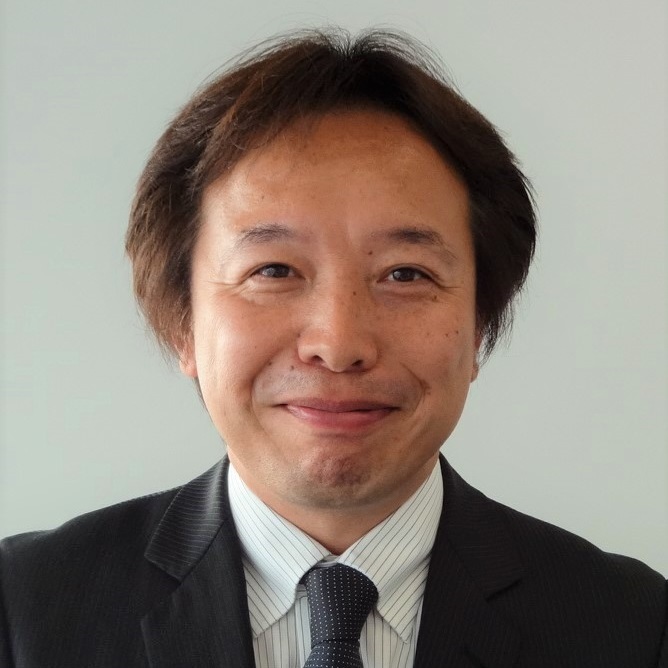 Before HP Japan, he worked for IBM Japan for 24 years and assumed various finance positions such as Accounting Consolidation, Fixed Asset Accounting, Taxes, Planning Consolidation and Service Business Finance. He has also experienced two year assignment at the IBM headquarters in New York, as well as the Planning Manager role in the AP Region headquarters. 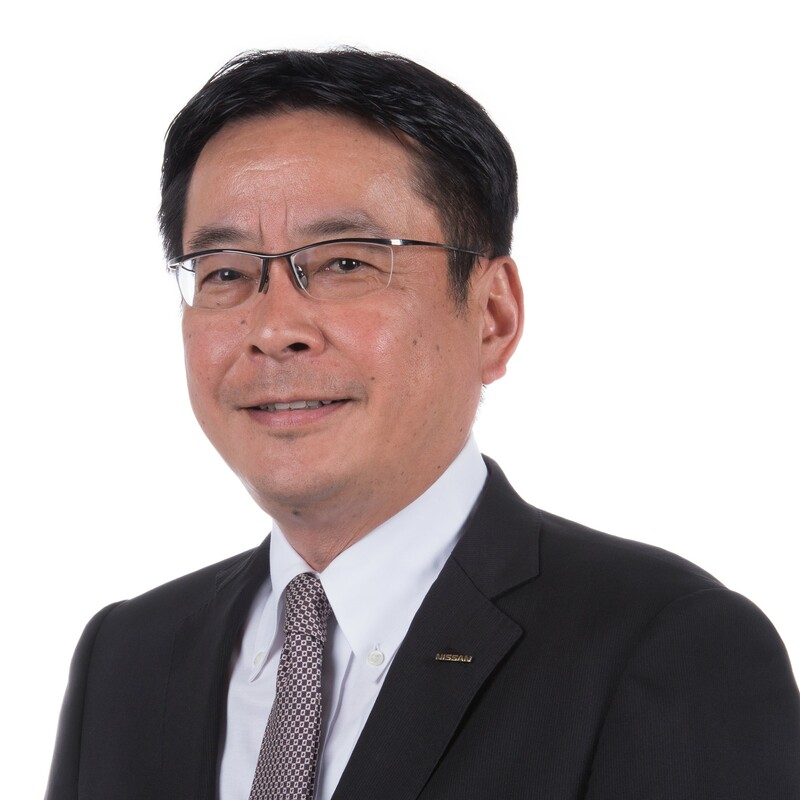 Akihiro Inatsugi has been employed by Bridgestone Corporation since 2004. He was engaged in development of environmental improvement technology and provided on-site guidance and environmental technical support globally. In 2010, he built a environmental strategy planning function and then developed various environmental policies such as refined environmental mission statement and the long-term environmental vision. From 2012, he was engaged in launch of a new plant in North America which produces large and ultra-large off-the-road radial tires for construction and mining vehicles. 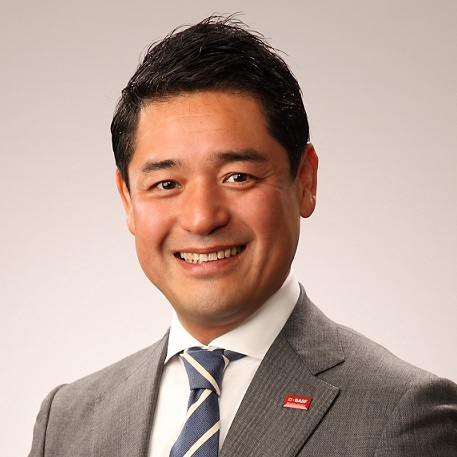 After returned to Japan in 2015, he worked in the CSR department and promoted building a global CSR enhancement structure and launch of Bridgestone’s new global CSR commitment “Our Way to Serve”. In 2018, he moved to the corporate planning in Global HQ. From January 2019, he is promoting sustainability challenges and strengthening a platform and structure for global activities in Bridgestone. In college, I studied managerial engineering and after graduation I got a job at a company. After that, I decided to study abroad at the age of 29 and traveled to the USA. I obtained MBA from the University of Tennessee and Ph.D. in Economics from the University of Memphis. The doctoral dissertation was a study on health economics. After that I returned home and I have taught at Yamanashi Gakuin University for 21 years. On the way, I studied at the social medicine course of the faculty of medicine at the University of Yamanashi and I have a doctorate degree in Medical Science from the University of Yamanashi. Research field is social epidemiology. It is a study to clarify the relationship between society and health. Specifically, it is a study to clarify the influence of socio-economic status (SES) on health. Socio-economic status is the socio-economic situation such as income, income disparity, occupation, living environment and so on. Of those, particular attention is social capital. In the Great East Japan Earthquake, the importance of ties in the region was noticed. Also, I am interested in the regional economy and I am paying attention to the business that revitalizes the region by utilizing local resources. We are paying particular attention to “social business” which solves regional issues by business methods. My hobbies are outdoor, especially triathlon. Every year, at least one participates in the triathlon race. 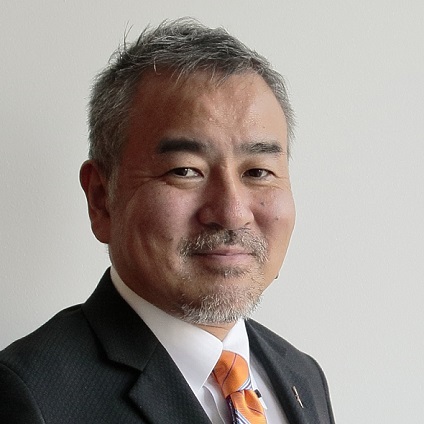 With a 24-year nonprofit management experience in the U.S., Japan and South Africa, Katsuji currently serves as Board Chair of CSO Network Japan (CSONJ) whose recent focus includes social responsibility of the private sector and impact management among SPOs (social purpose organizations). Harnessing innovations in impact management into pilot projects and new networks is housed at the Impact Management Lab at CSONJ. 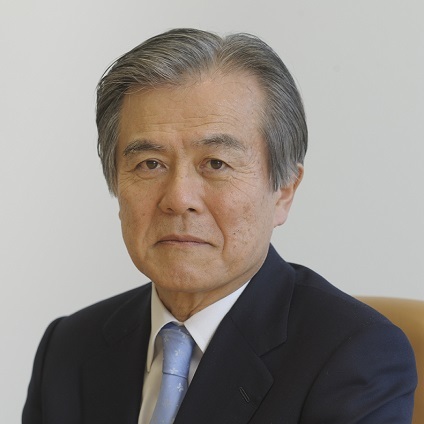 He also serves as Vice Chair of Japan NPO Center, a national infrastructure organization for Japan’s nonprofit sector. 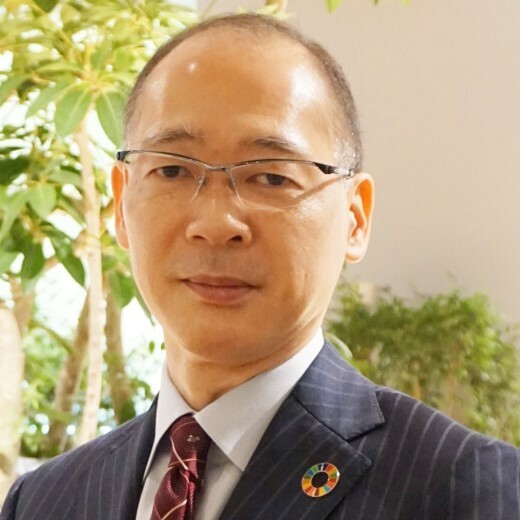 Beyond these primary roles, he is active with Japan Civil Society Network on SDGs and Social Impact Measurement Initiative (SIMI). SIMI has produced a framework and guidelines for Social Impact Management. 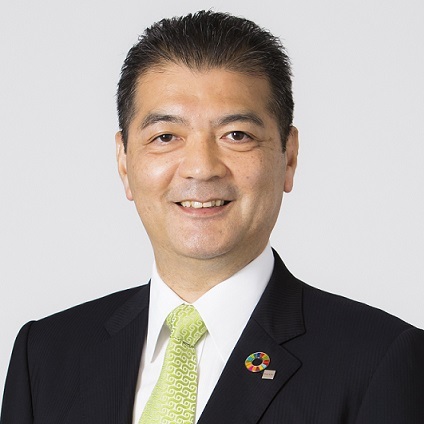 Katsuji was in Johannesburg in 2008-2013 working for CIVICUS: World Alliance for Citizen Participation as Deputy Secretary General, and led the effort to involve civil society globally in the UN-led post-2015 development/sustainability agenda. 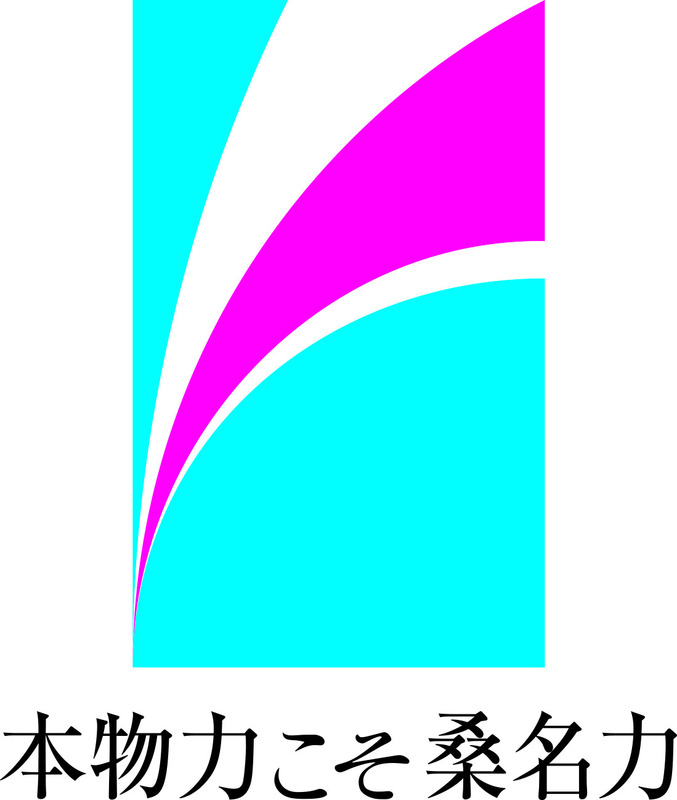 After worked at Coop Kobe, established FLAP, an institute of life design in 1999. Good at facilitating innovation in educational and business opportunities; encouraging participants to re-think from every aspect what is too common for them and to be an independent citizens who can make their own decisions. I have been a member of NACS, Nippon Association of Consumer Specialists from 1985. As a member of its environmental committee, I have been dealing with the consumer education from the view of environment or sustainability and the better communications between the business and consumer sectors. He has been in textile trading industry for 20 years since he started his career back in 80’s. Being aware of how the tremendous amount of the textile waste are divert from landfill and incineration for very long time. 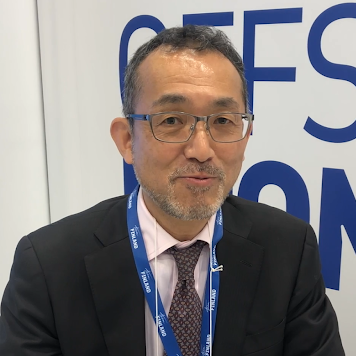 Iwamoto gained extensive experience in textile recycling as he joined the project of PET bottle recycling and that was the moment he realized the importance of standardizing the recycling rule across the industries. 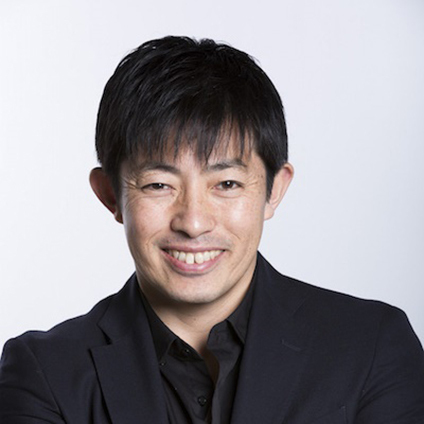 Iwamoto and Masaki Takao, the current CEO of JEPLAN, co-founded JEPLAN, INC. in 2007, and have provided the infrastructure for clothing recycling that both consumers and companies can participate. JEPLAN will start operating the new plant with new technology of polyester recycling this winter and expand the business including foreign markets. In 2015, he was selected as an Ashoka Fellow and also won the EY Entrepreneur of the year Japan for Challenging Spirit Award. He won Japan Venture Awards for The Small and Medium Enterprise Agency Award in 2017. 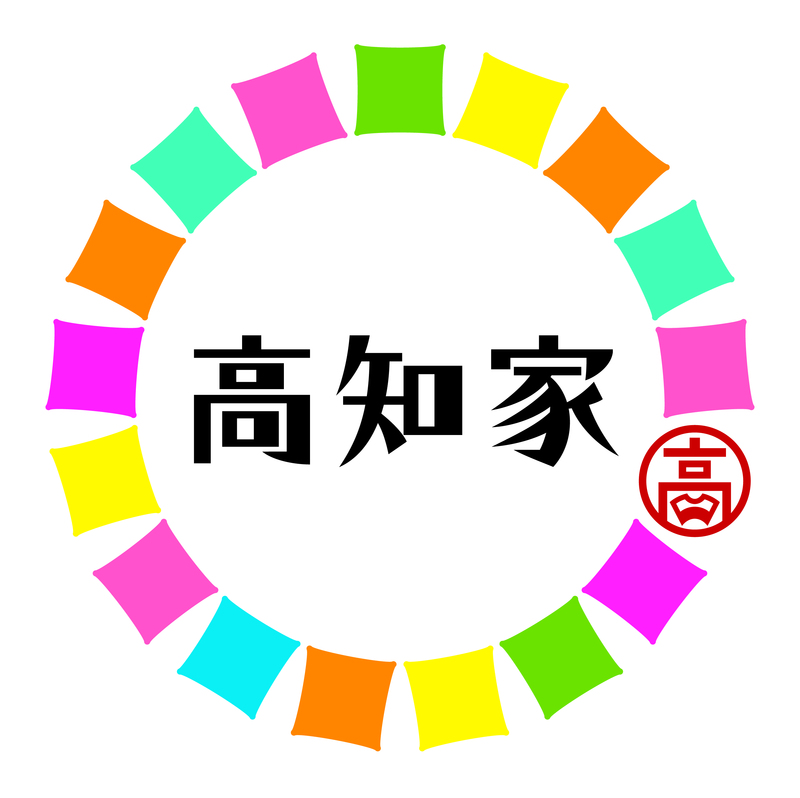 2014 Moved to Koriyama city and join Health and Welfare Department health center Regional Health Division. She is promoting public health through annual health check-up and education in health promotion department. 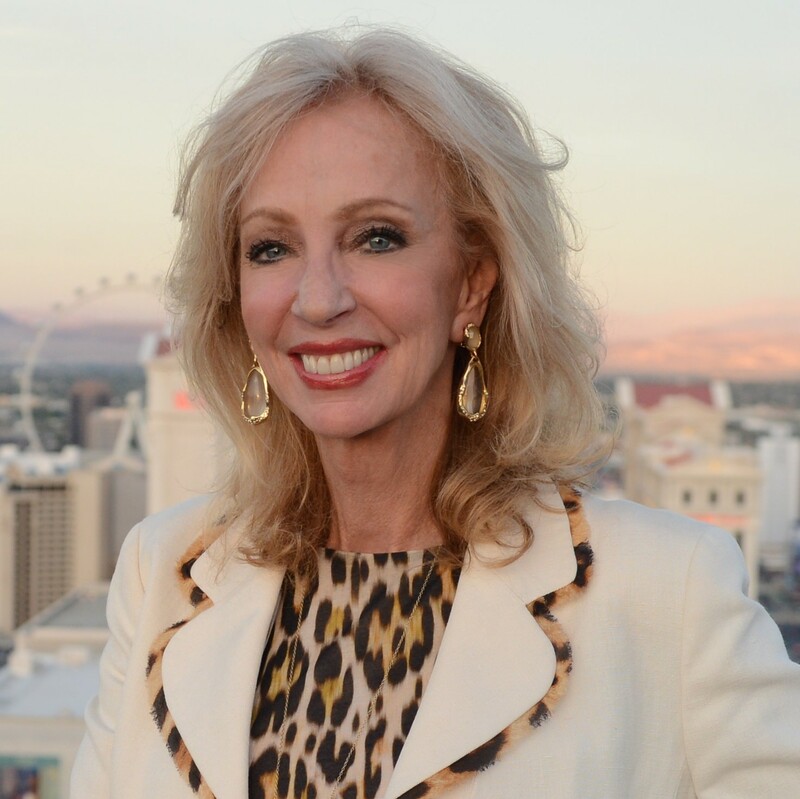 Wendy Bagnasco is Manager of Sustainability and Responsible Business at Caesars Entertainment. She is responsible for developing and maintaining various corporate social responsibility programs for the enterprise. In order to successfully drive initiatives forward, Wendy is a key point of contact between various departments and engages internal and external partners to demonstrate the business case for corporate behavioral shifts. A large portion of her job is communicating the breadth and depth of Caesars’ corporate social responsibility work to a variety of audiences—from sustainability experts and environmental-social-governance investor analysts, to line cooks and accountants. In her rapidly dwindling spare time, Wendy enjoys visiting museums, learning about coffee, and trying her hand at pottery. 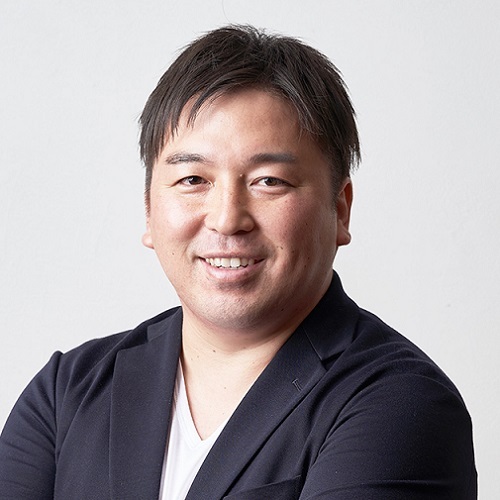 Masataka UO is the founder and CEO of Japan Fundraising Association, a nationwide fundraisers’ network that promotes philanthropic giving in Japan, and the founder and CEO of Fundrex.Co.Ltd, a leading fundraising, and NPO management consulting company. He led the launch of the Certified Fundraiser (CFR) program in Japan and has organized annual fundraising conference in Japan. He also tries to expand “Learning by Giving” program in Japan. Born in Ibaraki, Japan in 1963. After graduating from Hitotsubashi University, joined Recruit Co., Ltd. in 1986. After working as a director of Works Corporation Co., Ltd., he is Director of Medix Inc.
President and Representative Director data dock Inc. from April 2016. 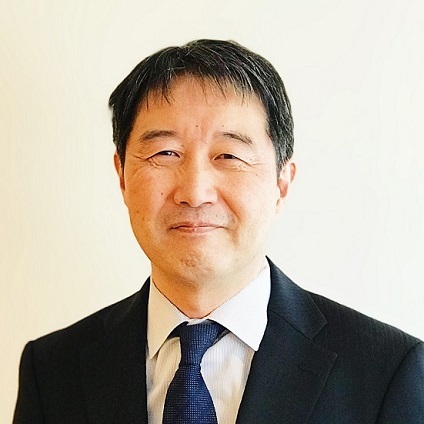 Keiichi Ushijima is responsible for leading sustainability advisory business and assurance services for non-financial disclosure as Japan Area Leader of EY Climate Change and Sustainability Services. 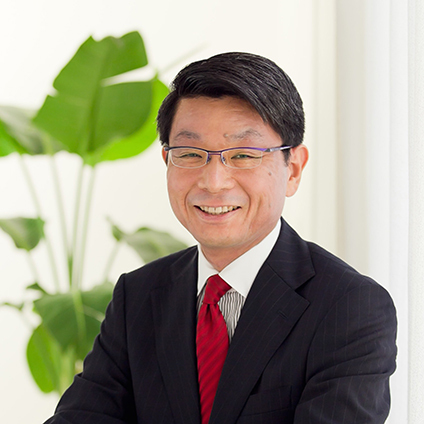 Prior to joining EY, he was a Global CSR Leader at Hitachi, one of Japan’s largest Japanese electronics companies. 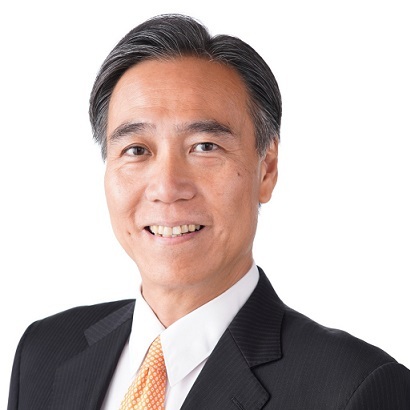 At Hitachi, he developed the Hitachi Group’s CSR Strategy, Assessment Tools, Human Rights Policy and Due Diligence Process, and facilitated Stakeholder Engagement (Dialogue) around the world, to integrate CSR / Sustainability into Hitachi’s business strategy. 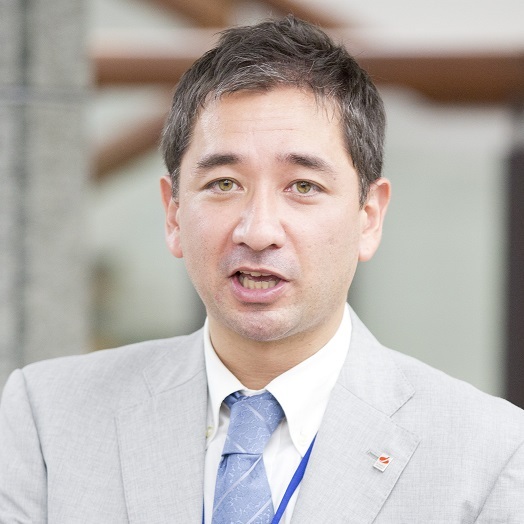 Mr. Ushijima is a member of the UN Global Compact Human Rights and Labor Working Group. 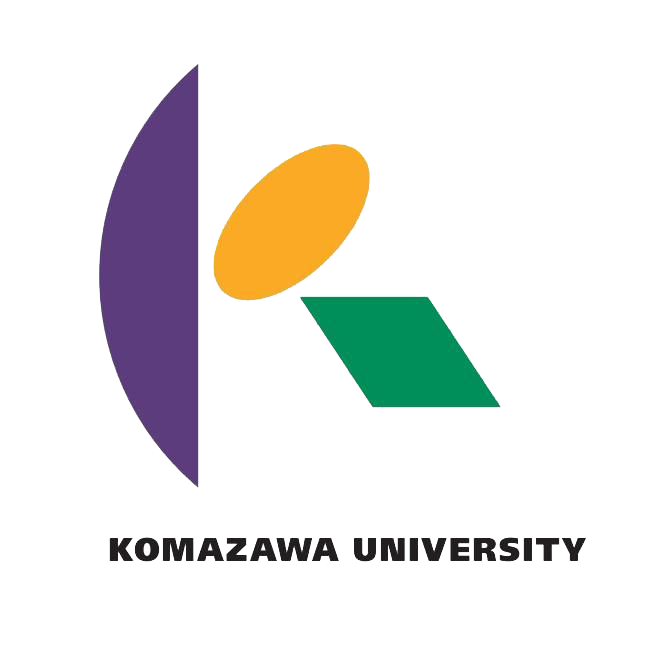 Tohoku Universit Part-time Facalty. Started career as an advertisement consultant at Mynavi. Engaged in project management of　planning/developing a training program and in new product development dedicated for fresh recruits and junior employees. Left Mynavi to join Okamura Corporation in 2015. Currently engaged in various organization development projects such as workstyle innovation, promotion of diversity and inclusion, and value co-creation with external entities. Manager, Work in Life Labo. 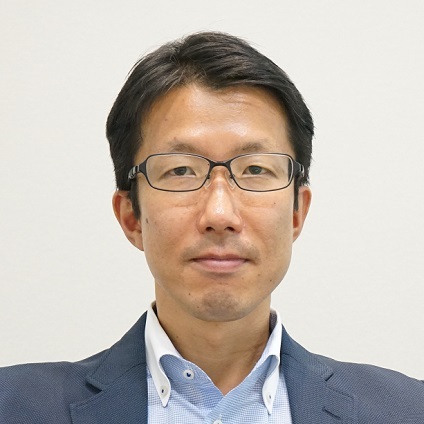 Cats Edo is a professor of marketing and marketing research at Prefectural University of Hiroshima, Hiroshima Business and Management School (HBMS). 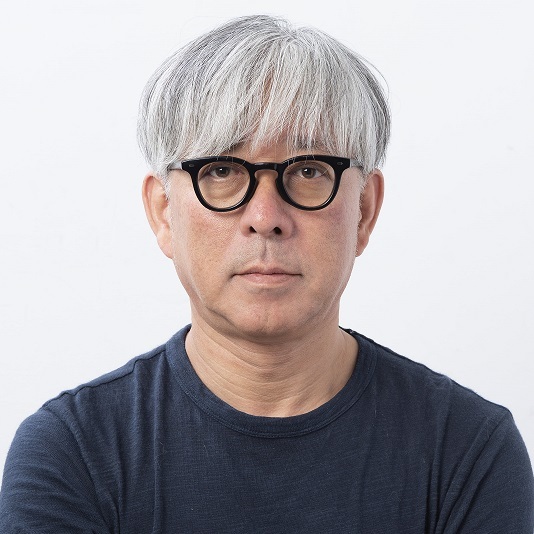 Before joining HBMS in 2016, he served as a professor on Bunka Gakuen University, Department of Fashion Sciences, where he was in charge of Global Management. 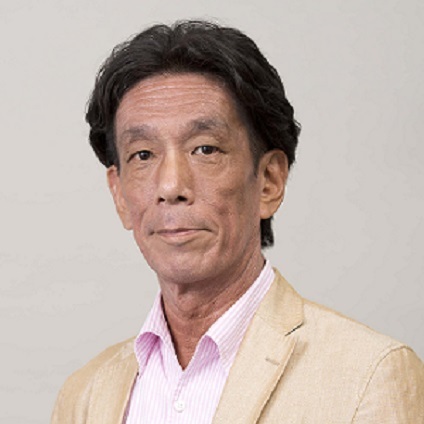 As a research technical advisor of Survey Research Center Corporation since 1994, he has consulted many corporations through marketing research in Japan. His major interest now is Picture Mining, a research method using pictures from the respondents. He got Master Degree of Commerce at Keio University in 1994. He finished the Ph. D Course of Commerce at Keio in 1997. Obtained M.S. degree in Ecology from University of California Davis in 2003. For 14 years, set and promoted low-carbon, water, biodiversity strategies in Toyota Motor Corporation. Initiated and implemented sustainable plant projects and Global Challenge 2050 in Japan, North America, Thailand, etc. Joined a startup company, A-zero inc., in 2017. Developing circular economy & ecology in Nishiawakura Village. Established an eel aquaculture farm in an abandoned elementary school to shift eel industry towards sustainable resource management. Utilizing waste wood materials from local forestry to heat up the aquaculture tanks and reusing wastewater in vegetable productions. Also, designing an app and running eco-tours to bridge urban and rural areas. 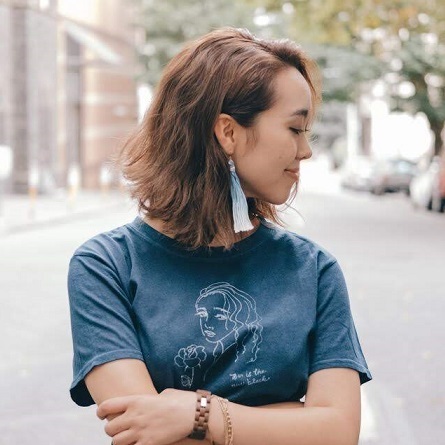 Mie Kajikawa is an award-winning social entrepreneur and the first-ever Japanese female NBA intern who advocates the power of sport to change the world. 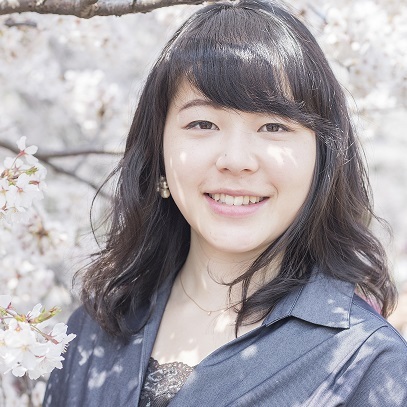 With Master’s degree of Sports Administration from Ohio University, Mie worked with consulting company in Japan and Tokyo 2016 Olympic Paralympic Bid Committee, and established her own company Cheer Blossom, Inc. that provides consulting on SSR (Sports Social Responsibility), which won the EY Groundbreakers Award. Her clients and partners include global corporations and Japan’s newly integrated professional basketball league, which launched the league-wide SSR initiative with SDGs. Mie also founded “Sport For Smile” which has delivers events and projects in collaboration with UN and World Bank and funded by FIFA’s official NGO partner, and Sports Mentoring program to help children from DV victim families. It also focuses on “Sports and Sustainability” as the sole Japanese Founding Member organization of SandSI. 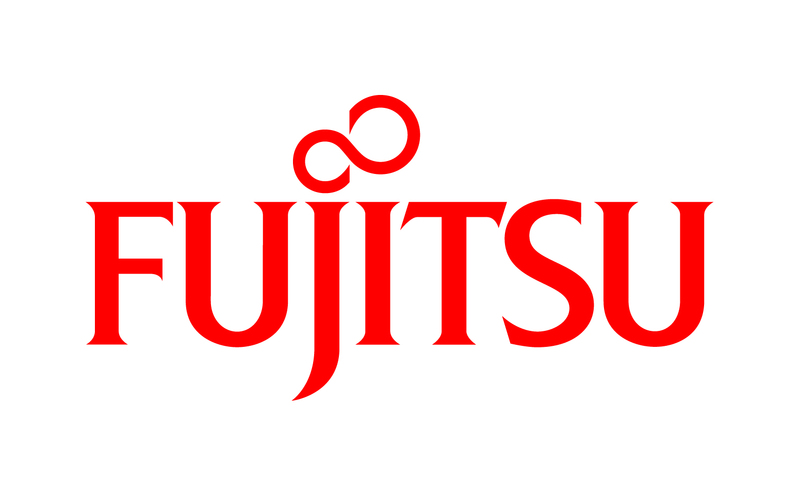 After joining Fujitsu Limited, she worked for several business units, including Network Products and Mobile Phones Business. And she worked for Mobile Phones Intellectual Property Strategy Department and Corporate Legal Unit. In April 2015 she became Corporate Executive Officer and Vice Head of Legal, Compliance and IP Unit. And in April 2017 she became Vice Head of Global Human Resource Unit and in April 2018 Deputy Chief Technology Officer and Head of Diversity Promotion Office. She have been in charge of talent development and diversity promotion. From March 2018, she has been involved in developing and implementing national technology and innovation policies as an Executive Member (part-time) of Council for Science, Technology and Innovation, Cabinet Office. 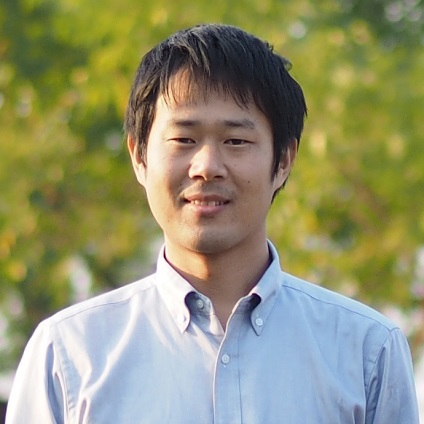 Yu Kato is the CEO at Harch Inc. and the editor-in-chief of IDEAS FOR GOOD. 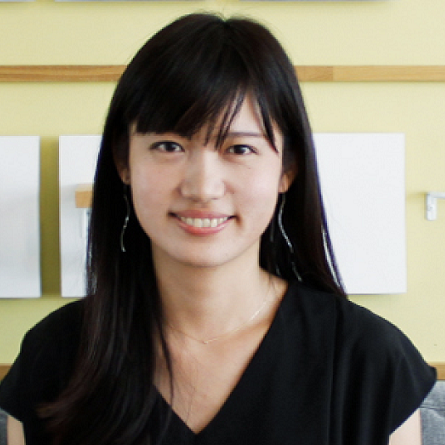 After graduating from the University of Tokyo and working at Recruit Agent Co., Ltd., Yu co-founded Neural Inc. in 2013 and developed an online news website focusing on CSR and sustainability topics. After leaving Neural, he founded Harch Inc. in 2015 and started a unique online magazine called “IDEAS FOR GOOD”. It spotlights a wide variety of social good projects around the world. His passion is to spread inspiring ideas to tackle social issues using the power of design, art and the latest technologies. He is also the UK CMI Approved Certified Sustainability (CSR) Practitioner. 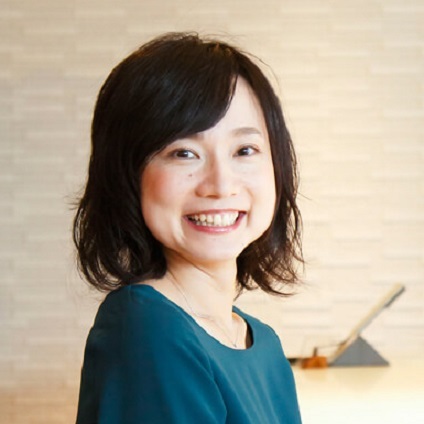 Genki Kanaya is the founder and CEO of akippa Inc., operating the parking lot reservation app which is launched in 2014 and has more than 1.1 million users and 26,000 parking spaces now. Various famous media in Japan have drawn attention to akippa such as ”Gaia no Yoake”. akippa does business with and receives investments around 2,4 billion yen from Toyota Motor Corporation (Mirai Creation Fund), Japan Post Capital Co.,Ltd., JR East Startup CO.,Ltd., Sumitomo corporation and so on. He was selected as “The Most Influential People for Japan 2017” by NIKKEI BP with Shohei Ohtani(Los Angels Angels) and Masayoshi Son (SoftBank Group Corp). 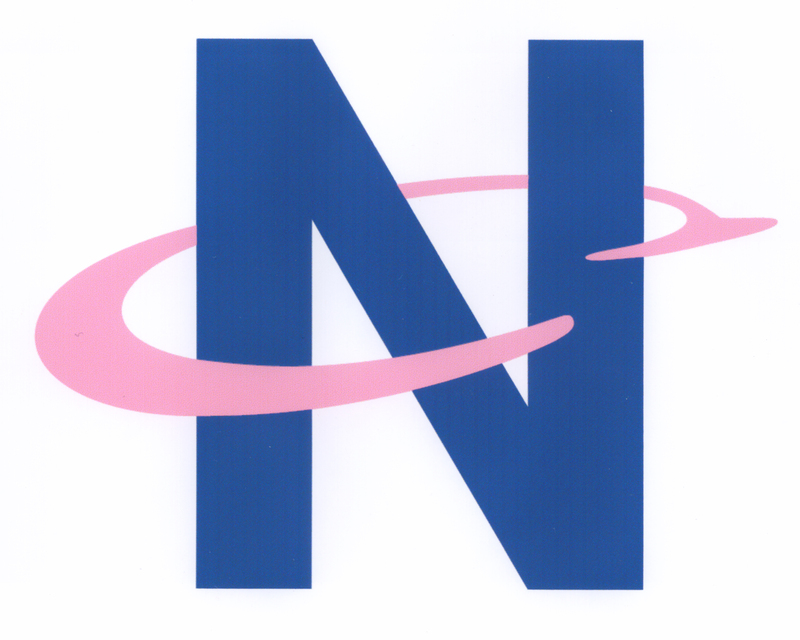 Joined Nestlé Japan in 2001. She served as the manager of Consumer Services, Media Relations and External Relations. Assuming the current role since August 2017. 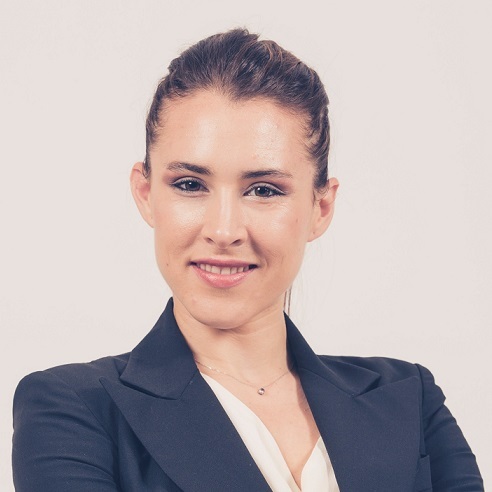 She is responsible for Corporate Communication and Public Relations, working on building relationships with stakeholders internally and externally including employees, media, government, experts, NPOs, local communities. 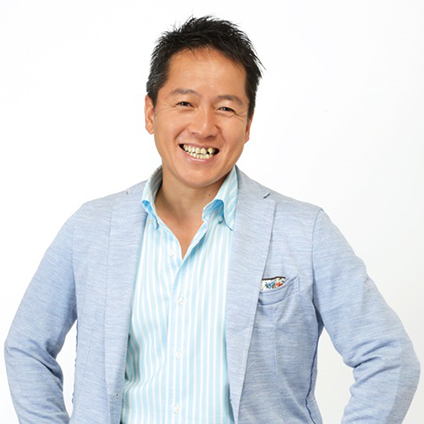 Hideto DeDe Kawakita is the CEO of IIHOE, and Publisher of “Socio Management Review”. 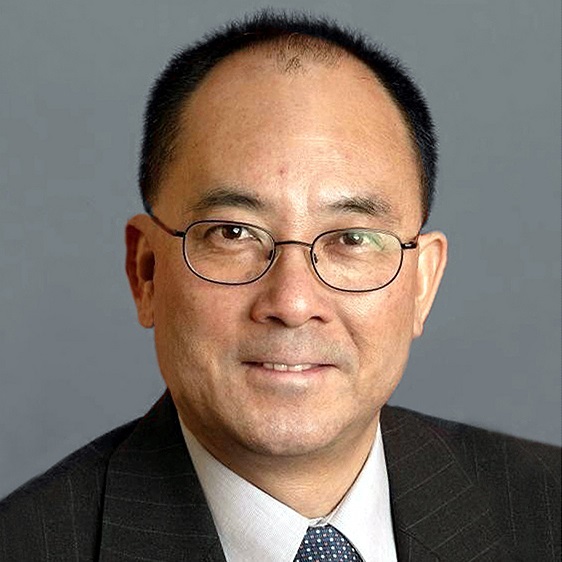 He founded IIHOE in 1994, and has been exploring management support for nonprofits, social entrepreneurs, community organizations, local governments and major corporations. He has been also a pioneer in CSR consultation, wrote third party comments to more than 30 major corporations since 2001. He graduated Kyoto University, Faculty of Economics, he joined Recruit Co. Ltd. in 1987 until 1991. 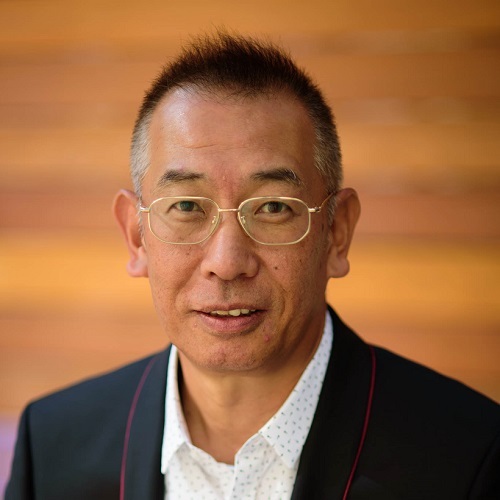 Transferred to Daiwa Institute of Research in 1994 and have worked as securities analyst, consultant of environmental management, now engaging in research and study of CSR and SRI environmental and reporting sustainability reporting. 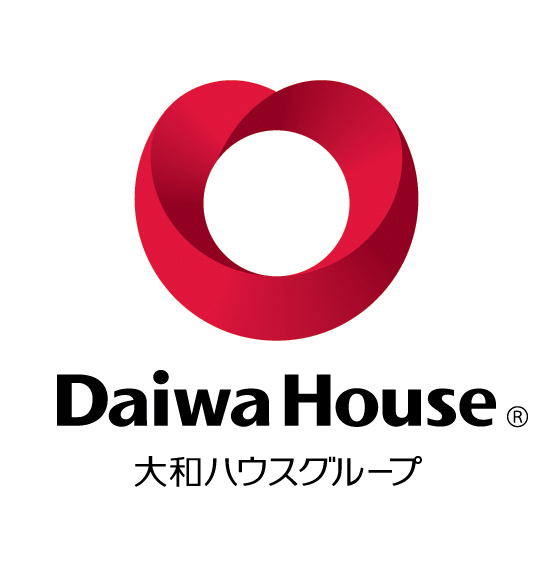 From April 2010 to June 2011 worked as a head of CSR group at headquarter office of Daiwa Securities Group. Received bachelors degree in public finance from Hitotsubashi University in Japan in 1983. Received Masters degree in applied economics from Hitotsubashi University Graduate School in 1986. 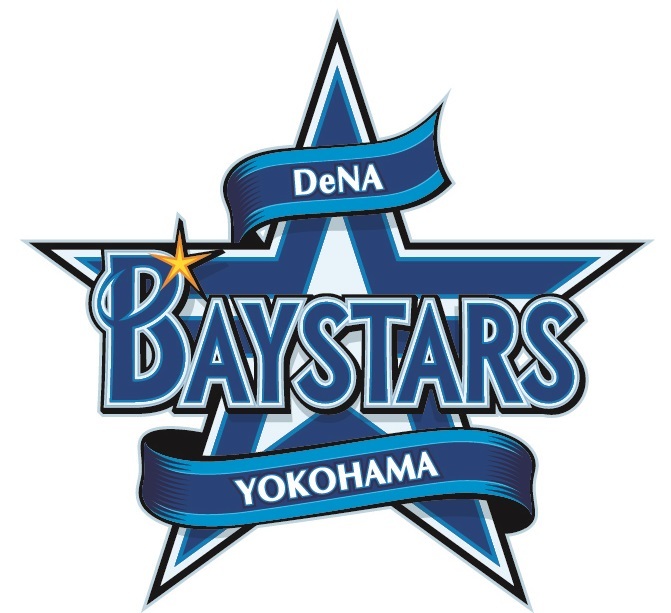 Joined in YOKOHAMA DeNA BAYSTARS Baseball Club in 2014 via a PR company. 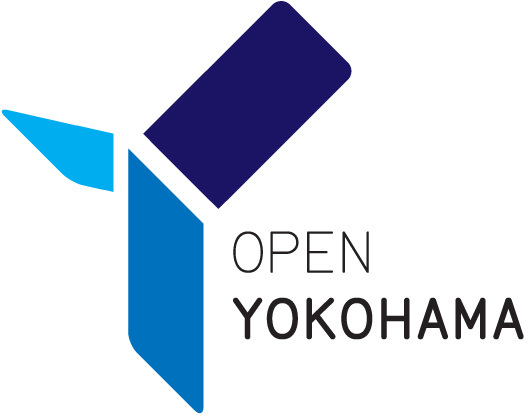 Taking charge of advertising about the various event and community building business YOKOHAMA DeNA BAYSTARS prepares as business public relations mainly. Promoted some events beyond the limit of the public relations such as dealing with the plan which cooperates with administration and offers and succeeded to provide player’s dormitory curry to elementary schools in Yokohama city as their school lunch. Raised in Osaka and California, Maiya is a perfect mix of takoyaki and avocado toast. 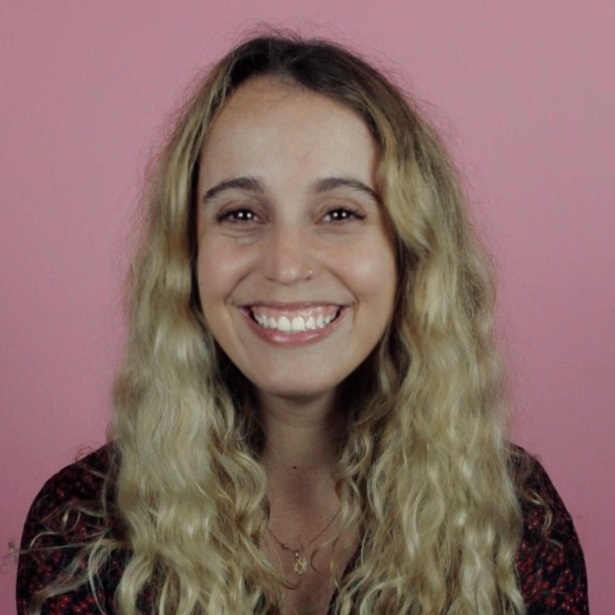 After graduating Emerson College with a degree in Marketing Communications, she joins Dentsu Inc. as a bilingual copywriter. From her recent experience in PR, Maiya is now a perfect mix of creative and PR. 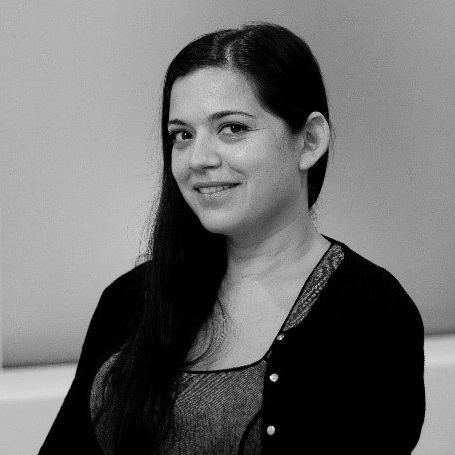 She works with both domestic and global clients, providing creative solutions with a PR perspective. I graduated from the Department of English Studies, Faculty of Foreign Languages at Sophia University in 1982, and started work at CASIO that same year. In my first 27 years with the company, I was involved in overseas sales of cash registers and other system products; I also experienced overseas assignment in Australia and in the U.S.A. Since 2009, I have worked upon compliance-related issues such as security trade control, before taking up my current position in 2011. My aim has been to ensure that respect for human rights becomes permanently established as a core element in CASIO’s corporate culture, while making use of the specially-developed “Human Rights Check Tool” to build an effective framework for human rights due diligence, and focusing on the formulation of the “Casio Group Basic Policy on Respect for Human Rights.” Over the last few years, I have been working on the cultivation of CSR core talent, with the appointment of over 100 “CSR Leaders” in every division, and using a bottom-up approach to strengthen CSR literacy within the CASIO Group. Christian Heller is leading BASF’s impact measurement and valuation program Value-to-Society. It is about embedding natural, social and human capital in BASF Group. Located in the Corporate Strategy department he has developed the concept with internal and external experts, which is now being integrated at various levels throughout the company. Christian is representing BASF in respective initiatives such as the Impact Valuation Roundtable, the WBCSD’s Redefining Value program or the Embankment Project of the Coalition for Inclusive Capitalism. 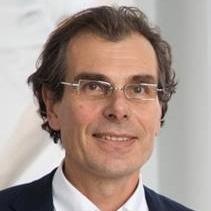 Christian is member of the International Advisory Group of the Shift’s Valuing Respect Project and co-chairing the Integrated Thinking and Strategy Group of the International Integrated Reporting Council. Before, Christian had position in BASF’s Human Resources, EHS, and communications department working on topics such as human rights or company strategy. Christian holds a degree in philosophy. 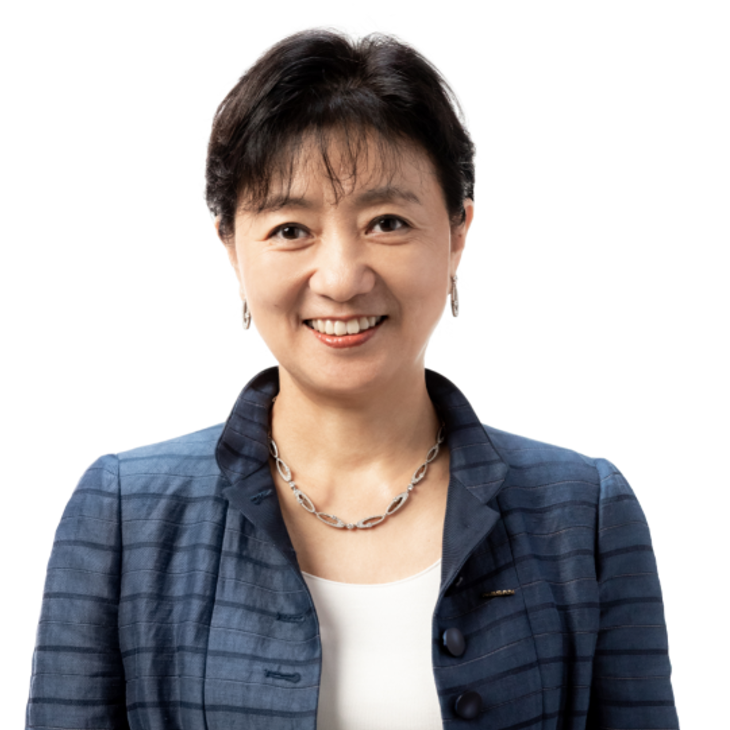 Kaori Gokyu joined Minolta Co., Ltd. in 1987, worked in the Human Resources Department, and was posted to the United States, and she was involved in corporate communications. With the management integration of Konica and Minolta in 2003, Gokyu moved to Investor Relations. Then, after working as a team leader for internal branding, she assumed her current position in August 2014. Gokyu is responsible for ESG evaluation, promotion of CSR procurement, internal and external communication including CSR reports, and developing internal awareness of the SDGs. Executive Board Member, Global Compact Network Japan, Founder, Japan Sustainable Investment Forum, Executive Board Member, Green Finance Organisation, Director, Earth Watch Japan, Director, Environmental Partnership Council, Director, Association for Resilience Japan, Co-Chair, Network for Sustainability Communication, Chair, Environmental Auditing Research Group. Former Steering Committee Member (1998-2002) & Board Member (2002-2006) of GRI (global Reporting Initiative). EPE Sub-committee member of the national EMS standard deliberative council, Chair of the WG for ESG communication platform establishing project by the Ministry of the Environment (MoE), HoD of the tripartite Roundtable on Environmental Business (TREB) attached to the Tripartite Environment Ministers Meeting among China, Japan, Korea (TEMM), Judge of the Environmental Communication Award by the MoE, Member of the study panel for establishing the instruction manual & guidance for the Environmental Reporting Guideline 2018 Version by the MoE, Member of the study panel for promoting the private sectors adaptation activities towards the Climate Change by the MoE. Graduated from the University of Tokyo,Faculty of Law. 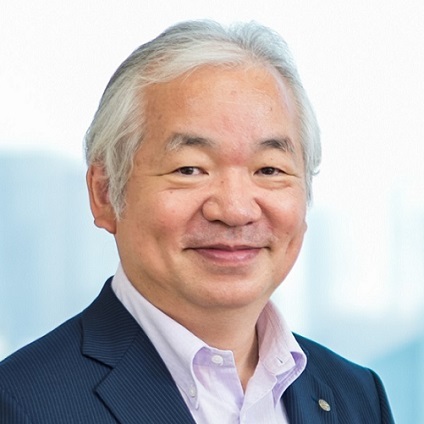 Hiroshi Komiyama, a prominent academic, scientist and engineer and leading authority in global sustainability, became Chairman of the Institute of Mitsubishi Research Institute. In April 2009, after completing four-year presidency (the 28th President) at the University of Tokyo. In addition to his position, he is also an advisor to the Japanese Government on subjects ranging from education to aging. In 2010 he founded the ‘Platinum Society Network’ to achieve a sustainable society that solves environmental, aging, educational and economic issues. His major English books are “Vision 2050” (2008), “Beyond the Limits to Growth” (2013), and “New Vision 2050” (2017). He received Ordine Della Stella Della Solidarieta’Italiana in 2007, Ministry of International Affairs and Communications for INFO-Communications Promotion Month in 2014, the Prime Minister’s Commendations for Contributors to Promote the country as a “Maritime Nation” in 2016, MBR Knowledge Award in 2017 and others. 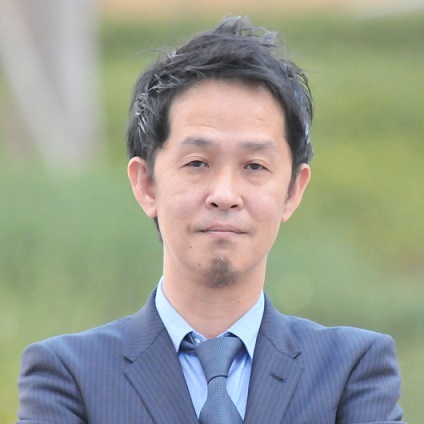 Yoshinari Koyama is a professor of business administration at Kanto Gakuin University. He also serves as vice-president. 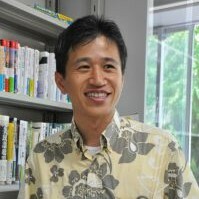 He holds a Ph.D. from Meiji University and has taught at Yamanashi Gakuin University, Yokohama National University, Meiji University. His areas of interest and research include CSR, business ethics, ethics training and education. 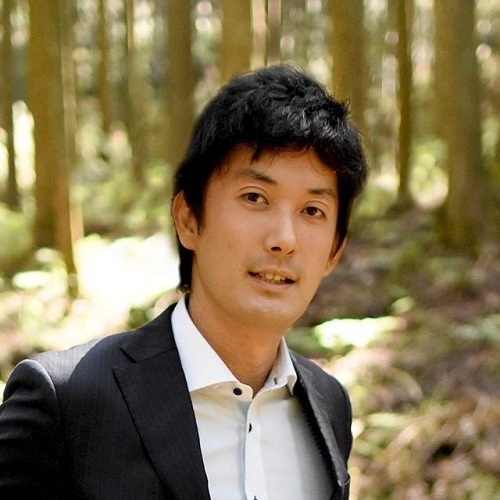 Akira Sakano is the Chair of the Board of the Directors of the Zero Waste Academy Japan. She delivers services of planning and implementation of Zero Waste policies towards local governments and businesses, organize the Zero Waste Accreditation system for businesses to brand its efforts towards the Zero Waste goal, delivers more than 100 sessions/lectures annually to advocate about the zero waste practices. She has the bachelor in the Policy Studies, experienced in various management roles in both non-profit and corporate, in Japan, Mongolia, and the Philippines. 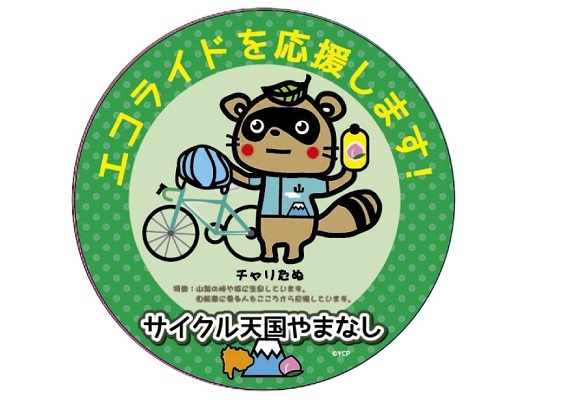 Moved to Kamikatsu, the first municipality declared for the zero waste ambition in Japan, in 2014 and joined the organization Zero Waste Academy. She was selected as the Global Shapers of the World Economic Forum in 2012, headed the Global Shapers Community Osaka Hub in 2015-2016. Kanako joined Rakuten after working in the newspaper industry. 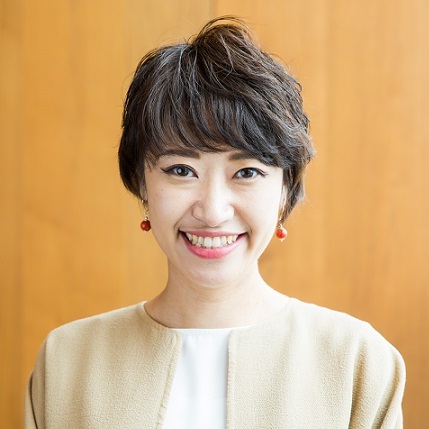 She is currently in charge of developing the strategy of Rakuten Group’s social innovation initiatives as well as organizing and implementing them since 2015. 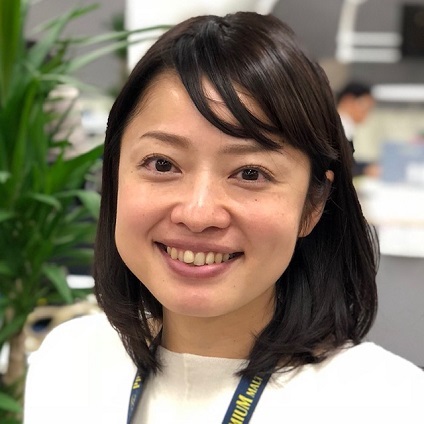 Kanako oversaw the launch of the “Rakuten IT School NEXT” program at ten high schools across Japan in 2018. Through this project, high school students, Rakuten employees and local residents tackle local issues as one team. The project aims to contribute to the SDGs by leveraging Rakuten’s technologies in collaboration with various stakeholders, notably the future generation, residents of local communities and governments. 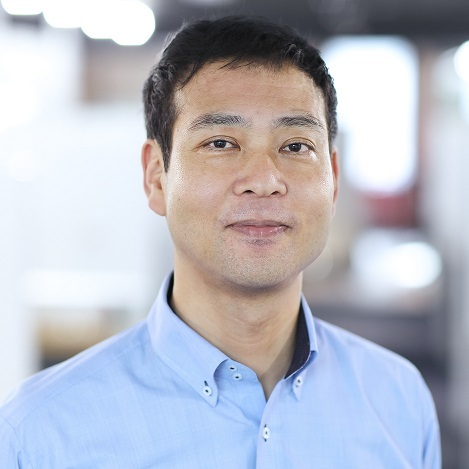 CEO of miup Inc., a healthcare AI start up from University of Tokyo. Studied poverty in developing countries at University, then became interested to work from a business angle rather than a study. Started her business career as a Marketer/Product manager in a multi-national consumer products company, then started miup in Bangladesh. miup’s services include remote AI based healthcare in rural areas, health check-up services for the middle/upper class in cities, and clinical examination center operation for medical institutions. Aspiring for a sustainable social impact. Master of agriculture, University of Tokyo. 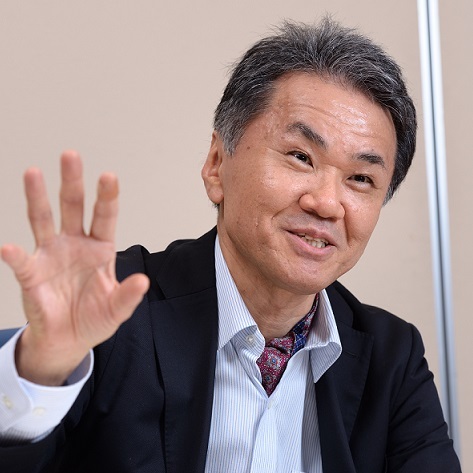 “Era of Collaboration”　2015　Wis-works co Ltd.
“Competitive strategy of the CSR new age”　2013　Nippon Hyoron sha co. Ltd.
After joining Yahoo Japan in 2000, Mr Satake worked on the brand marketing, CSR and local economic vitalisation. 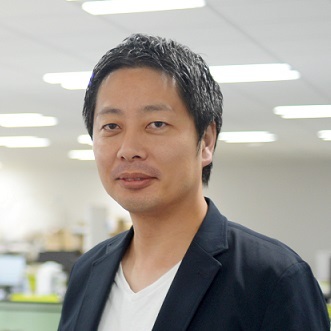 Since October 2016, he has joined Biei town office on loan from Yahoo Japan. He is also currently serving as a Chief Marketing Officer in “Okanomachi Biei DMO”, whose mission is to vitalize the community of Biei. On his career in Biei, he introduced the idea of CMO (Customer Relationship Management). This data-driven approach enabled the visualisation of the tourists, product development and promotion on the spot. He also had involved the local community such as the local farmers and local business in his product development, promoting the potential of sightseeing in the town of Biei. 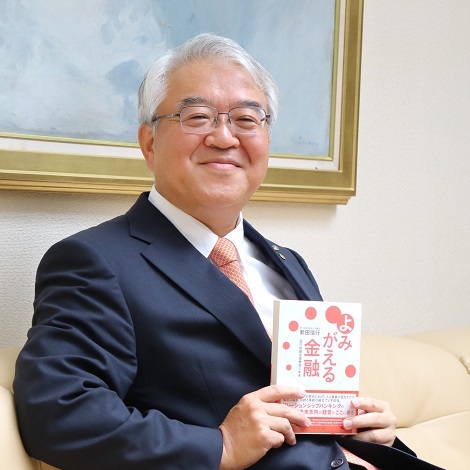 He also served as an executive director of the activity “ Furusato Meihin of the year”, which honours exceptional hidden products and foods in rural areas. This movement has gone along with the Cabinet Office of Japan government and 22 companies in Tokyo. 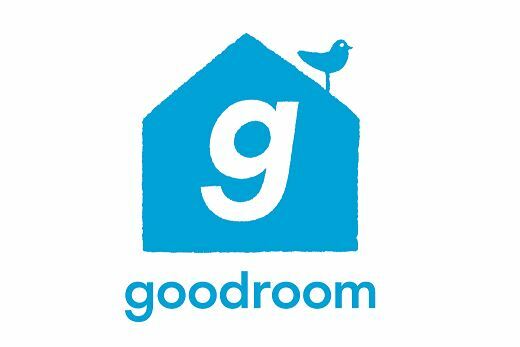 Joined goodroom Co., Ltd. in 2016. She established the media division and advertising business, relaunching owned web magazine “goodroom journal” as an editor. 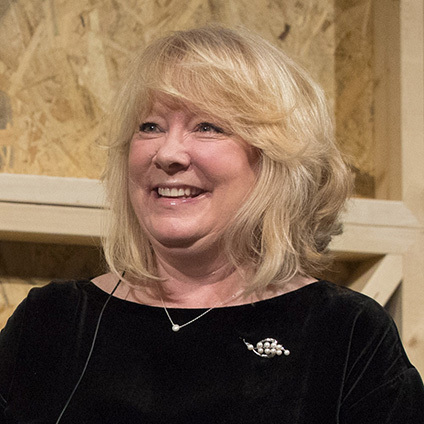 She became the director in 2017. She is responsible for business in general including service and contents development, monetizing and marketing. She started her career in Recruit Co., Ltd. in 2010, working in the promotion sales division to leading companies. She joined GLIDER associates, INC. in 2015, working in the sales division to the leading advertising agencies. Got interested in environmental issues when staying with Raramuri, a native tribe in Mexico, during the anthropological research project at Fort Lewis College in the US. Joined Greenpeace in Japan in 2001 and campaigned to promote businesses and governments to implement environmental solutions on issues like overfishing, toxic waste, illegal timber imports and climate change. Became the Executive Director of Greenpeace Japan in 2011. Realizing the importance of business to solve environmental problems, joined Patagonia Japan in 2016. Patagonia is in business to save our home planet. Jennifer is an International and Human Rights lawyer currently working at Philip Morris International. More specifically, she is helping to advance its transformation goal of becoming a smoke-free company, with an emphasis on external stakeholder engagement projects. She is a qualified expert in the design and execution of sustainability and stakeholder engagement strategies. Previously, Jennifer worked for international organizations including UNCITRAL, UNODC, UNCTAD/ITC, and last worked the government of Israel as its Human Rights and Humanitarian Affairs representative at the United Nations and other international organizations in Geneva. Jennifer holds a Juris Doctor degree from Universidad de Chile, and an LL.M from University of California, Berkeley, as well as specialized diplomas in women’s rights, shared value, sustainability, and political affairs from IHEID, Harvard Business School, the Harvard School of Public Health, and Stanford University. Joined Kao in 1988 as engineer. Gained further experience within the company at the Production Technology Institute, Mechanical Processing Technology Research Laboratories, and then moving on to Environment and Safety Department in 2006 where he was appointed manager. 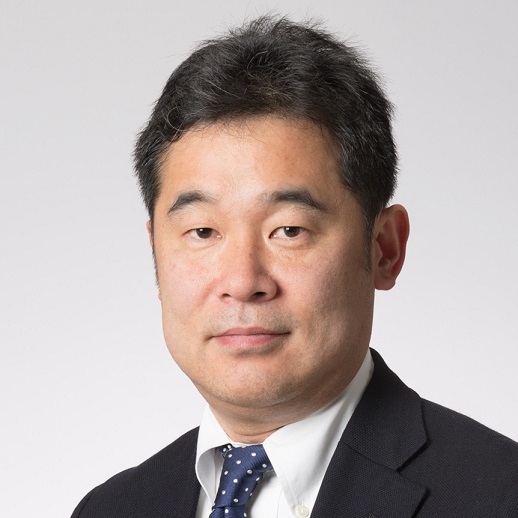 Shibata holds his current position at the ESG Division specializing in environmental matters backed with deep knowledge and experience in production process design, energy and GHG management, and plastic issues. TableCross is a restaurant reservation application which enables social contribution. By making a reservation through this application, you can donate school lunches to the same number of children in developing countries as the number of people in your party. In addition, since last year, in 2018, we merged with “byfood.com” and are operating inbound business. Now, we provide eating experiences and events for foreign visitors in Japan and are expanding our business from a restaurant reservation platform to a business specializing in food experiences. Ever since I started my business during university, I have raised about 100 million yen in funds, and have focused on system development. Today, half of our company’s staff are foreign employees and female employees with children, and we are actively making diversity enterprises. TableCross is the winner of the Campus Venture Grand Prix’s Risona Bank Award, and has represented Japan in the EO Global Student Entrepreneur Awards. TableCross was also a part of the EY Entrepreneurial Winning Women program in 2018. Additionally, we will be giving lectures at the Ministry of Economy, Trade, and Industry, the Cabinet Office, other companies, economic organizations, universities, NPOs, and elsewhere. 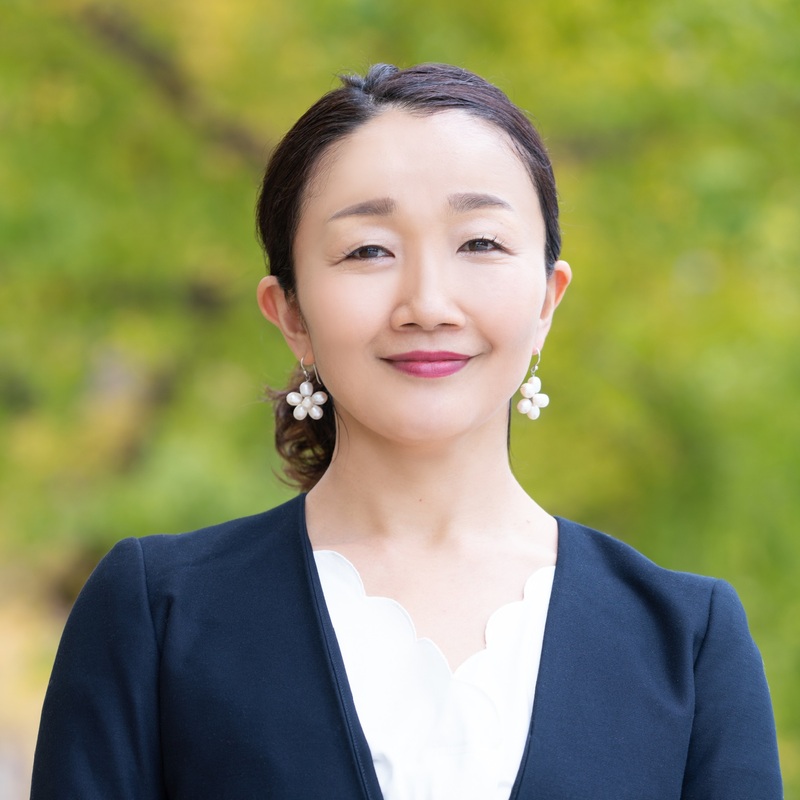 After engaged in research on child labour in India at Meijigakuin University, Tomoko met Yuka Iwatsuki and co-founded Action against Child Exploitation, an Japan-based NGO tackling child labour/rights issues in 1997. After having postgraduate education in UK and worked as a researcher/consultant in Japanese ODA projects, she joined ACE in 2005. She initiated the child labour project in cocoa in Ghana in 2009, and engaged with companies in fundraising and manufacturing “child labour free” chocolate. She provides seminars and consulting services on labour and human rights in supply-chain to business sector, having completed SA8000 basic social auditor training course. She received Diploma on International Studies from School of Oriental and African Studies, London University and MA in Social Anthropology of Development and Social Transformation from University of Sussex. Takeshi established Sustainavision Ltd. in 2010 in the UK to bridge the gap between Japan and Europe in the sustainability field. 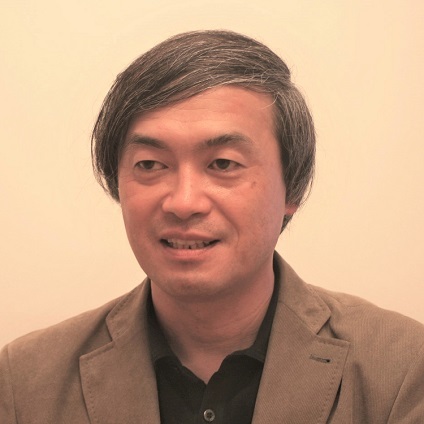 Sustainavision Ltd is based in London which provides CR/Sustainability training and related research to Japanese companies and has regularly held the UK CMI Approved Certified Sustainability (CSR) Practitioner training since 2012 in Japan.Takeshi also established the Global Alliance for Sustainable Supply Chain (ASSC) in Japan in 2017, which has been supporting Japanese companies with regard to solving the problems of human rights, labor rights and environments in their supply chains. 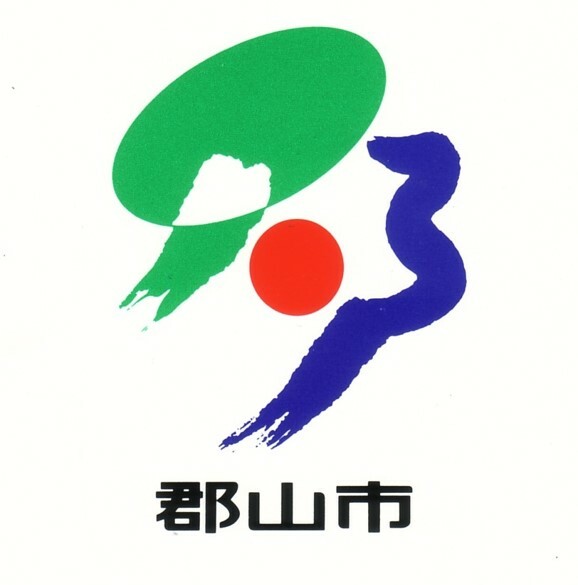 ASSC seeks to launch national initiatives, such as ”Foreign Labour Round table” which aims to secure the good working conditions for foreign workers in Japan, collaborating with international initiatives.In 1991 he joined Kawasaki heavy industries, and was responsible for general affairs, recruitment, training for workers, salary, trade union negotiations, occupational health and safety at a factory. He planned and launched “health and safety internal audit” for factories in 1997. He used to work for an Environmental business company (Renewable energy/Refuse Paper & Plastic Fuel) as one of the starting members. He has an MSc in Environmental Science from the University of East Anglia and an MBA from the Lancaster University in the UK. 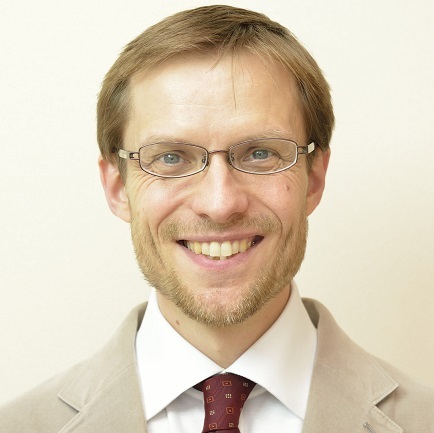 He is also the Assistant Professor in CR/Sustainability at Business Breakthrough University in Japan. He has provided many lectures and articles in the sustainability field. Joined Suntory Limited after graduating from the university. After several years of experience as sales planning representative in sales division, transferred to HR division responsible for labor-management relations, global HR and recruitment etc. Currently, as a general manager of the Diversity Promotion Division, has been taking new initiatives to encourage inclusive mindset to respect various perspectives and values regardless of gender, disability, borders, age etc. aiming to become an organization that “Always try something new with fun leveraging differences of individuals”, in order to realize Diversity & Inclusion in the Suntory group. Working mother of a child. “Dr. 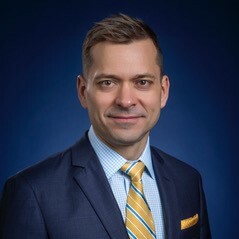 Joe Árvai is the Max McGraw Professor of Sustainable Business in the School for Environment & Sustainability, and the Stephen M. Ross School of Business, at the University of Michigan. He is also the Director of the Erb Institute, which helps businesses advance internal and global sustainability goals. Joe is an internationally recognized expert in risk management and decision-making. His work has two main areas of emphasis: First, he focuses on advancing our understanding of how people process information and make decisions, with a specific emphasis on how they make tradeoffs. Second, he develops and tests tools and approaches that can help businesses and consumers make smarter triple-bottom-line decisions. 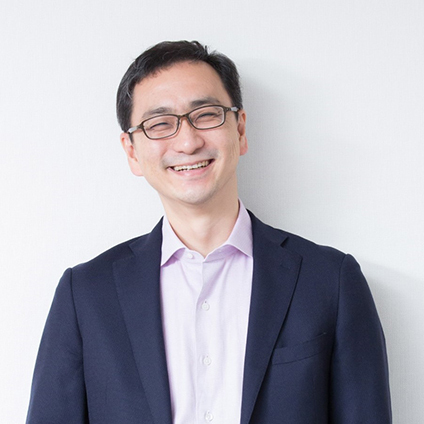 Sakae joined Social Investment Partners as an Advisor in April 2018, and became a board member in September, 2018. Currently, he is also active as a management consultant. Prior to joining SIP, he was the Managing Director of KKR Capstone from 2013 to 2018, supporting the turn-around and growth of companies in which KKR invested. He served clients as a partner of McKinsey & Company during 2004 and 2013. Prior to McKinsey, he worked at ZS Associates, Global Freight Exchange, and Gateway. He holds a PhD in chemistry from the California Institute of Technology, and a BA from Reed College. Born in Yamaguchi Prefecture in 1979. 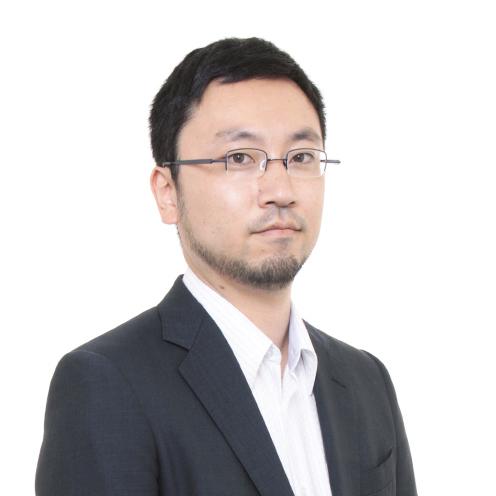 After graduating from graduate school in 2004, he joined Misumi Co., Ltd. 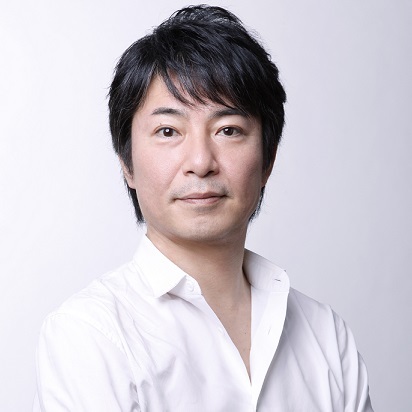 In 2007, he founded Borderless Japan Co., Ltd., together with Kazunari Taguchi (President and CEO of Borderless Japan Co., Ltd.) as a company dedicated to social businesses that resolve social issues such as poverty, discrimination and prejudice, and environmental issues. 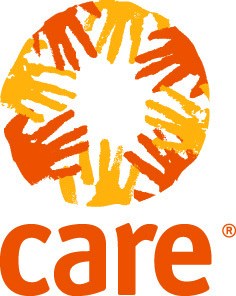 Since then, the company has created a number of social entrepreneurs, both in domestic and overseas, who have a strong desire to resolve social issues, and has continued to create businesses as a “platform for social entrepreneurs” that shares mutual funds, human resources, and business know-how and maximizes the social impact. As of August 2018, it operates 11 bases in 9 countries. Suzuki has been involved in the CSR Promotion Division to promote the establishment of CSR / CSV management, and also to establish corporate foundations and NPO corporations since 2012. Currently, Szuki also holds the posts, Community development strategy office, Smart community promotion office, etc. Work on solving social issues from both sides of business and non-business, in cooperation with various sectors. ・Company planning, organization / institution planning, environmental strategy planning etc. ・Enter Takenaka Corporation in April,1990. ・Bachelor of Commerce March,1990 at Waseda University. Worked for OMRON Corporation before assuming the present post. Engages in studies on 3D image measurement principles and algorithms related to signal processing and machine learning. Since 2018 he assumed office as President and CEO of OMRON SINIC X Corporation. 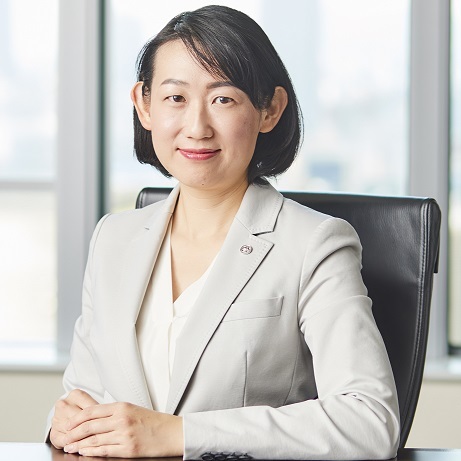 Currently she serves as Corporate Executive Officer of Recruit Holdings Co., Ltd., in charge of Corporate Planning, Corporate Communication and Human Resources, and also holds her post in Indeed, Inc., as Chief of Staff in which she was both appointed youngest in 2018. Sonya Bhonsle is the Global Head of CDP’s Supply Chain program which enables major multinationals and governments to achieve sustainable supply chains, influencing over US$3.3 trillion in annual procurement spend. 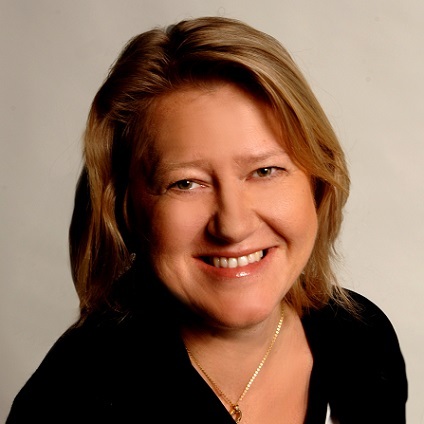 Sonya has over 14 years of Sustainable Supply Chain experience, both in the public and private sector. Over the last few years she has specialised experience on Scope 3, setting and meeting scope 3 targets (including science-based targets), as well as setting and meeting water security and deforestation related supply chain goals. 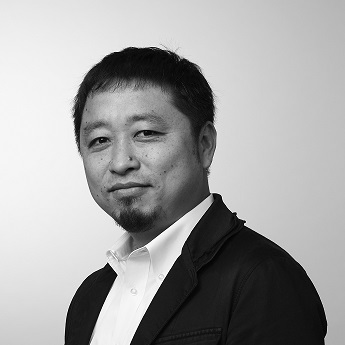 Hiromi Sogo first joined Fujingaho in 1986 and currently serves as the Content Director & Executive Editor-in-Chief of 25ans & Richesse. She began her career as an editorial staff at 25ans and later was promoted Editor-in-chief of MC Sister and 25ans already in her early thirties. 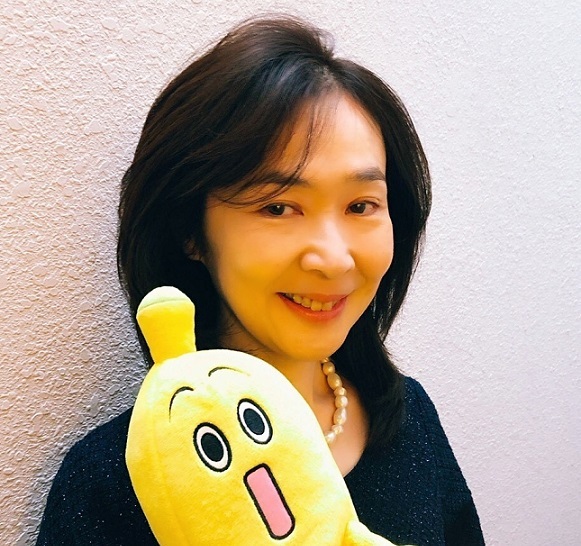 In 1999, she left Fujingaho to become Editor-in-chief of Vogue Nippon when Conde Nast first launched their Vogue issue in Japan and then served as Editor-in chief of MISS and Kateigaho published by Sekaibunka-sha, etc. In 2006, she returned to 25ans and has concurrently served as Editor-in-chief of Richesse since 2012. Since November 2016, she has been the Content Director & Executive Editor-in-Chief of 25ans & Richesse, overseeing both the editorial and business aspects of Luxury Media Group and pursuing the group’s shift toward a digital focus and optimal use of resources. Ms. Sogo is elevating the synergy of the group by working to cultivate new businesses and pursuing joint efforts across multiple media. Kae Takase received her Ph. D in environmental studies from graduate school of frontier science, University of Tokyo. 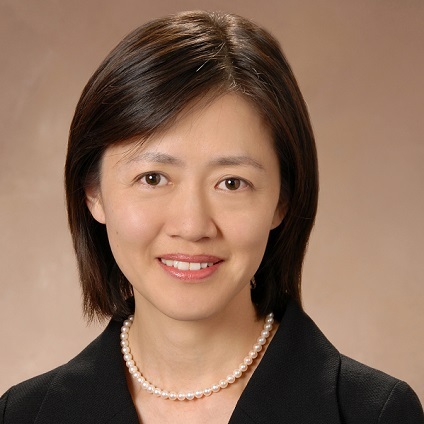 She was an economist at Institute of Energy Economics, Japan, and her specialty was econometric modeling of energy supply and demand, and renewable policy. She has worked at various institutes including Japan Natural Energy Company, Limited (Green Power Certificate company), Research Institute of Innovative Technology for the Earth. 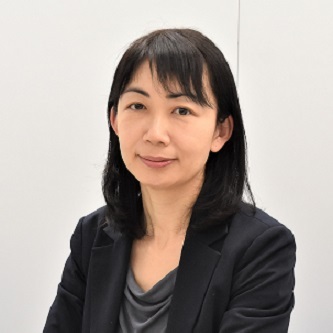 She is now vice president of the independent research institute, Governance Design Laboratory, and a researcher at Center for Low Carbon Society Strategy, Japan Science and Technology Agency, and University of Tokyo, and also a senior manager at the London based NGO CDP. She has been successful in engaging Japanese companies to join Science-based Target (SBT) initiative, and in engaging government to consider better corporate renewable soucing environment, as a technical partner of RE100. ・After finishing bachelor degree in Faculty of Law at Keio University in 1989, joined TV Tokyo. ・Gained experience in many sections in the company: Publicity Department, News Division. ・While in News Division, had competed in the scoop race with other media and reported financial scandals investigated by Tokyo District Public Prosecutors Office and terrorism by Aum Shinrikyo. ・After working as a news reporter of Imperial Household Agency, bore the first child , left News Division to build career in other sections: Accounting division, Secretary to the president and Office relocation project. ・Currently working on the CSR(=corporate social responsibility) project; career education on next generation. ・Mother of a son in college student and a daughter in high school.・Amateur classical ballet dancer who performs on the stage annually. 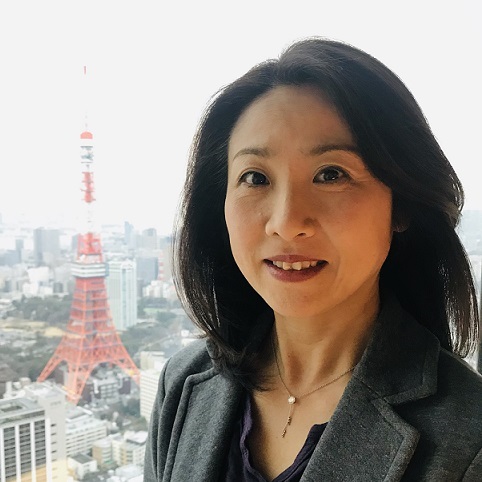 As Head of Japan ESG Research for MSCI’s ESG Research, Minako Takaba oversees ESG Ratings over 750 Japanese large, mid and small cap equities. 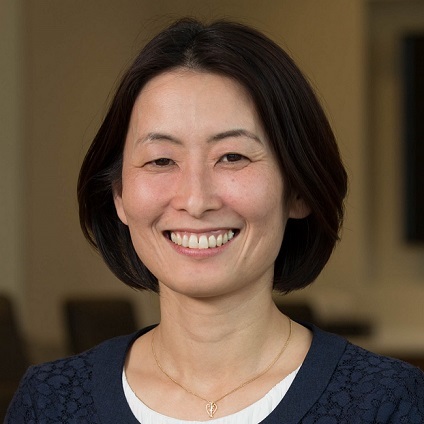 In her role, Minako plays a consulting role for ESG Research subscribers by facing local asset owners and asset managers closely. 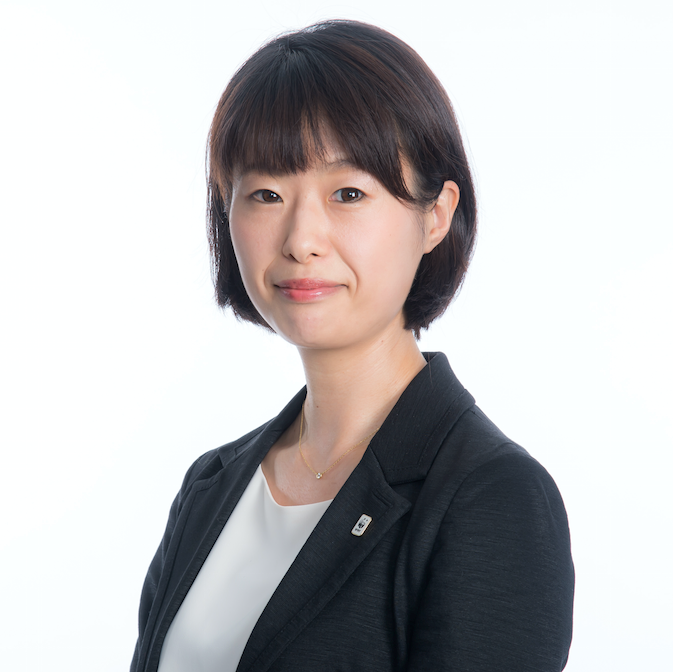 Minako also oversees research quality on ESG research for MSCI Japan Select Leaders Index and Gender Diversity Research for MSCI Japan Women Empowering Index for GPIF Investment mandate. 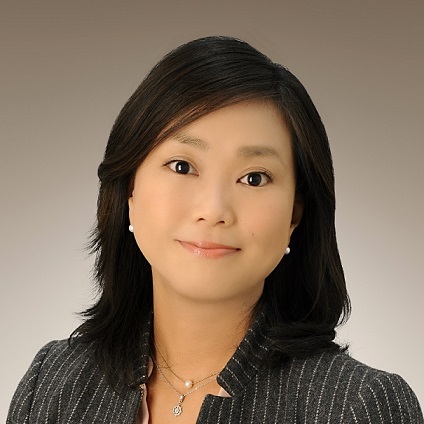 Minako joined MSCI in 2010 following the acquisition of RiskMetrics. And she joined RiskMetrics Group/ISS in 2007 as an ESG analyst. 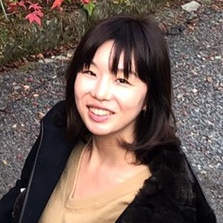 Prior to joining RiskMetrics Group, Minako worked as a sustainability consultant at KPMG Sustainability Service and CSR person in charge at Vodafone Japan/Softbank Mobile. 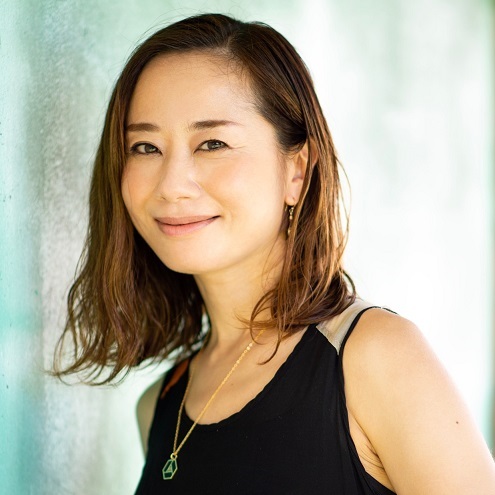 Minako received her BA in Political Science from Aoyama Gakuin University, and MBA in Environmental Accounting from Yokohama National University. 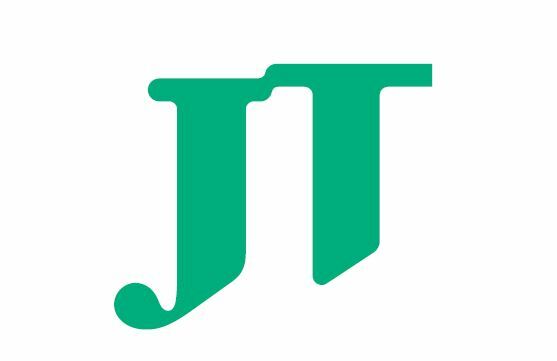 Joined JAPAN TOBACCO INC. in 1995. Starting her career in JT at Corporate Citizenship Division, she had been working for Processed Food Division, Public Relations Division. She also worked at Corporate Communications in JT International. 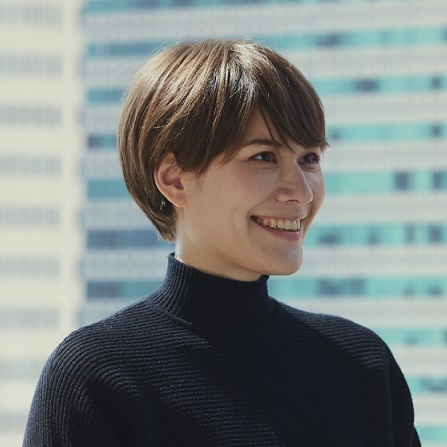 Since 2017, she is responsible for planning JT Group sustainability strategy, human rights initiatives and internal and external communications including sustainability report. Born in 1967 in Fukuoka, Japan. Learned at Tokyo University before joining the Japanese Foreign Service in 1992. Worked on global issues including UN peacekeeping, human rights and humanitarian frameworks, African development, Japan’s financial contributions to international organizations. As First Secretary at the Permanent Mission of Japan to the UN , served as personal assistant for Mdm. Sadako Ogata when she led the Commission on Human Security. In 2005 became Chief, Human Security Unit, OCHA, the United Nations. 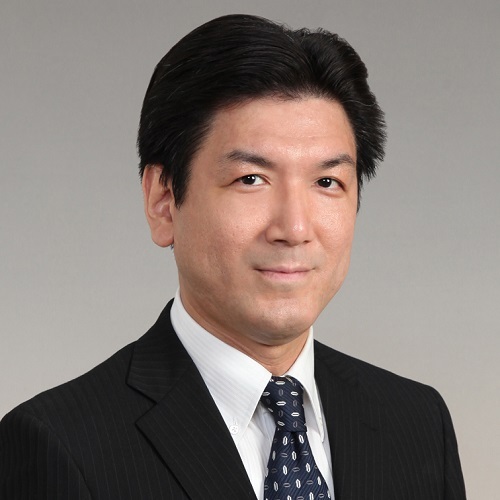 Moved on to the private sector in June 2014 as Director at Deloitte Tohmatsu Consulting (DTC), Japan, to support Japanese corporations to advance into emerging markets. In May 2016, established CSR and SDGs Initiatives of DTC. In September 2017, left Deloitte to establish SDG Partners Inc., to further pursue sustainability in the Japanese Business. 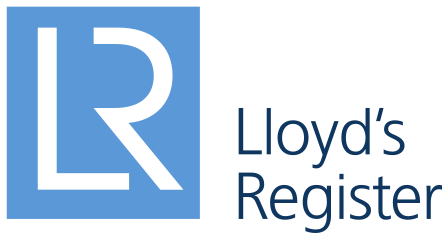 Senior Partner for Recruit Holdings since April 2018. 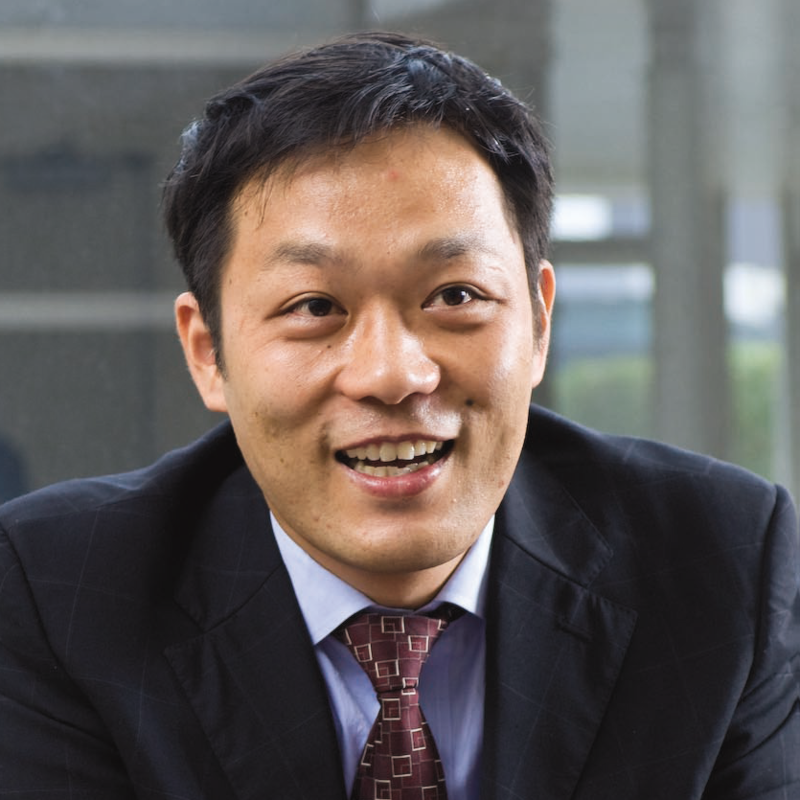 Katsura Tsuno has been with Johnson & Johnson since 2000 and currently serves as a Director for Asia Pacific, Global Community Impact. 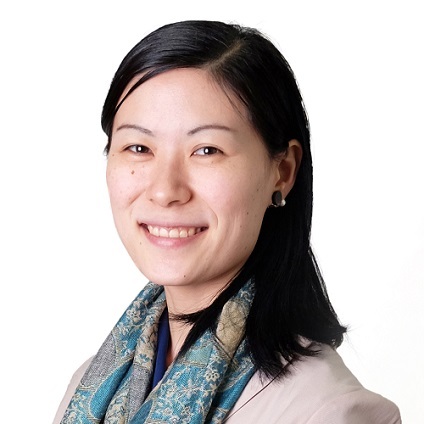 Ms. Tsuno is responsible for philanthropic grant making in 15 countries throughout Asia Pacific region, that is invested in over 40 philanthropic programs to benefit healthcare capacity building, mental health, and most prominently, saving the lives of mothers and babies. 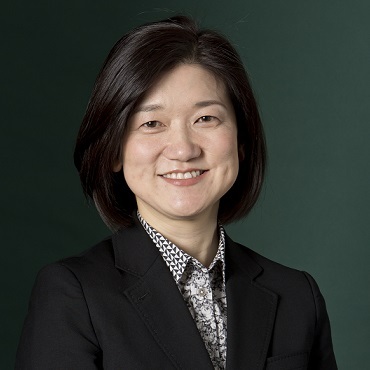 Working closely with business leaders and CSR team of local Johnson & Johnson Operating Companies in the region, Ms. Tsuno addresses broad healthcare needs that are identified from local standpoint. Ms. Tsuno joined Johnson & Johnson after obtaining her Master of Public Health from Columbia University in New York, USA. Apr 1981 Joined Nissan Motor Co., Ltd.
Apr 2006 General Manager, IT and ITS Engineering Dept., Technology and Engineering Development Div. Apr 2009 Corporate Vice President, Electronics Engineering Development Div., EV Technology Development Div. 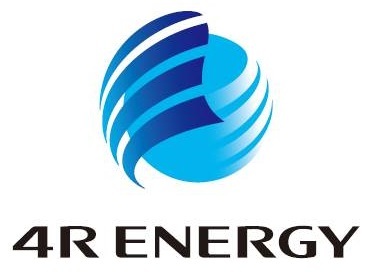 Apr 2013 Corporate Vice President, Electronics Engineering Development Div., EV Technology Development Div. Vehicle Component Engineering Development Div. 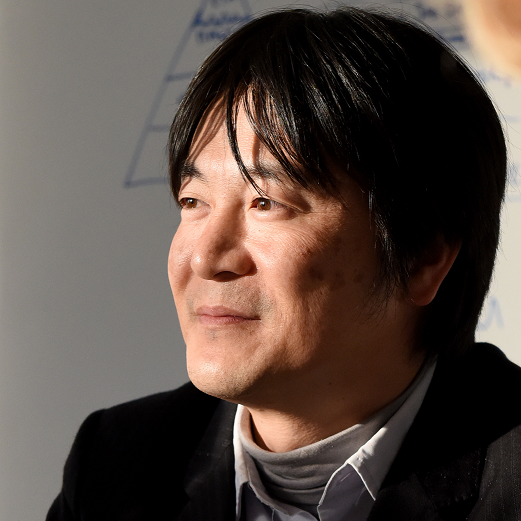 Joining Sony Corporation in April 1991, Takeshi Tsuruta began his career as a system LSI design engineer. 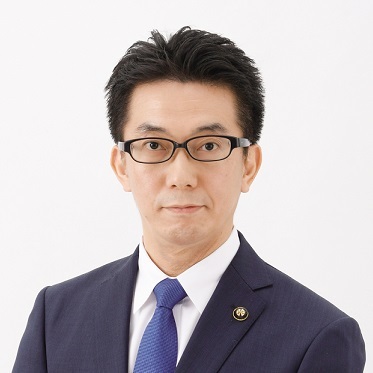 He sought to work for environmental affairs and joined Corporate Environmental Affairs Department in April 1999 where he established environmental policies and targets for the Sony Group and communicated Sony’s environmental activities. In February 2008, he transferred to Shanghai, China to broaden his career and worked on environmental governance for Sony sites in the China region. 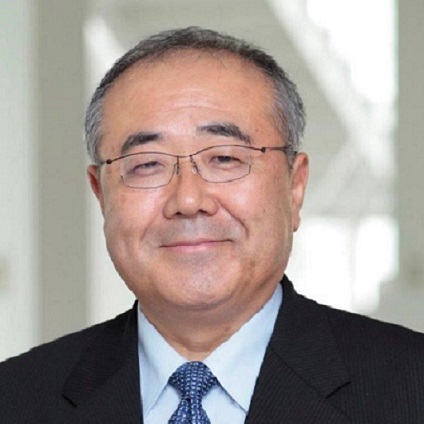 Since February 2013, he leads environmental governance for the Sony Group. 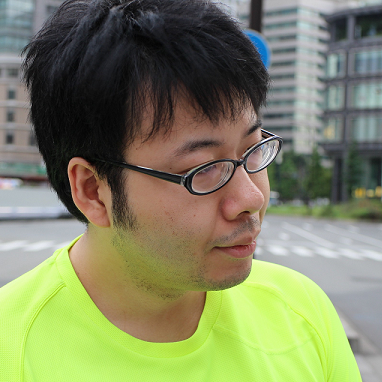 He enjoys running and actively participates in marathon and trail running events throughout Japan. At age 50, he currently runs a full marathon within three hours. He seeks to practice sustainable living in both his work and private lives. – as raw material manager and interface with external partners for actives. – later on appointed as Biological Actives raw material department head and created the international Raw material biological actives hub. In which we developed major L’Oréal actives ingredients still in the market today. – In 2012, I took over the international Raw material Color Hub, expending my expertise in inorganic chemistry. – I joined Nihon L’Oréal in 2014, as the head of advanced research Japan and Korea, covering all activities related to scientific collaboration with external partners, in the field of material sciences and life sciences. In 2015, on the top of the advanced research position, I was nominated coordinator of the L’Oréal sustainable program: Sharing Beauty with All in R&D Asia. Apr. 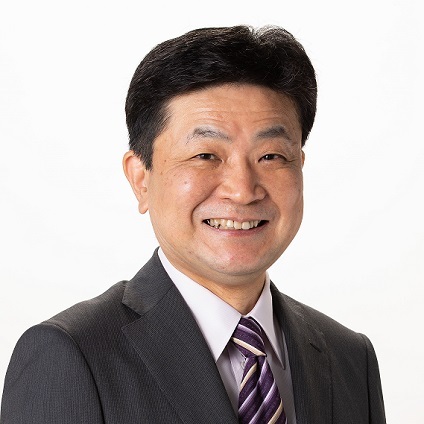 1989 Joined Sumitomo Forestry Co., Ltd.
Mr. Ray Nishimoto is a Representative Director and Senior Managing Executive Officer of Sumitomo Chemical Co, Ltd., responsible for the Health & Crop Sciences Sector. 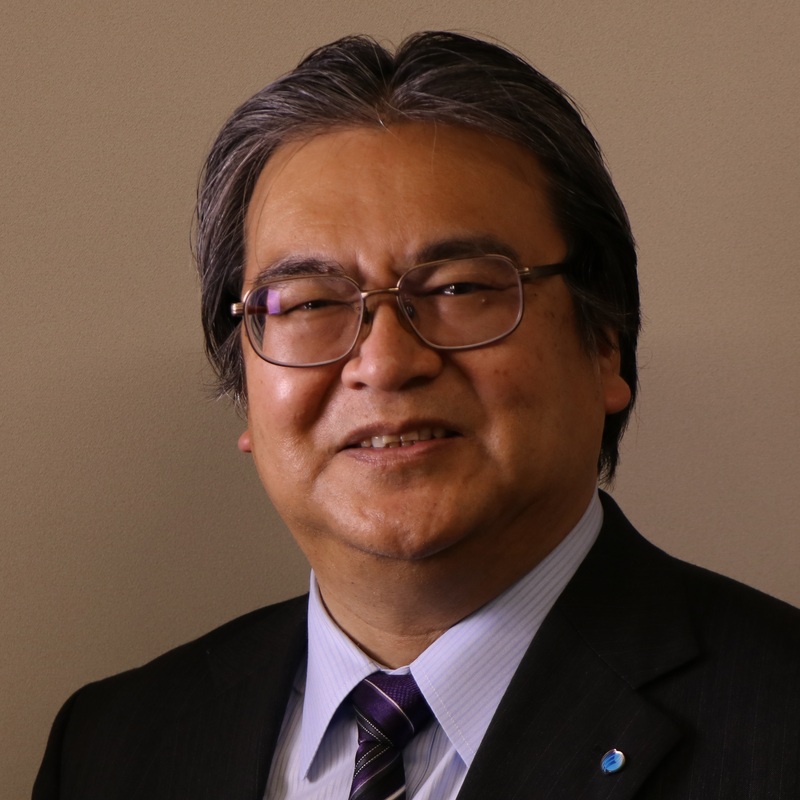 He joined Sumitomo Chemical in 1980 and has extensive managerial experience in the health & crop sciences business for over 20 years. He became an Executive officer in 2009, Managing Executive officer in 2011 and a Representative Director in 2013. 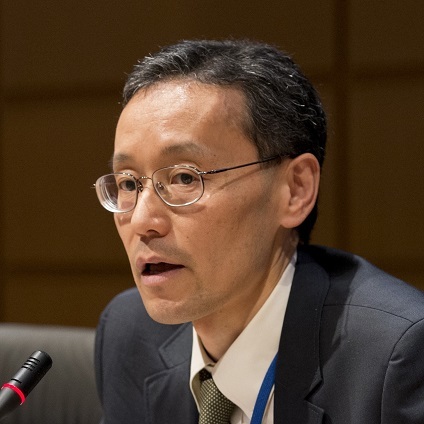 Mr. Nishimoto also holds various key positions in external organizations, including President of Japan Crop Protections Association (since 2017); the Board of CropLife International (CLI) (since January 2018) and its Strategic Council of Crop Protection (since 2010); Advisory Board of Friend of the Global Fund, Japan; Roll Back Malaria Partnership Board (since 2016), and Malaria No More Japan Board (since 2016). 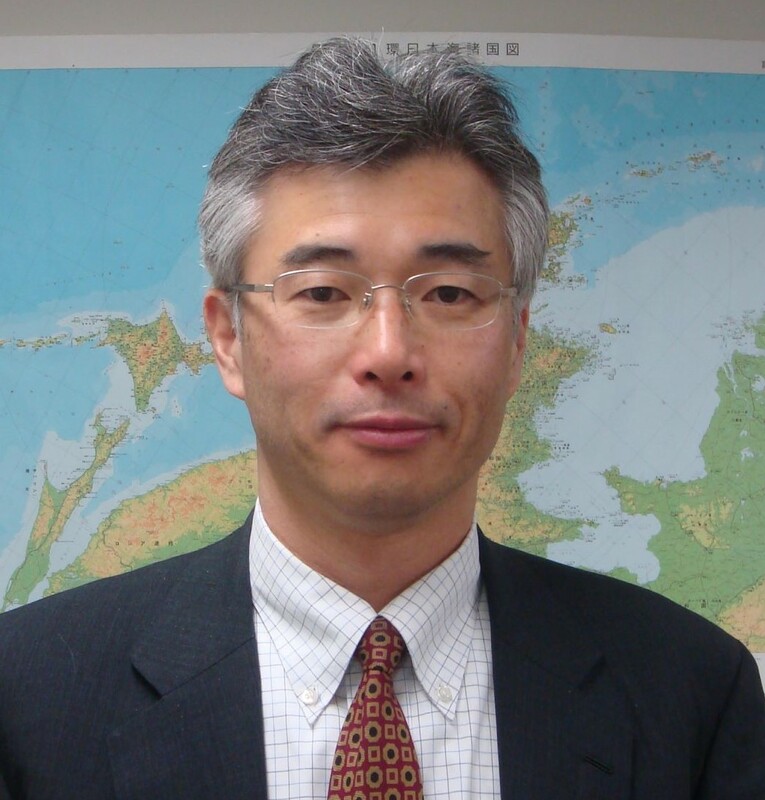 He is currently a Guest Professor of Osaka School of International Public Policy, Osaka University, and holds a B.A. in economics with honors from Osaka University. 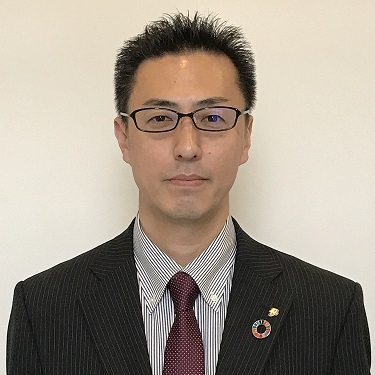 Masaaki Nagamura has been in charge of international initiatives relevant to sustainability issues at Tokio Marine Holdings’ Strategy & Synergy Department since April 2018, after serving as Division Head of CSR for six years and eight months. He currently plays the role of sherpa at the Asia-Pacific Financial Forum’s Disaster Risk Financing and Insurance Sub-stream. He was a member of the Financial Stability Board’s Task Force on Climate-related Financial Disclosures (TCFD) between January 2016 and July 2017. In his current corporate role, he participates in The Geneva Association’s Extreme Events and Climate Risk project. He was actively involved in the launch of the UNEP FI’s Principles for Sustainable Insurance. He was in charge of international standard setting discussions on insurance regulations between 2004 and 2011. He was stationed in the U.S. city of Chicago as an Account Executive between 1997 and 2004. 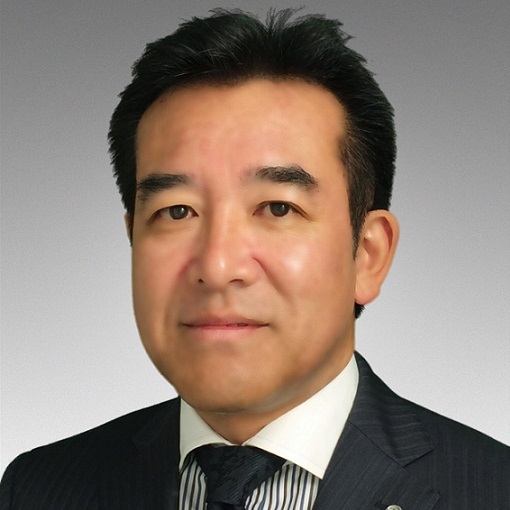 He joined Tokio Marine & Fire Insurance in 1986. Tomomi Nara joined adidas Japan KK, Group Legal and Compliance in the year of 2002 when FIFA World Cup Korea Japan was held. 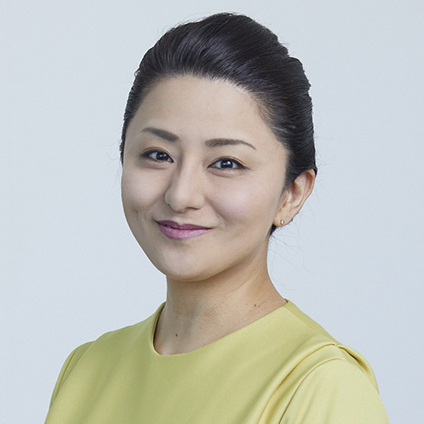 Along with her legal related works, she also belongs to the global Social & Environmental Affairs and is responsible for introducing and implementing social compliance programs [adidas Workplace Standards] to Japan supply chains. 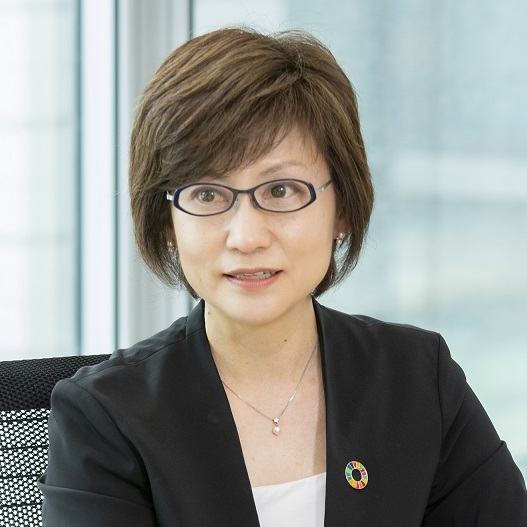 In addition, she leads stakeholder engagement and education regarding human rights due diligence, modern slavery outreach program and responsible supplychains to our Japan corporate community. 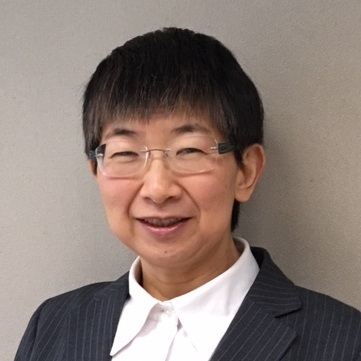 Tomomi has been overseeing the monitoring and consulting for improving the working condition within supply chains for 16 years. Born in Chiba prefecture, 1956. Graduated from Hitotsubashi University in 1981, joined Mizuho Bank which formerly known as Dai-ichi Kangyo Bank. Experienced Credit Planning Director in Mizuho Financial Group, Branch Manager at Ginza-dori branch and Compliance General Manager in Mizuho Bank. In 2011, Managing Executive Officer in Mizuho Bank. 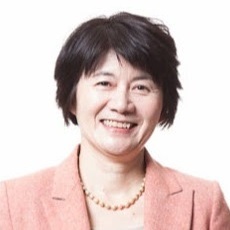 Chief Director of DAI-ICHI KANGYO Credit Cooperative from 2013. In 2016, award Medal with Yellow Ribbon from the Cabinet Office Government of Japan. 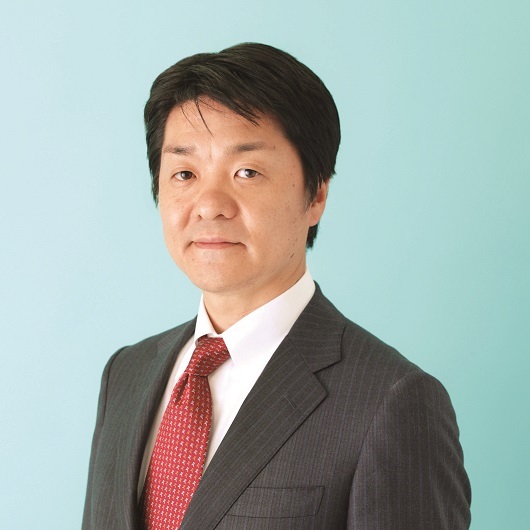 Kaoru Ninomiya has been appointed CSR Director of Calbee Inc. since 2009. Calbee has the largest share in the domestic Japanese snack food and cereal market. 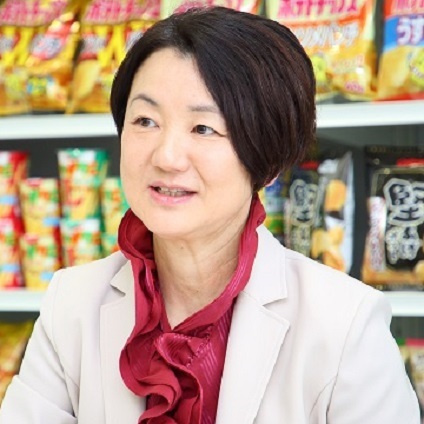 In her current role, she is responsible for accelerating Calbee to be one of the most popular and sustainable brand in food manufacturer of the globe. Prior to this role, she was PR &Web director, customer relationship management director. She is a big fan of Carp, a baseball team based in Hiroshima. She also loves cross country skiing. Kaoru holds a bachelor’s degree in graphic design from Tama Art University. 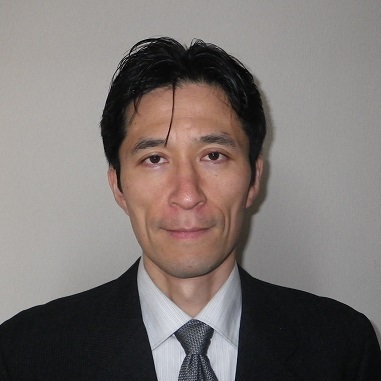 Koichi Noguchi is a consulting partner with over 20 years of experience. 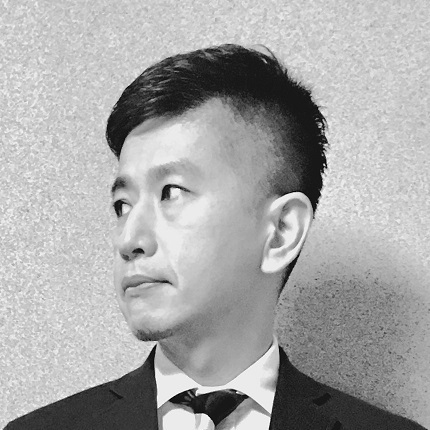 Koichi’s expertise includes strategy planning, organizational design, operational management, and work style transformation. 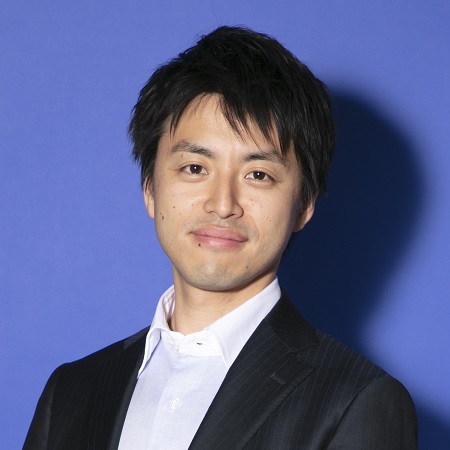 He currently leads Japan Digital Service and also Global Innovation Factory (GIF), a proficient consulting team to support creating and driving innovation. Team offers clients services that differs from the more traditional ones, with a digital platform using the latest technologies by leveraging partnerships with startups, universities, research institutions, and NPOs across the world. A regular contributor to newspapers and magazines. 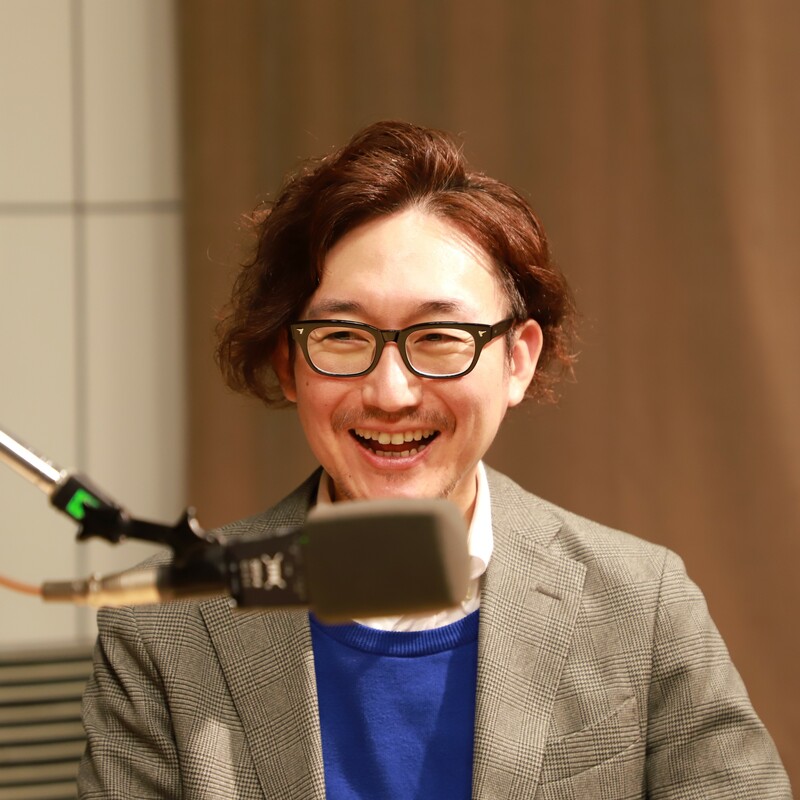 His publication includes “Sharing Economy Maruwakari” by Nikkei Bunko. Born in Osaka,Japan in 1962. 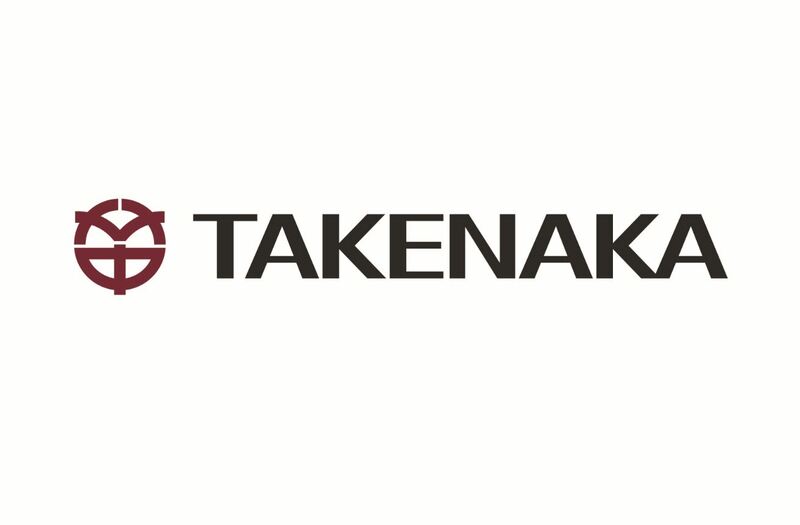 Joined Takenaka Corporation after getting Master Degree of Architecture at Kyoto University in 1986. 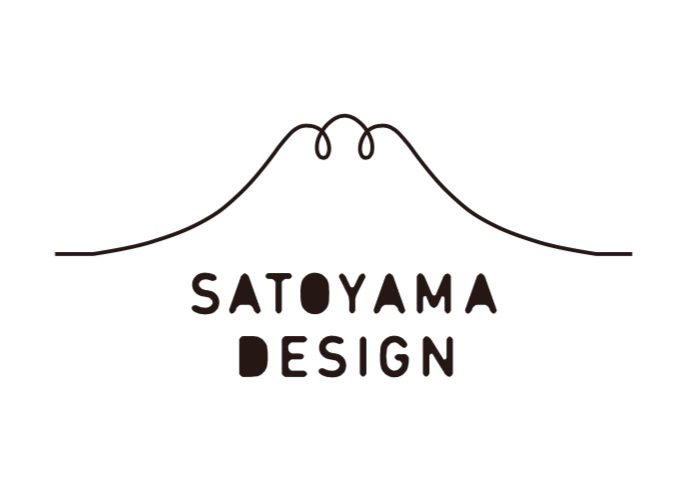 Started working in Design Department Osaka Main Office from 1987. 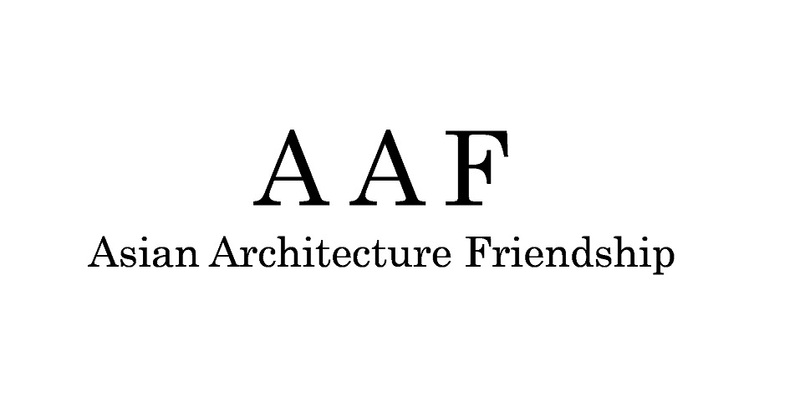 Set up Asian Architecture Friendship(AAF) with other volunteers from Design Department in 2000 and started supporting school construction in Nepal. In 2003, AAF founded a school for providing education up to the 10th grade at Philim, a village at the foot of the Himalayas, which had neither electricity nor phones nor roads for cars. In 2009, AAF built a canteen and dormitories for the students from distant villages. Now 400 students are attending. Some buildings suffered from the Great Central Nepal Earthquake in 2015 are under restoration and the new project due to the increasing number of students is in progress. AAF received certification of a nonprofit organization in 2015. Vice Chairman of AAF. Senior Manager of Architectural Design Department of Takenaka Corporation. 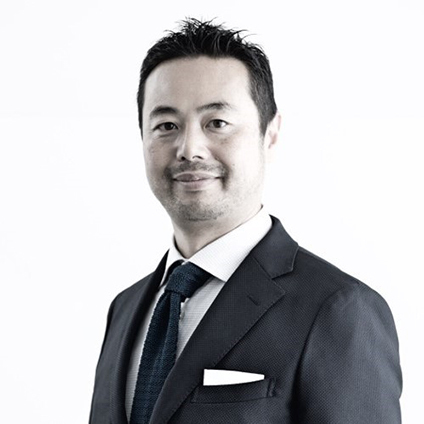 Mr.Keisuke Hanyuda is a partner at Deloitte Tohmatsu Consulting (DTC) . Before joining DTC, he was a FTA/ EPA negotiator for ASEAN nations representing the Ministry of Economy, Trade and Industry (METI). He later joined Canon, where he was responsible for business plan development and M&A in the corporate planning division. He started his consulting career at A.T. Kearney as a business strategy consultant. 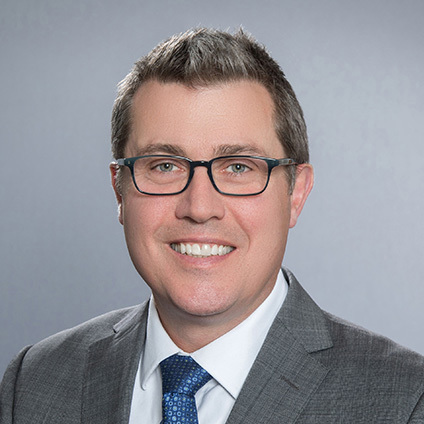 His expertise include regulatory, management and business strategy and he brings extensive knowledge of international regulations for both public/private sectors and lobbying strategies to the firm. He has written widely on the subject of FTA, Scenario planning, international rule making and regulary appears in newspapers/magazines, TV programs as an expert, as well as delivering lectures on many occasions. 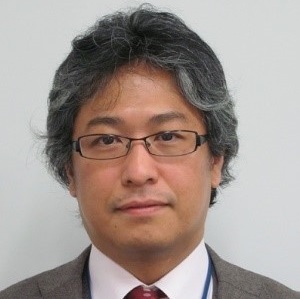 He also serves a deputy chief for the Center for Rule-making Strategies, Tama Univ. and is a member of various committees of METI, government-affiliated organizations and NGOs. Majored in solid-state physics for student days. Joined Bridgestone Corporation in 1977. Responsible for tire material design and structural design at the Technical Center in Kodaira, Tokyo. In 1992, dispatched to US operating company in Akron Ohio. The location is 30 km south of Cleveland with a population of about 200,000. Once the major US tire industry had been in Akron. In 1988, Bridgestone merged Firestone Tire and Rubber Company, and worked for Bridgestone America as the second team after the acquisition. Stayed in the US three times in all for 16 years. For the third time, accountable for the CTO of Bridgestone America. 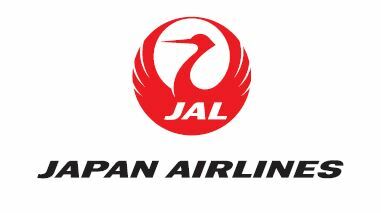 Also, during return to Japan, worked as a director of sales and product strategy with various experiences and personal connections, especially from outside the company. Since March 2015, after returning from the United States, working as “Technical spokesperson”. 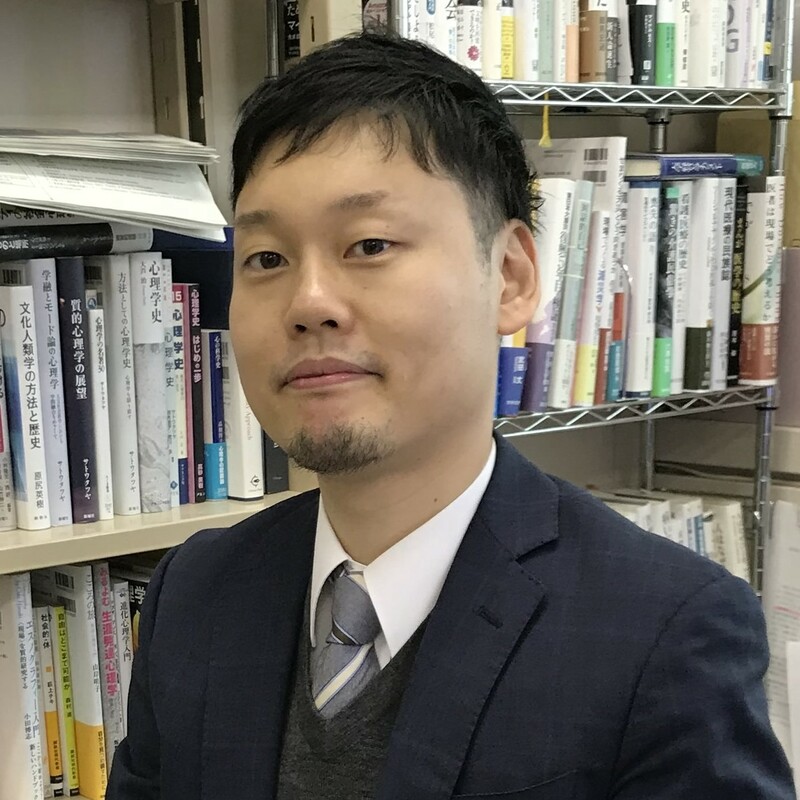 Tomoo Hidaka, having dual PhD in psychology and medicine, is a research psychologist working as Senior Lecturer of Fukushima Medical University. 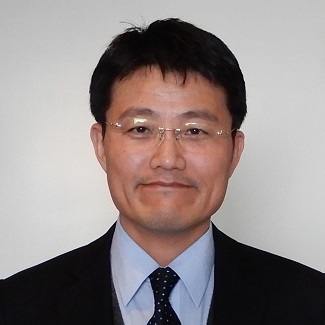 He experienced the Research Fellow for Young Scientists (DC2) of Japan Society for the Promotion of Science (2010 – 2012), research associate (2012 – 2016) and assistant professor (2016 – 2018) at Department of Hygiene and Preventive Medicine at Fukushima Medical University School of Medicine, and then assumed the present post. Using both qualitative and quantitative methods (mixed methods), he has engaged in the studies of psychology and preventive medicine such as communication support and its effect on quality of life among patients with amyotrophic lateral sclerosis, mental health support for radiation decontamination workers in Fukushima Prefecture, and metabolic syndrome risks by business category among general workers (published in PLoS One, 2016, and in the “Life” column of The Nikkei, Feb 9, 2017). Aiming to improve the treatment for the patients with diabetes in Koriyama, he participates in the jointed research in cooperation among industry, government and academia, consisted of Novo Nordisk Pharma Ltd., Koriyama City, and Fukushima Medical University since 2018. 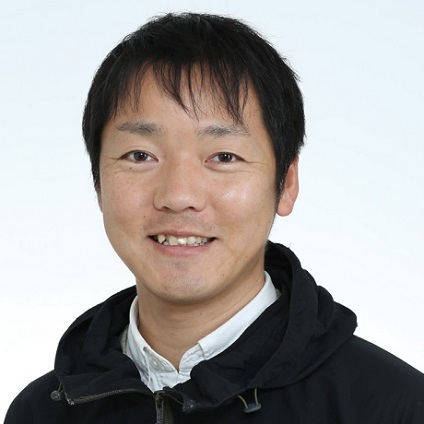 He won the excellent article award from the Japanese Association of Qualitative Psychology in 2013, and the Young Investigator Funding at the 21st Asian Conference on Occupational Health in 2014. 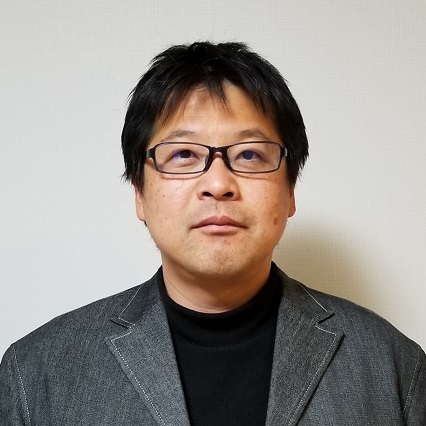 His major work is “Fieldwork of communication support: cultural psychological approach to the persons with neural intractable disease” (Nakanishiya Publishing, 2018). He is also a co-writer and joint author of “Dynamic Process Methodology in the Social and Developmental Sciences” (Springer, 2009) and “Oxford Handbook of Culture and Psychology” (Oxford University Press, 2012). Born 1967 in Denmark, a resident of Japan for 28 years. Graduated from the Institute of Cultural Anthropology, Copenhagen University. Representative Director, NELIS. 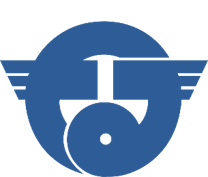 Executive Director, TACL. 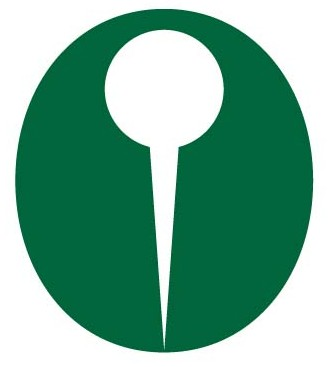 From 1995-1998, Peter David organized international symposia in Tokyo with leading global figures in politics and economics – Margaret Thatcher, Henry Kissinger, Peter Drucker, Alvin Toffler, Lester Thurow and wrote for people such as John K. Galbraith, Daniel Bell, Lester Brown and Lee Kuan Yew. In 2000, Peter David co-founded E-Square Inc., one of Japan’s first sustainability consultancies and worked on CSR/sustainability numerous projects with leading Japanese corporations. He helped introduce the idea of LOHAS – Lifestyles of Health and Sustainability – to Japan in the early 2000s. Co-founded NELIS in 2015 and, in the same year, became Executive Director of TACL – The Academy for Corporate Leadership. 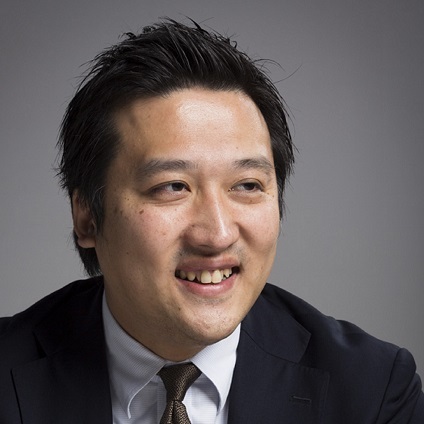 Takeshi Fujii is the leader of Monitor Deloitte Japan. 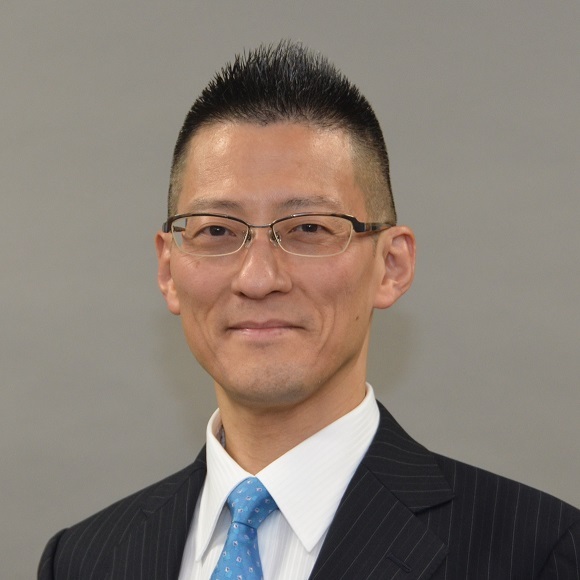 He has 20 years of consulting experience from advising a wide range of Japanese clients in electric machinery, automobile, aviation, consumer goods and health care. 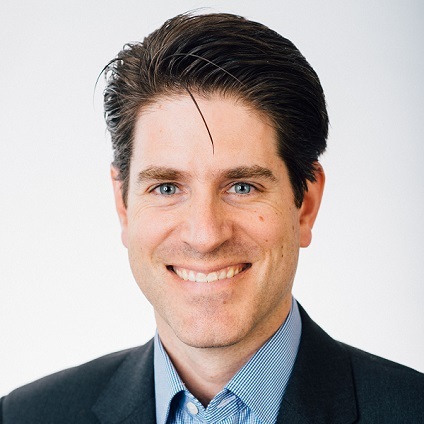 He specializes in Growth Strategy, Innovation, and Business Transformation and currently leads the CSV / Sustainability Strategy Practice, Innovation Practice, and Digital Strategy Practice at Monitor Deloitte. He has authored Innovation Strategy in the CSV Era (First Press, 2014) and Future of Management that SDGs Indicates (Nikkei, 2018). (JCCU) in 1991. She belonged to the Environmental Business Promotion Division of JCCU from 1992 and was engaged in the promotion of environmental activities of consumer co-op businesses and co-op members. Environmental activities of Japanese consumer co-ops such as charging a fee for plastic shopping bags and recycling milk cartons, etc.,developed through the collaboration (sometimes with argument) of consumer co-ops and citizens. We consider that the role of consumer co-ops is to develop systems where a small activity can be developed to a big one, and where an activity that someone has started can be disseminated to and continued by everyone. Joined WWF Japan after working for a private financial institution. Since 2010, working on forest projects to promote sustainable use of forest resources under the Forest Programme. In cooperation with WWF global network, engaging with private sector by providing on-site information of producing areas, advising on procurement policies, and promotion of Forest Certification Scheme. Helene von Reis is a native of Malmo, Sweden. Graduated Lund University, major in Marketing and Communication. She started her career at the IKEA Group in 1998. 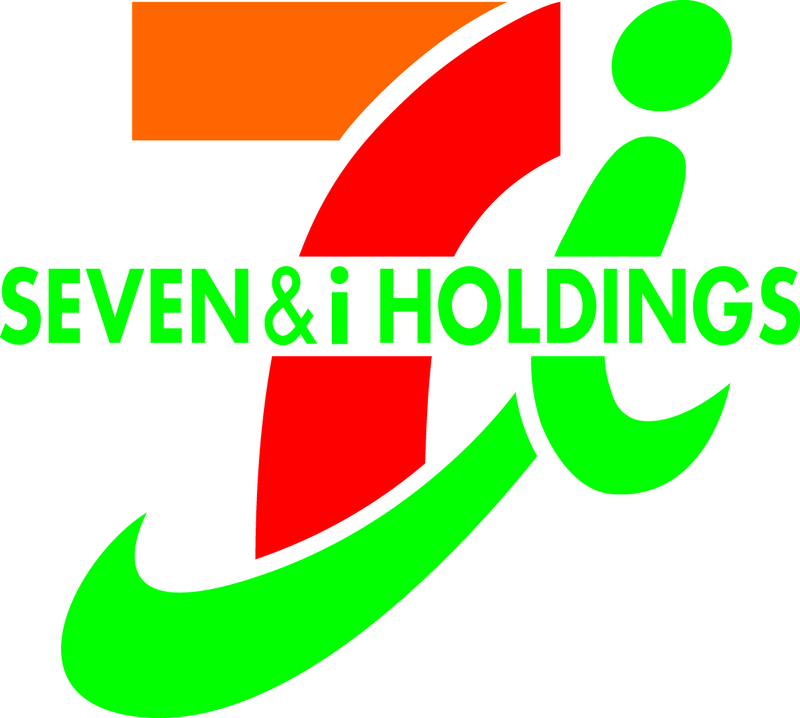 Over the years, has held a number of positions within the company. Worked within IKEA Communications as Managing Director, Information Manager at IKEA of Sweden and Store Manager in China. 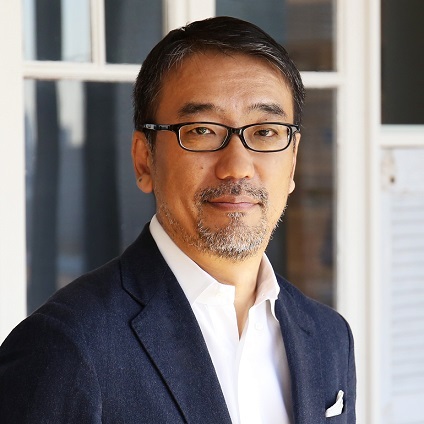 From 2013, Deputy Retail Manager of IKEA US, and in August 2016, appointed Chief Executive Officer and President, IKEA Japan K.K. As CSR director of Epson Europe and managing director of Epson Germany, Henning Ohlsson believes that organizations have the responsibility to build a sustainable future, both social and environmentally, at every level of the value chain. Linking strategic CSR direction to sales practice and customer experience is his main focus, which means bringing SDGs into day-to-day work and adding value to business performance. Climate action and responsible consumption in a circular low-carbon economy are his fields of expertise. Born in Yokohama City, Kanagawa Prefecture. 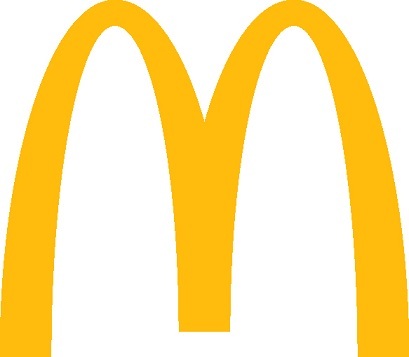 After graduating from high school, joins major dining corporation. For fund raising, works as truck driver for few years. Opens “Yakitori Enya”, the foundation diner of the company, in 2003. 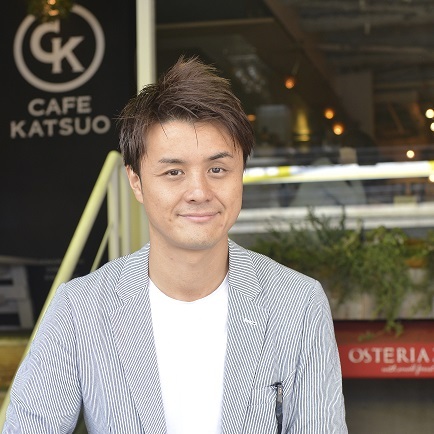 Establishes Keep Will Dining Co., Ltd, in 2004, as CEO. As Machida City and Sagamihara City as its core areas, the company produces cafes, izakayas, and restaurants throughout the Buso area.“Buso” symbolizes the area of which the Country of Musashi and the Country of Sagami’s border stretch out, with Machida City as its center. Struck by the word, “GOOD LIFE BUSO” was created. The new vision aims to advance the area and to further deepen the actions of making the area a better place. Currently, with the support of the locals, “Buso Cities & Communities forum” has been launched. Its goals are to “be prouder of the place and to make it more prosperous”. 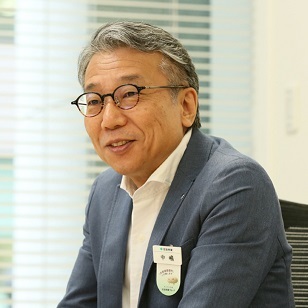 After joining Canon Marketing Japan Inc. in 1982, Hosoda gained experience in the sales and marketing division before transferring to the Promotions Dept. in 1997, where he worked on promotions production and media planning. 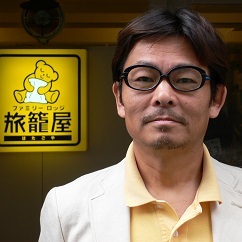 After taking charge of brand management from 2004, Hosoda became manager of the CSR Promotions Dept. in 2007 before eventually taking his current role. 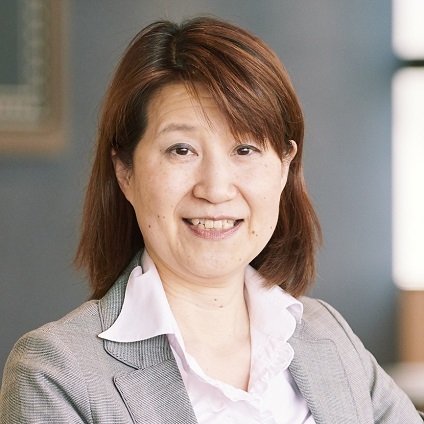 With vast experience in the field of CSR, planning, and communications, Hosoda also actively serves as a seminar lecturer, trainer, and advisor at companies and universities. His seminars and training are popular thanks to his instruction methods and highly-comprehensible explanations of theory and practical implementation. 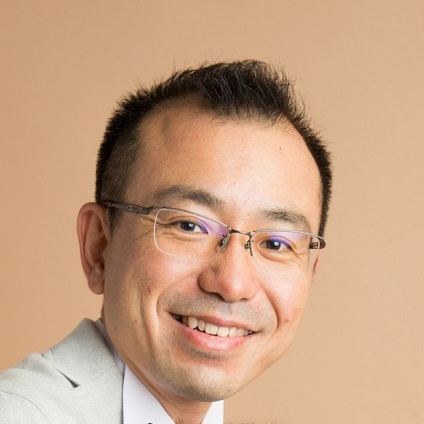 Hosoda is an instructor at the Chuo Graduate School of Strategic Management, lead instructor at the Japan Management Association, He has given numerous brand and CSR seminars both within and outside the company. 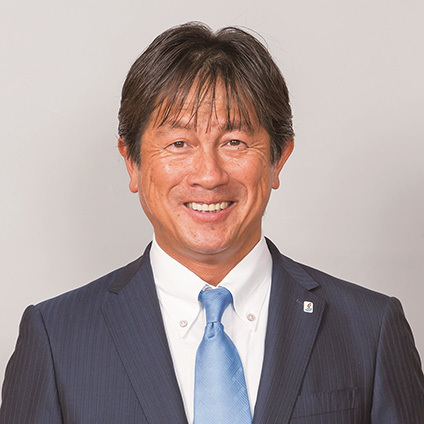 Eiichi Honda is the President of the Japanese Consumers’ Co-operative Union (JCCU). 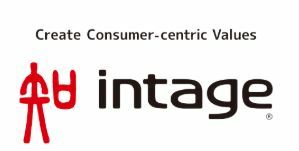 JCCU is the national federation of consumers’ co-operatives in Japan. As of 20 March 2017, JCCU had 324 member societies comprising 28.7 million individual members nationwide. 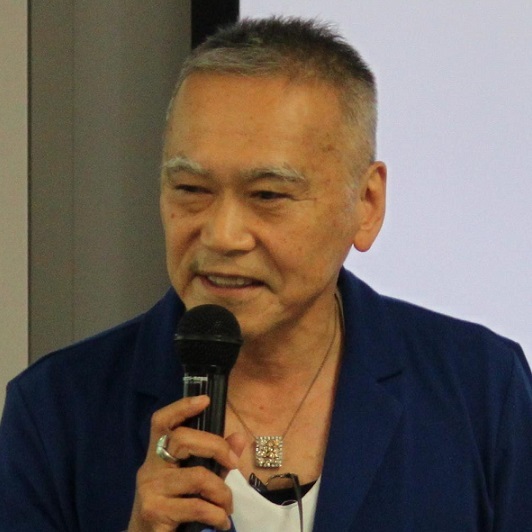 He joined in consumer co-operative movement in 1974, starting his career at Consumers’ Co-operative Nada Kobe (present Co-op Kobe). 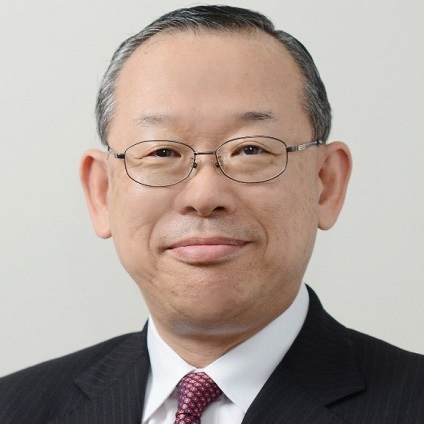 He had been engaged in various fields at Co-op Kobe such as IT management, store operation and corporate planning before serving as CEO of the Co-op. He was elected to the President of JCCU in 2017. JCCU adopted “Co-op Action Plan for SDGs” at its General Assembly in June, 2018 aiming to contribute to the achievement of SDGs. 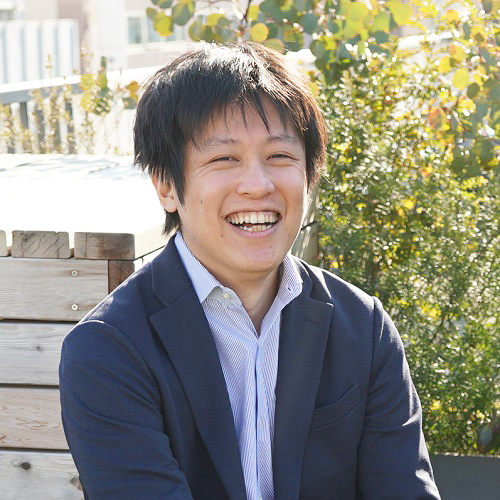 In realization of this, he leads consumer co-ops to tackle various social problems based on his vast experience gained at Co-op Kobe, one of the most active co-ops that contributes to local community development. Maeda Joined the Asahi Shimbun in 2004. He has worked at the Sports News Section from 2009 and mainly covered the sumo and soccer. he became in charge of Tokyo Metropolitan Government. From October 2014 he has covered the Olympics at the Sports News Section, including the Rio de Janeiro Olympics held in 2016.
reporting the projects for “SDGs Olympics” to be held for the first time in the history of the summer Olympic Games. Apr 1983 Joined Nissan Motor Co., Ltd. Joining Hakuhodo in 2008. 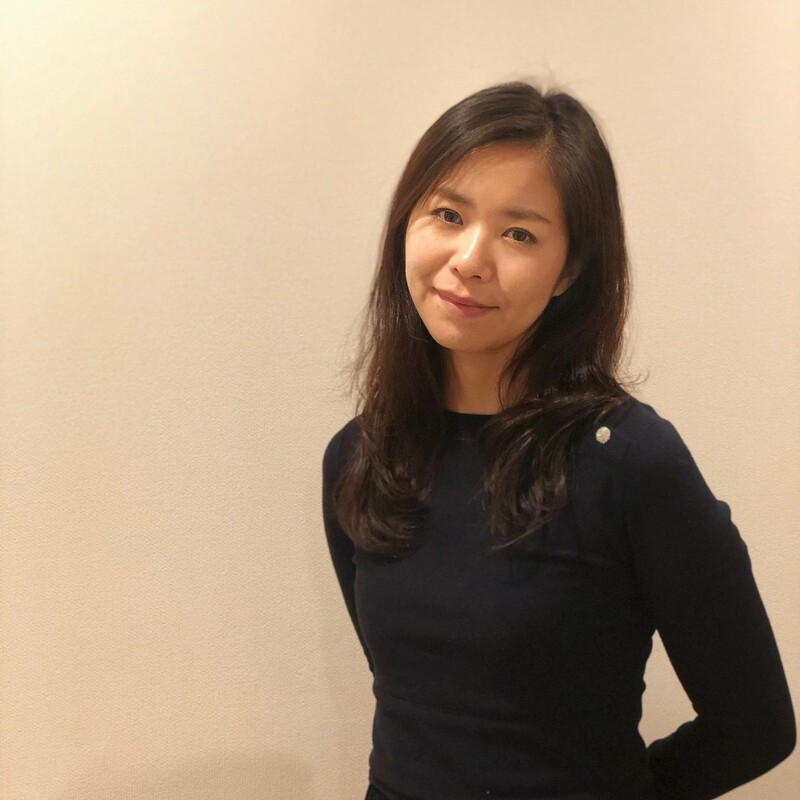 As marketing staff, Matsui has been in charge of branding and developing new products mainly for women such as cosmetics, underwear, beauty appliances, supplements, and so on. From 2014, she’s been presenting research results of shopper’s behavior and insight in store at Institute of Shopper Insight Department. The area of ​​interest is the measurement of subconsciousness making full use of psychological knowledge, and she’s been developing a new investigation method to further deepen consumer insight. Also, in 2013, she launched a cross-company project “Hakuhodo Working Woman Lab（Carijo-ken）” and promoted it as a leader. She’s been studying working women (= Carijo) in their 20s and 30s and have also made a lot of lectures. since graduating from the University of Tokyo (Department of Engineering, Faculty of Architecture). Worldwide. His research in environmental engineering aims to realize sustainable buildings and cities. 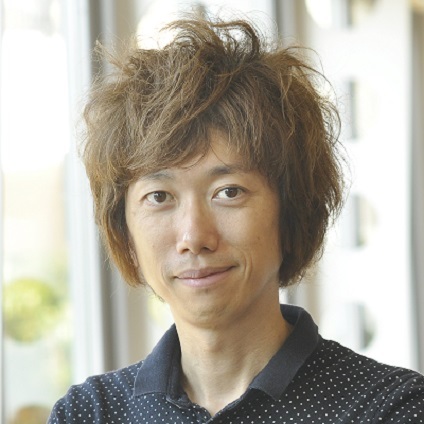 Thus, he has published numerous technical papers and essays both in Japan and overseas. University of Tokyo, Department of Engineering, 1972, Doctor of Eng. 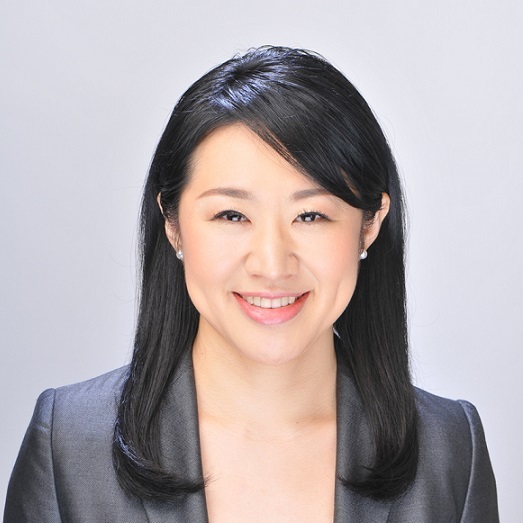 Haruka is a founder of Readyfor,inc. Readyfor is the first and biggest crowd funding service ever in Japan, targeting every kind of entrepreneurs including local and social. 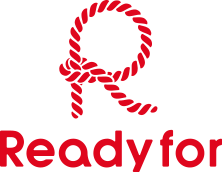 Through Readyfor, she aspires to realize a world where every individual achieves whatever he/she wants regardless of financial status. Currently, she is a member of Global Shapers from World Economic Forum. She attended in World Economic Forum in 2012 as a youngest member from Japan. She holds a Master’s degree in media design from Keio University. 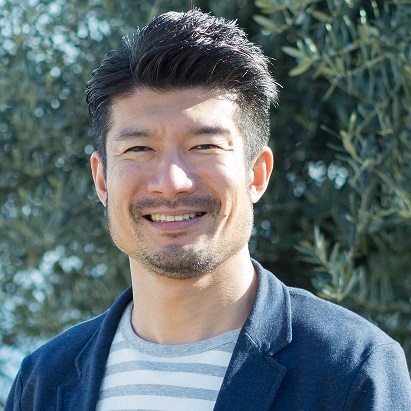 Keisuke Motoki is the co-founder of Kamonohashi Project which mission is to combat trafficking of children and women for commercial sexual exploitation from the world. 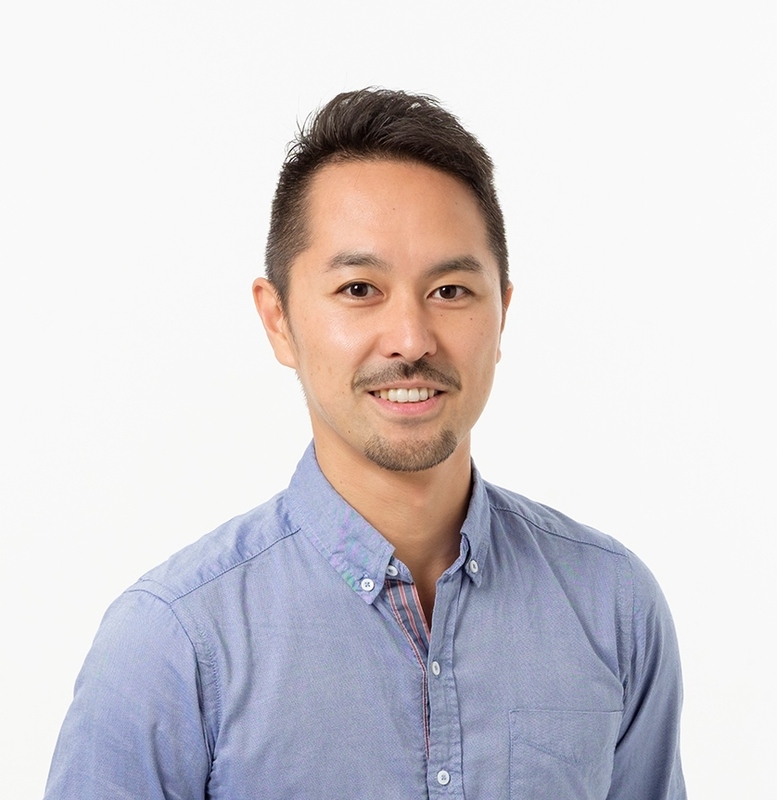 Graduating with BA in Philosophy and Religion from Tokyo University in 2005, Keisuke obtained management knowledge and skills from his work at a management consultancy firm in Tokyo while running the NPO. Through the experiences working with energetic colleagues in complex society in Cambodia and India, he sometimes felt his powerlessness. It gave him the opportunity to think about importance of authentic leadership in larger “eco”system. Keisuke also believes in that all of us live in an ecosystem; where a human being derive joy of our daily life in variously interwoven relationships such as family, community, work space and society with life and death. Yuri has been an active player in professional coaching field since 2004. She has coached more than 200 global leaders from various backgrounds, such as corporate executives, NGO leaders, independent professionals, and dream seekers of their own. Prior to her career in coaching, Yuri worked as a management consultant specializing in organizational and leadership development for 13 years. After completing her coaching certification at the Coaches Training Institute (CTI), she became a trainer for CTI Japan. 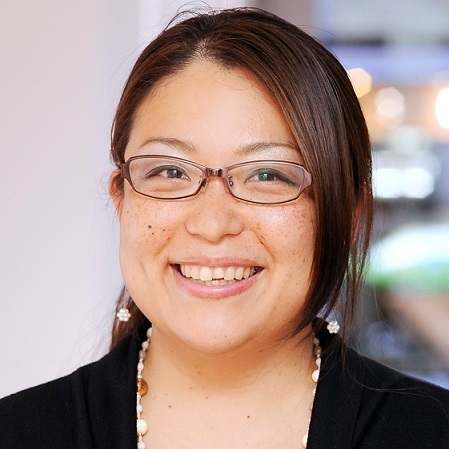 She then has launched Organizational and Relationship Systems Coaching (ORSC) Program in Japan, and founded CRR Japan Inc. in 2009. She has trained more than 3,000 coaches around the world. She holds a Master Degree in Asian Studies from University of California, Santa Barbara, USA, and a Bachelor Degree in International Law from International Christian University, Japan. She lives in Tochigi, Japan with her husband and 3 cats. Born in Fukuoka Prefecture in 1979. After graduating from Kyushu University, he started his career in a major real-estate company. He launched new business and worked on urban redevelopment projects. He founded Agrimedia inc. in 2011. He organized “Share Farm” desterilizing idle lands in urban areas in 2012. “Share Farm” successfully connected demand of urban residents who wanted to grow vegetables easily with idle lands. There are currently 88 farms in the Tokyo area and Kansai region. Diversifying business, Agrimedia runs human resource services and consulting business focusing on agriculture and roadside station. A columnist for SBJ. In charge of training planning for temporary staffing company. After that, from the desire to develop human resources, shift to a consulting company of a major manufacturer series, and serve as a general manager of the company training division from managerial positions such as development, promotion, public relations etc. on human resource development. After engaging in about 1,000 company consults. From the experiences of managers and entrepreneurs in compatibility with their own birth / childcare, keeping involving with the creation of various human resources and organizations with abundant careers of the business field, the attention focused on the diversity. Consultants, training instructors, lectures and active in various fields. The theme includes a wide range of subjects such as “career design”, “diversity” and “risk management”. Since joining Ajinomoto Co., Inc. in 1983, Mr. Yoshimiya’s postings include: General Manager, Guangzhou Office. 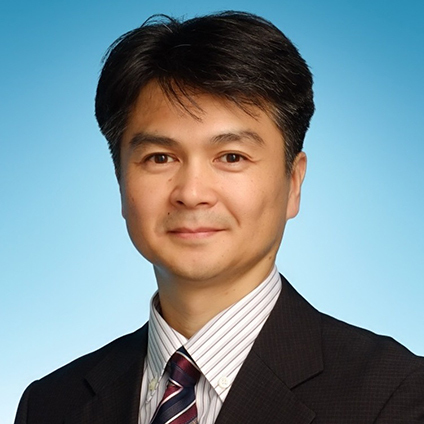 General Manager, Shanghai Office. Deputy Chairman, Ajinomoto China. 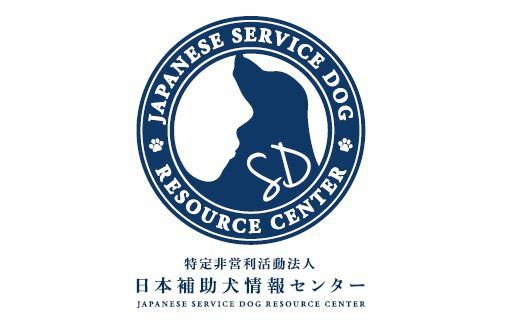 Deputy General Manager, Tokyo Branch. General Manager, Labor Management Group and HR Group, Human Resources Dept. President, Ajinomoto Indonesia. General Manager, Global Human Resources Dept. He is currently responsible for CSR, Global Public Communications and General Affairs & Risk Management. Selected to study in one of the finest schools of Nepal in government scholarship in 1997 in grade four. Went to Ritsumaikan Asia Pacific University (APU) in 2007, University of Tokyo in 2012. Started working for SoftBank Corp. from 2014. As a way to giving back to the country, built first YouMe School in 2011, second one in 2017. Raised 10 million yen in 2018 to build a third Online YouMe School to provide quality education to the kids studying in public schools in rural areas. 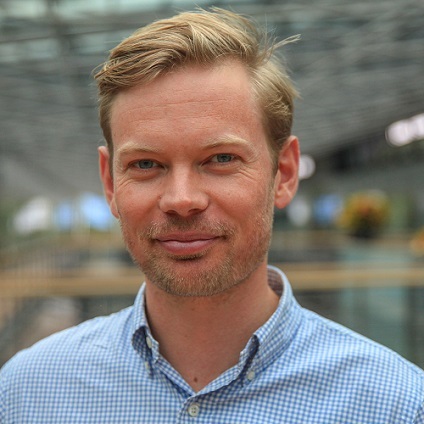 Rasmus Skov is Head of Sustainability at Ørsted. He has been part of the company’s journey from coal-intensive utility to market leader in offshore wind. Ørsted’s vision is to help create a world that runs entirely on green energy. By 2025, the company will be essentially carbon free in its energy production with the ability to provide green power and heat to more than 30 million people. Rasmus and his team defines the company’s sustainability strategy and targets. He sees a particular role for his team in ensuring that the company positions itself as a sustainability leader for the long term. The team also focuses on reporting and communication to investors, civil society and other stakeholders, as well as working with suppliers across the globe to strengthen their social and environmental practices. Rasmus sits on a number of sustainability boards including the Danish Government advisory council on the UN Sustainable Development Goals and the Denmark chapter of the UN Global Compact. He has worked at Ørsted for seven years. Previously, he led efforts to promote political dialogue and rule of law in the Balkans with the EU. Ms. Rachel Chan hosts a Sunday morning radio show on FM 81.3 J-WAVE, one of the most popular radio stations in Tokyo. She also is a television commentator for Tokyo MX morning news show. Rachel began her career at the Nagano Broadcasting Systems TV station as a news announcer in 1997. She has interviewed Olympic medalists at the 1998 Nagano Winter Olympic games. She has also hosted the evening news program for 4 years until she relocated to the United Kingdom. After returning to Tokyo, she started her career as a radio DJ, narrator, and bilingual emcee. She is currently the red carpet interviewer for the Tokyo International Film Festival. Rachel was appointed the “Honorary Kikisake-shi SAKA-SHO” among the prominent figures who have contributed greatly to the promotion and the development of Sake as well as the Japanese culture. Her life’s work is not only to promote the culture of SAKE to the world but also to support the areas severely affected by the Great Tohoku Earthquake of 2011. Rachel hosts a charity concert at Blue Note Tokyo, a prominent jazz club, with the legendary poet Shuntaro Tanikawa and musicians to keep the tragic event from fading. Rachel was born in Japan, and has spent her childhood days in New York City. She also lived in Edinburgh, Cardiff, and London, in the United Kingdom for approximately 6 years. She is fluent in Japanese and English. KoAnn is Founder and Chief Executive of Sustainable Life Media, producers and conveners of the international Sustainable Brands community. Prior to launching Sustainable Life Media in 2004, KoAnn founded and lead a boutique management consultancy called Organizations That Work, focusing on helping enable breakthrough financial performance through purpose-driven leadership and improved organizational alignment. Prior to that she worked for 18 years in business to business media where she served in positions of increasing responsibility launching and leading media properties including magazines, conferences, trade shows and more for a wide range of markets, starting with natural resources (timber, paper, and mining, and ending with a variety of emerging technology sectors including digital video, computer game development and the web. During her tenure she garnered extensive experience in launching and growing countless product brands, as well as defining a corporate brand strategy and integrating it with a global product brand portfolio spanning many market sectors. She completed her media tenure as Senior Vice President of a multinational division of United Business Media, overseeing a $50 million division with 150 person team. Dr. Sirikul established her own consulting firm after working for global corporations for nearly twenty years. The mission of her firm is to be a small but competent strategic advisory company with the aim of working with Thai clients who truly believe in sustainable branding and systematic methodology. Her approach to develop brand strategy is based upon the Sufficiency Economy Philosophy. 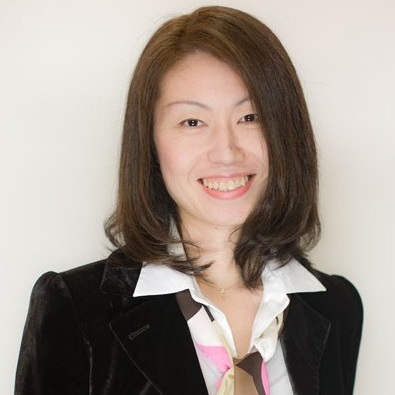 With a background ranging from creative to management to professional training plus her own unique combination of creative flair and strategic thinking, Nui is a “one-of-a-kind” consultant who can provide strategic and holistic recommendations that are sensible and practical for each client’s issues. Her strength is Brand Strategy Development, Branded CSR, and Brand-led Business Planning. She is the author of Build Brand and Sufficiency Branding, Sustainable Brand pocket books. In addition, she is a special lecturer for Chulalongkorn University, Bangkok University and to name a few. Dr. Sirikul was invited by Krungthep Turakit TV to be the special TV host for the Marketing 3.0 TV program on the occasion of Phillip Kolter’s talk in Thailand. She also hosted Sustainability Global Trends and the Global Dialogue TV program for the 2013 Global Dialogue on Sustainable Development Conference. Dr. Sirikull is well respected in her field as being one of the most knowledgeable consultants in Corporate Branding and Sustainable Development. Her branding experiences cover from Banking to Education, from large corporation to SME. 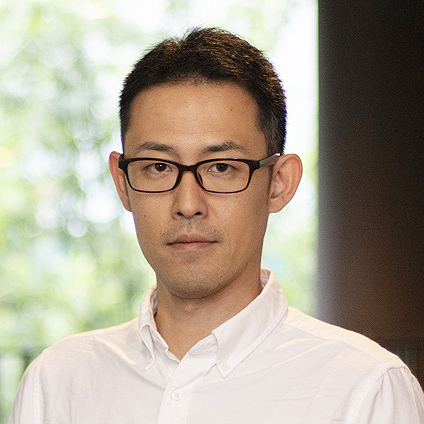 After graduating from the Faculty of Science and Engineering at Waseda University, Suzuki joined Recruit Holdings Co., Ltd. where he was involved in IT service company startups. 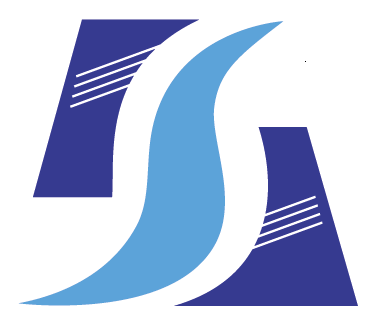 Suzuki later established a promotions company specializing in the IT industry. 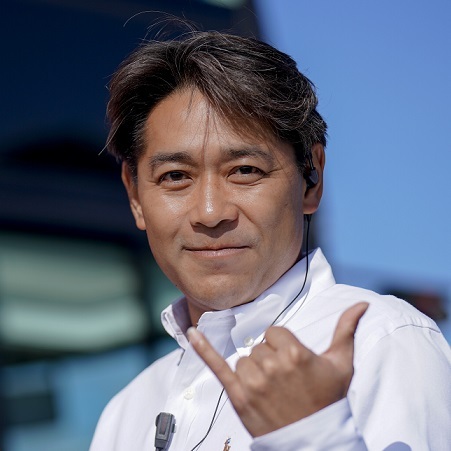 Over the company’s 20 years, Suzuki has been involved in the marketing and communications, brand, PR, and sales strategy planning of over 100 IT companies. 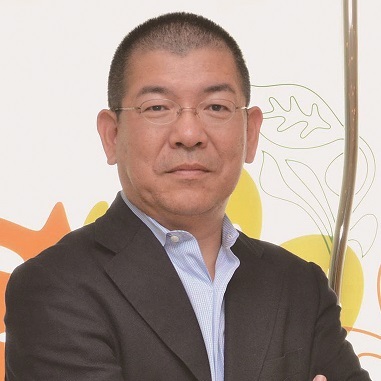 In 2012, Suzuki became a director at Hakuten Corporation where he oversaw new business development, digital business, and global strategy based on the concept of experience marketing. In March 2015, Suzuki met SB founder Koann and later in June 2015 participated in the SB San Diego Conference. Inspired by the growing global trend of sustainable brands, he dedicated himself to spreading these activities to Japan. 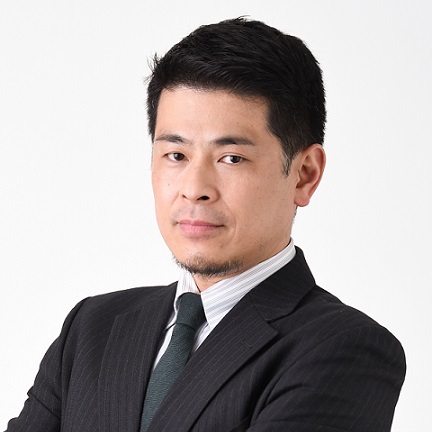 Shigeki Aoki is an expert on structuring and managing channels of distribution, and rivitarizing local areas throughout Japan. 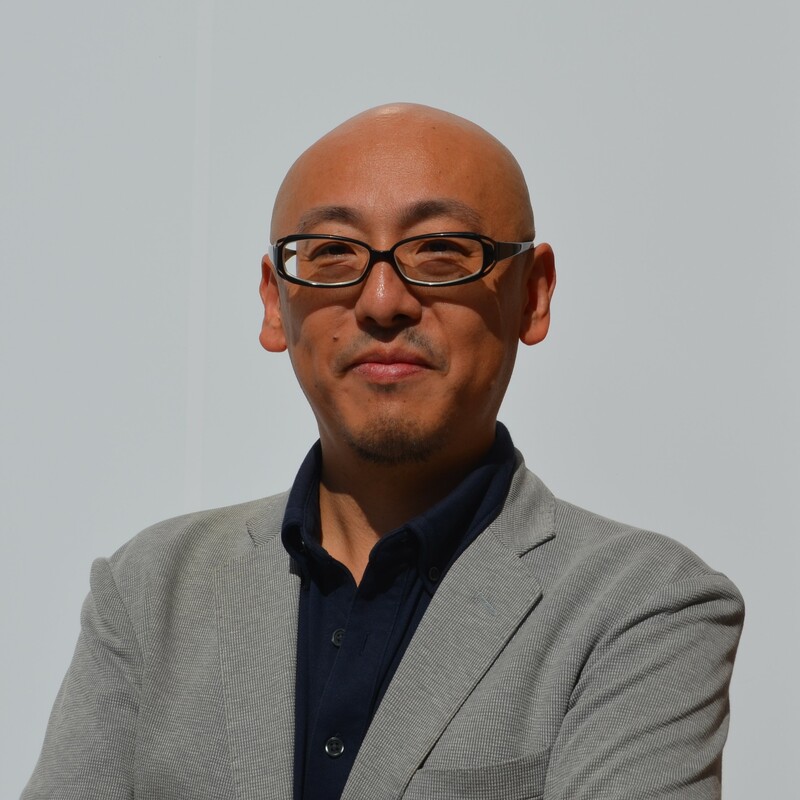 He is on a member of the board of trustees of the association of Design about Strategy for Zone Industry and Zone Brand.He has won several awards for his teaching, including Shakaijin Kisoryoku (Business Basic Skills) Award by MEIT (Ministry of Economy、Trade and Industry) in 2008. 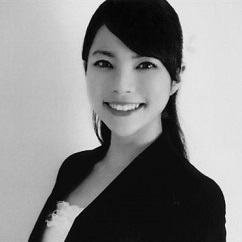 Professor Aoki has consulted and taught for a number of major corporations. 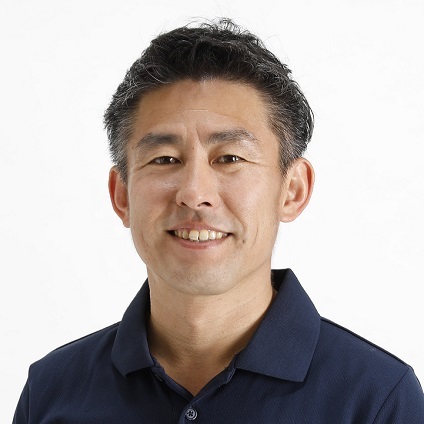 Before joining KOMAZAWA in 2008, Professor Aoki served on the faculty of the University of Yamanashi Gakuin University.He is also a chairman of NPO Yamanashi Cycling Project. He got Master Degree of Commerce at Keio University in 1994. He finished the Ph.D Course of Commerce at Keio in 1997. 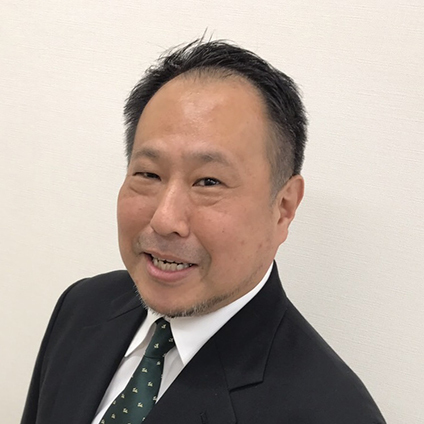 The founder and CEO of Response Ability, Inc., a consultancy on sustainability and CSR based in Tokyo, Executive Director of Japan Business Initiative for Biodiversity (JBIB). 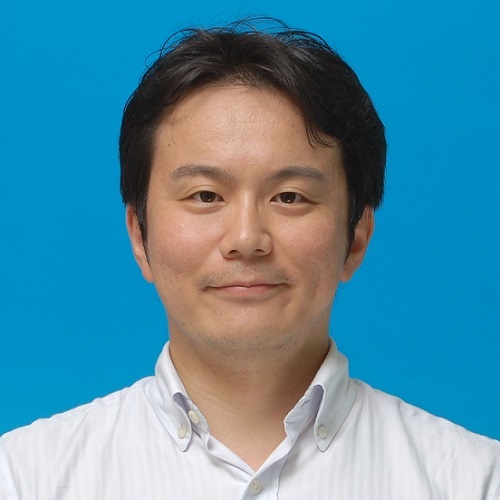 He is a scientist by training, received BSc from The University of Tokyo, MSc and PhD from Graduate School of Science, The University of Tokyo. After experience of working for National Institute for Environmental Studies (NIES) and FRIM (Forest Research Institute Malaysia) as a researcher, he has been working as a consultant on sustainability policy and management including CSR since 2002. 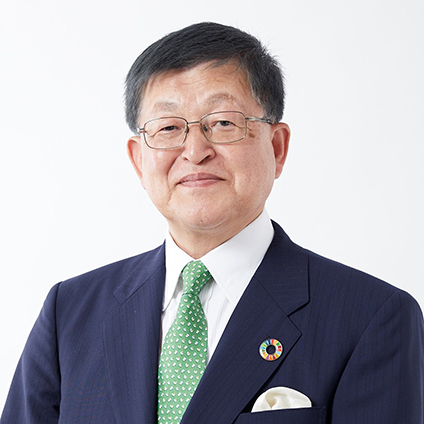 He has been involved in and led numbers of projects by leading Japanese corporations and ministries to develop sustainability policies and implement them in their daily operations. He also gives advice to business executives on sustainable business management and to produce sustainable business models. 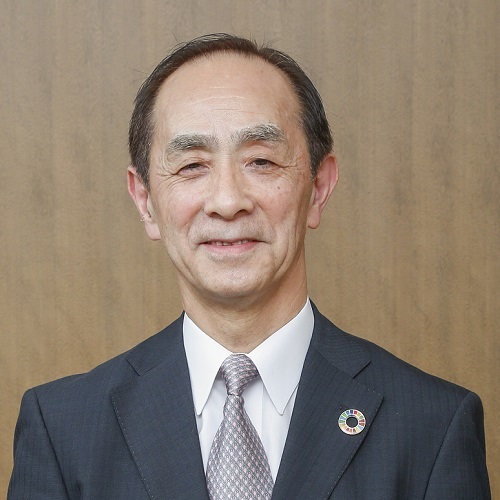 He is a member of various governmental committees and an advisor to sustainability related societies and forums both in Japan and internationally. 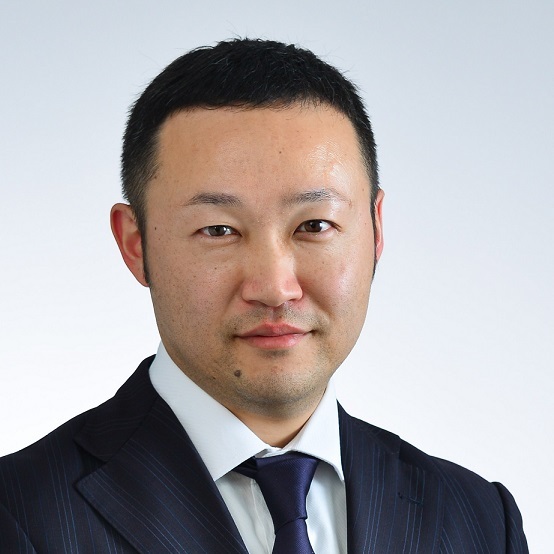 After spending time at a major securities firm working with convertible bonds, bond futures, derivatives, and as a sales trader for institutional investors, Tanaka founded a foreign capital venture company where he specialized in the wholesale business as a financial and IR consultant and M&A advisor. 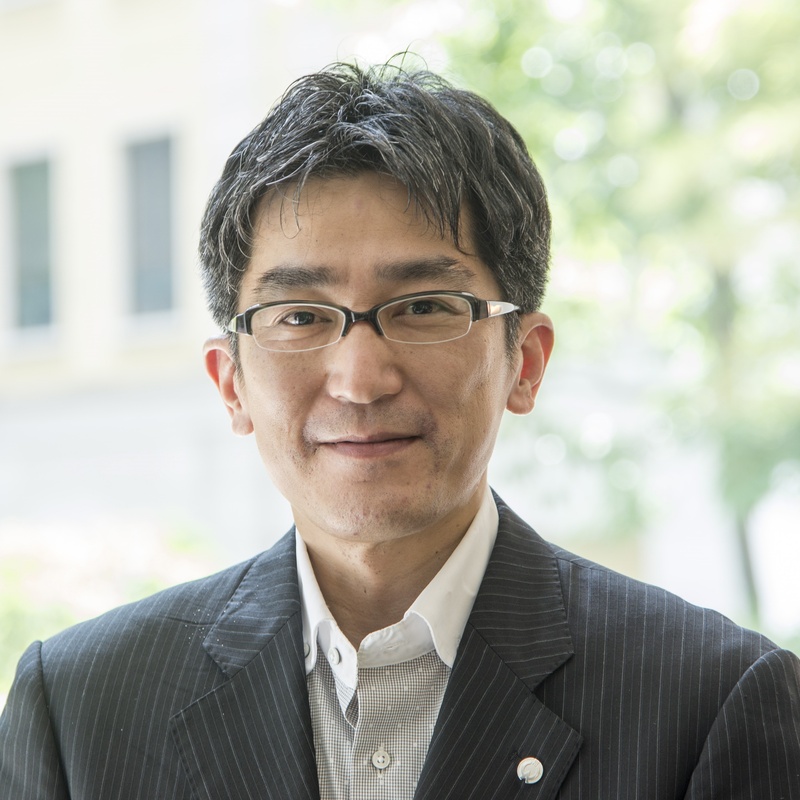 When working at a major research institute, Tanaka was responsible for ESG research and corporate communications support services. 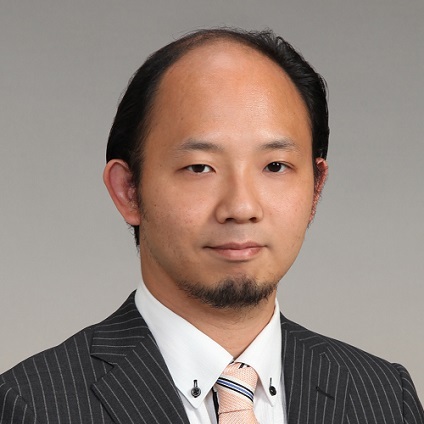 Applying his career as a financial and non-financial consultant, including his vast experience communicating with and interviewing numerous corporate managers, Tanaka has been in his current position since 2014 where he specializes in corporate report analysis while also providing a wide variety consulting services, including working as a corporate trainer and providing seminars. 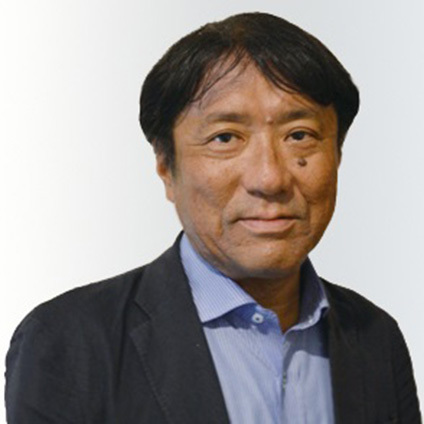 Setsu MORI is the founder of a Japanese business magazine Alterna which is the only business magazine focused to environmental, social and corporate governance issues. 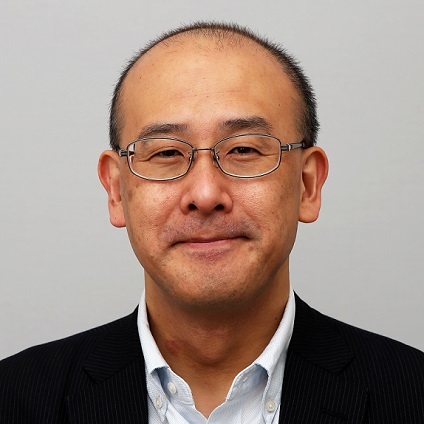 He is the incumbent CEO and the editor-in-chief of the magazine, who worked 20 years for the Nikkei Newspapers including serving 4 years as the bureau chief of Los Angeles, California, USA. He has authored some books such as “Companies chosen by the future”, “DNA of Brands”, and translated the book “Let My People Go Surfing” written by Yvon Chouiard, the founder of Patagonia. The company Alterna is expanding its business as media, running not only magazine but website such as Alterna S (S means student and social), and CSR Today which provides CSR business person of abundant information regarding CSR and social branding.